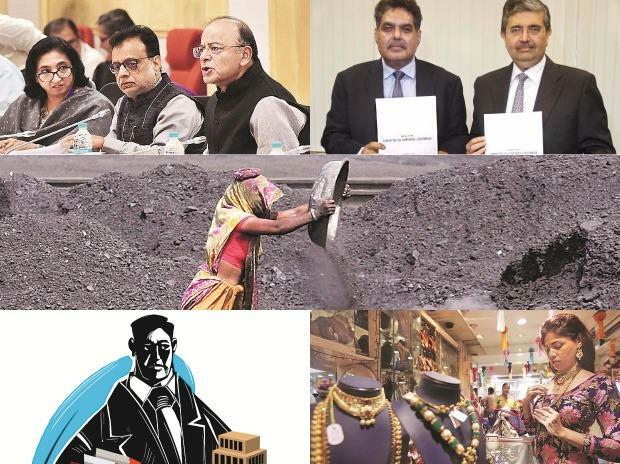 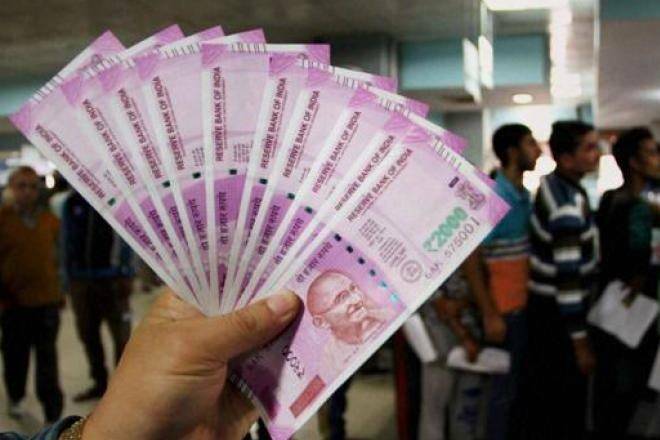 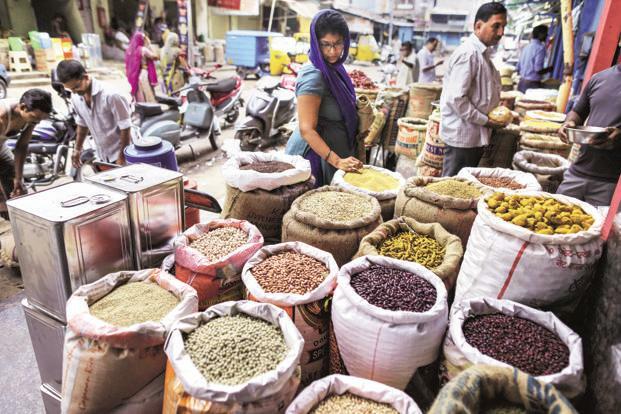 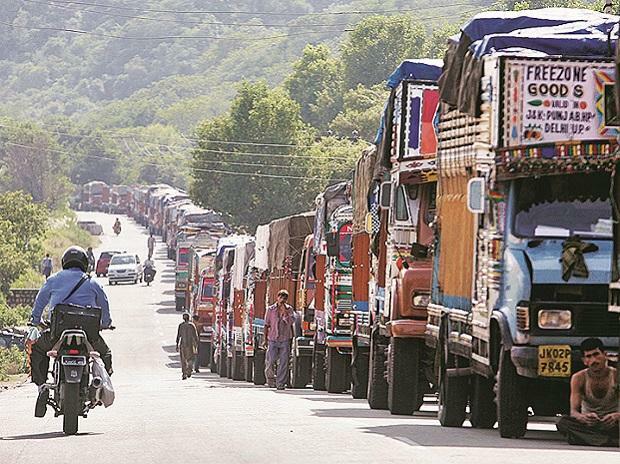 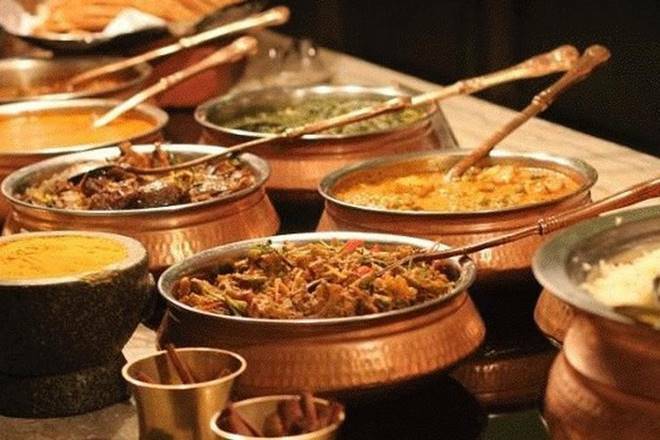 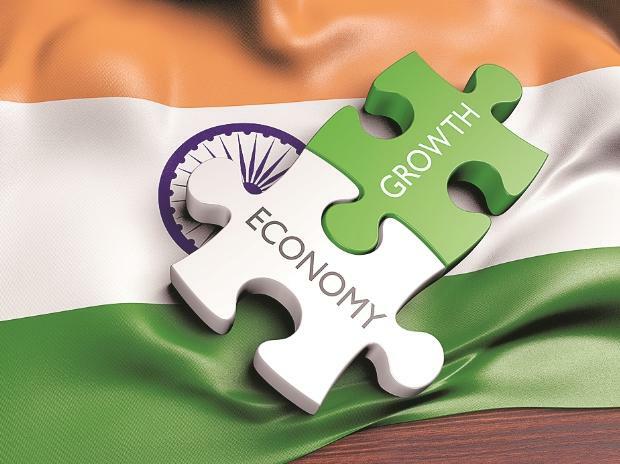 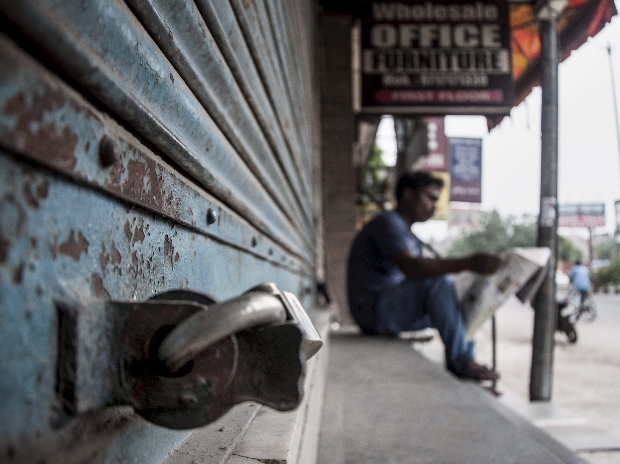 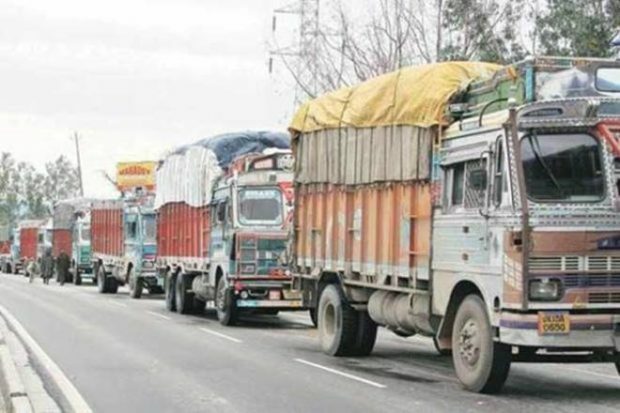 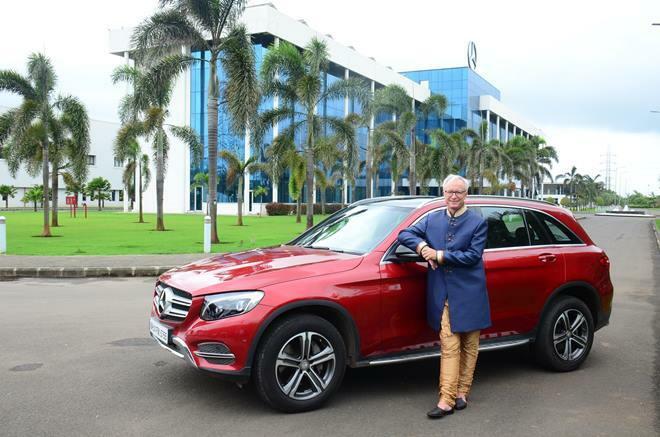 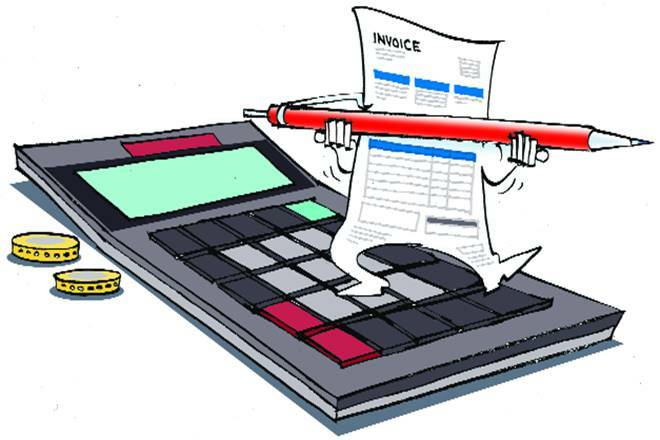 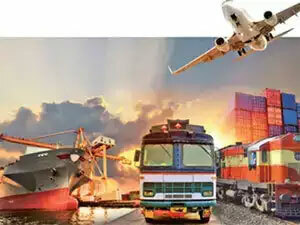 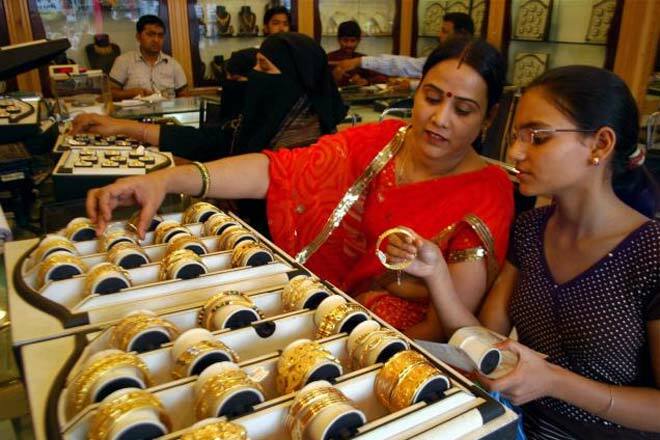 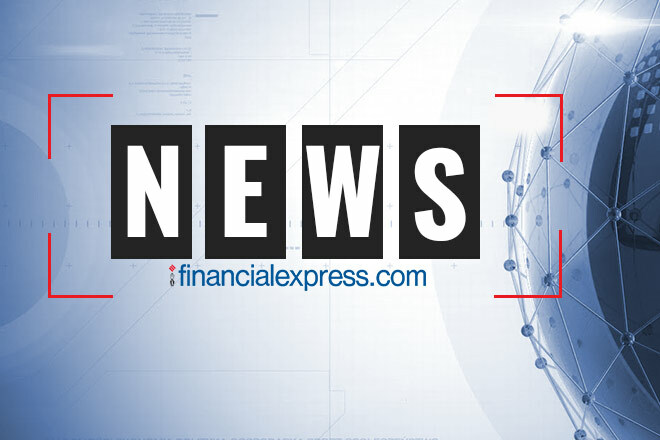 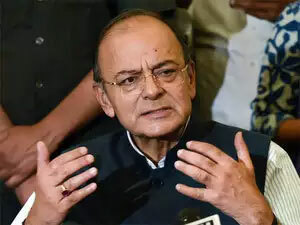 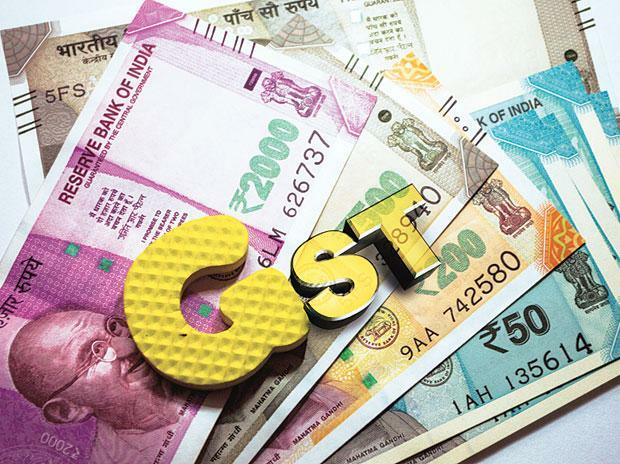 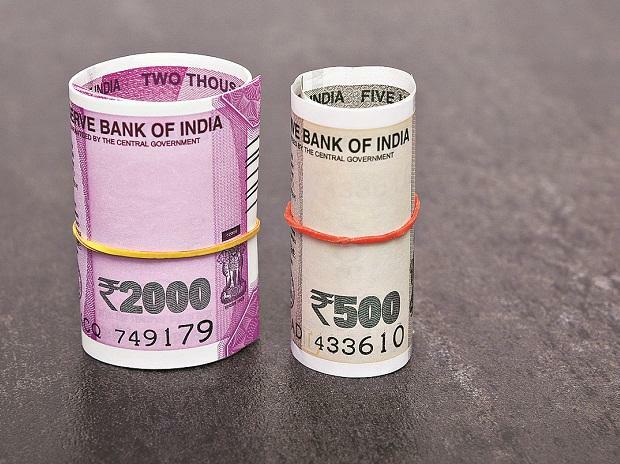 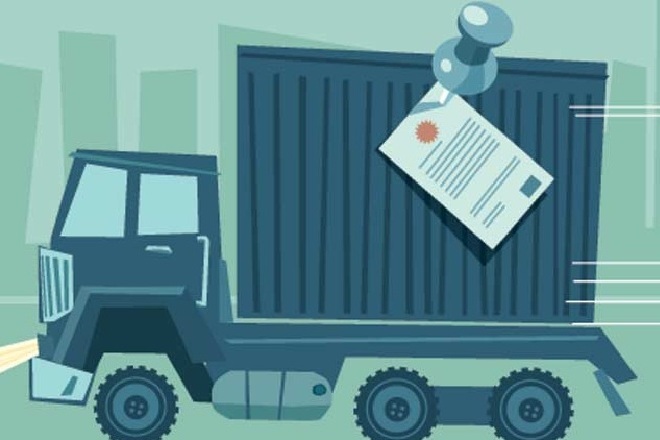 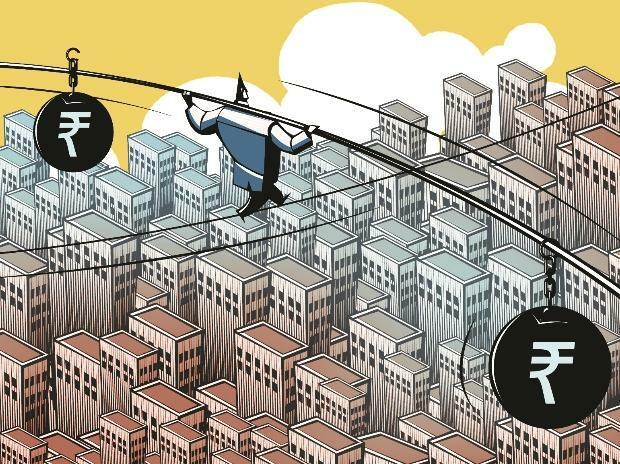 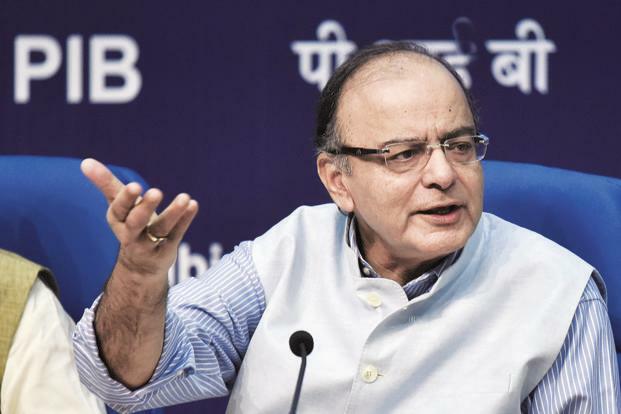 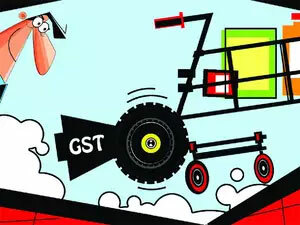 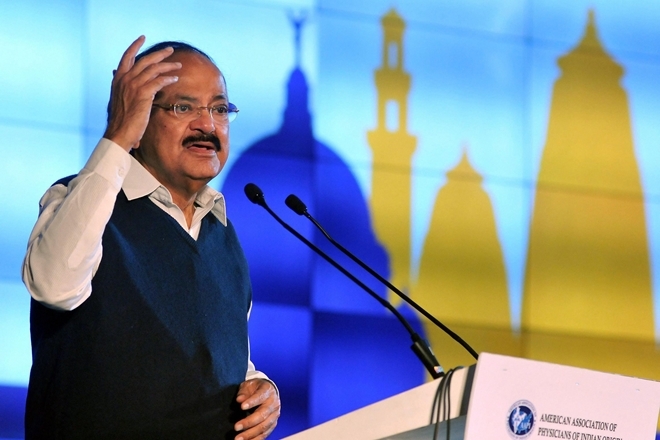 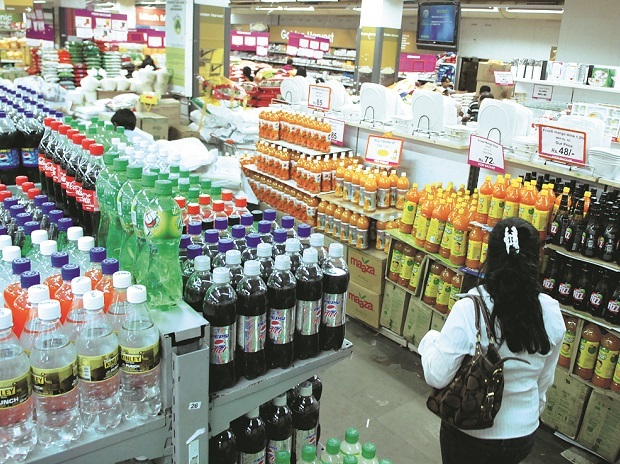 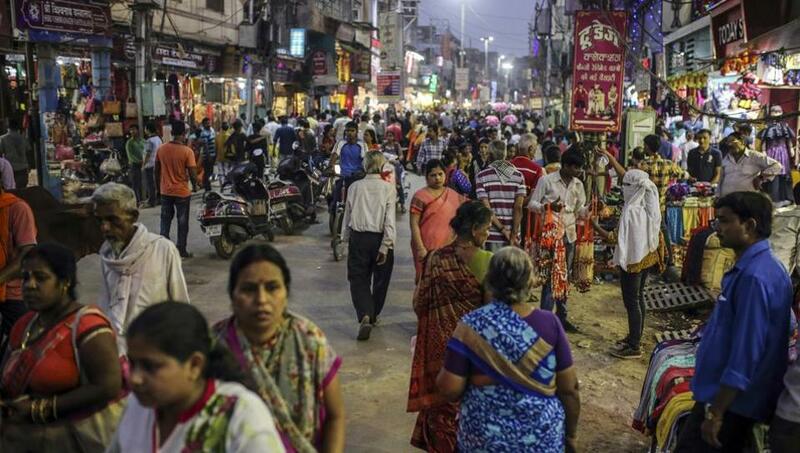 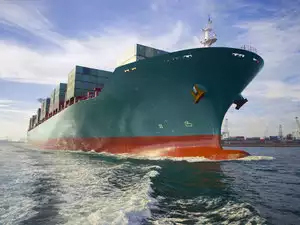 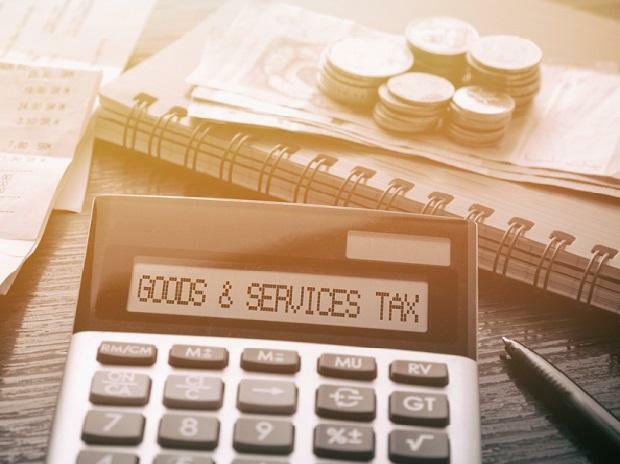 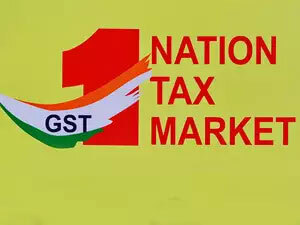 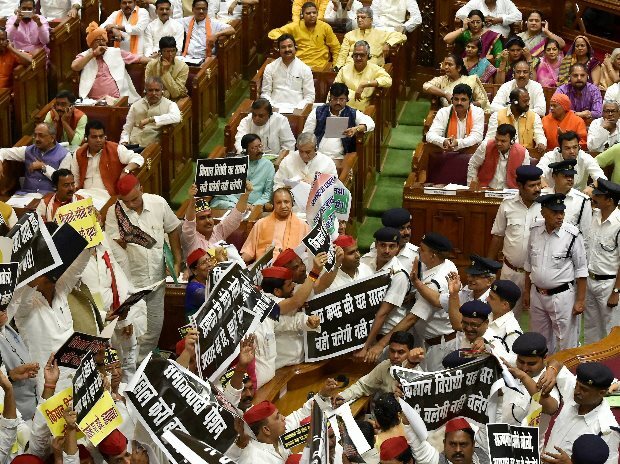 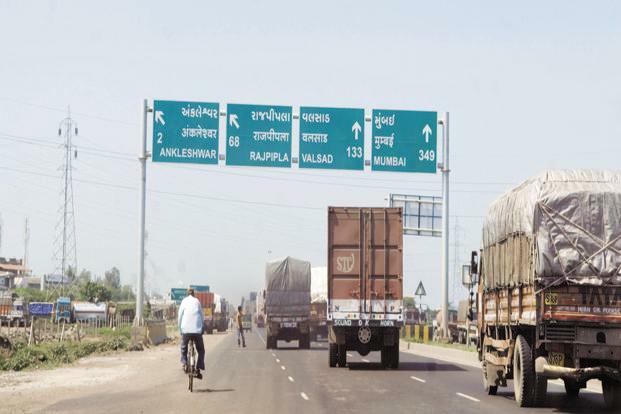 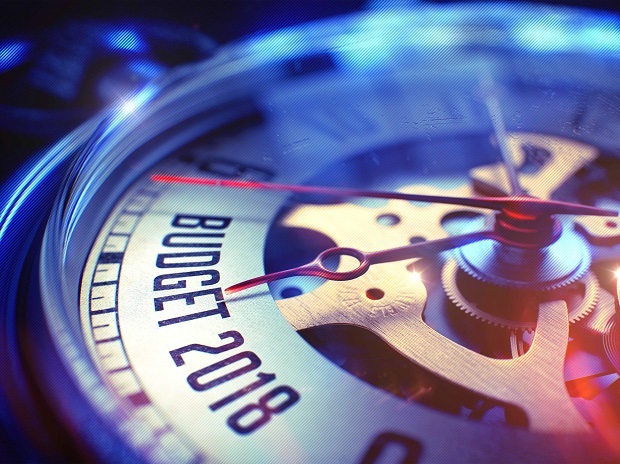 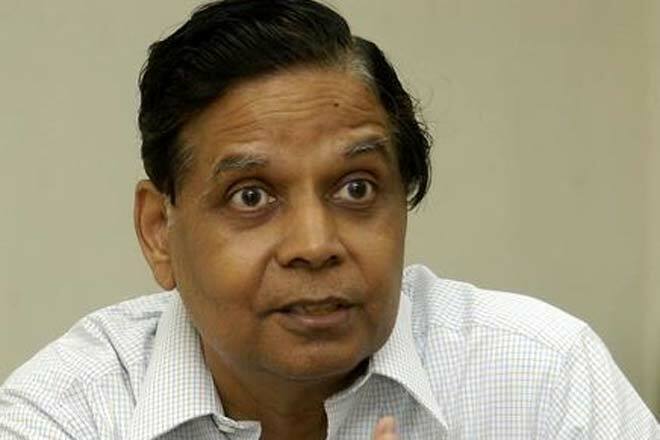 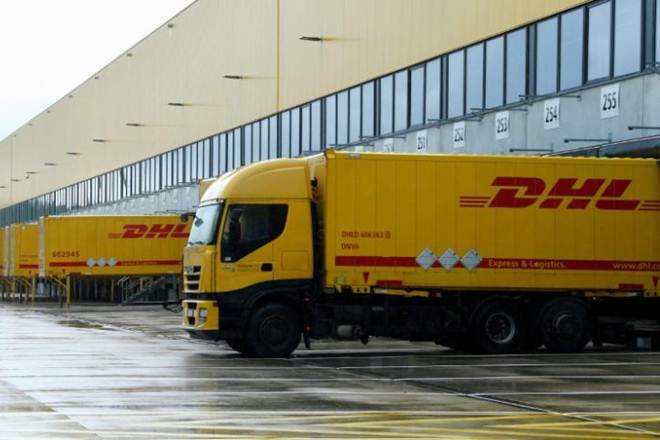 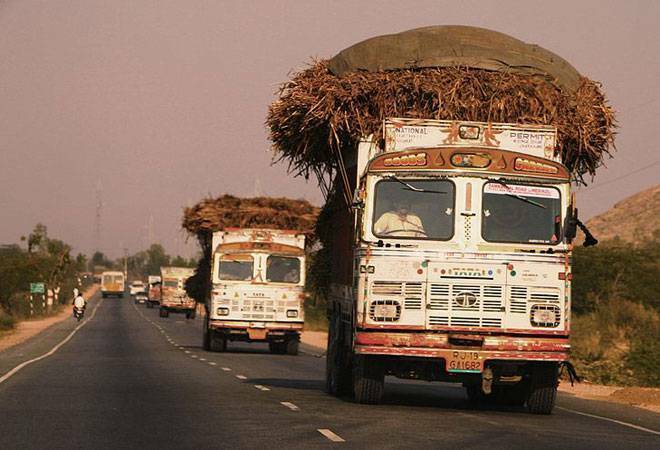 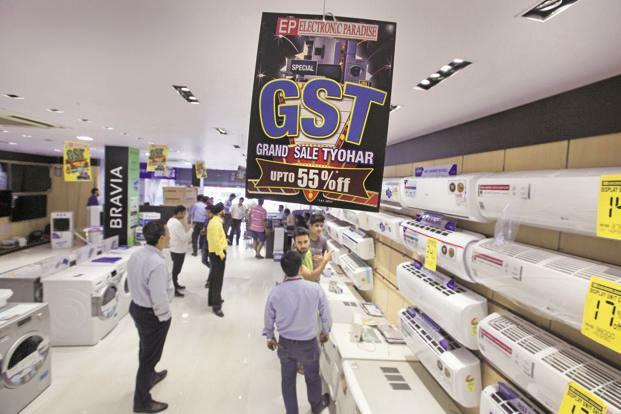 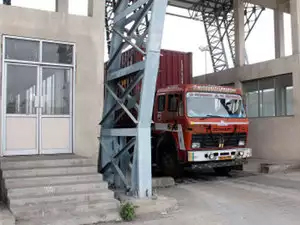 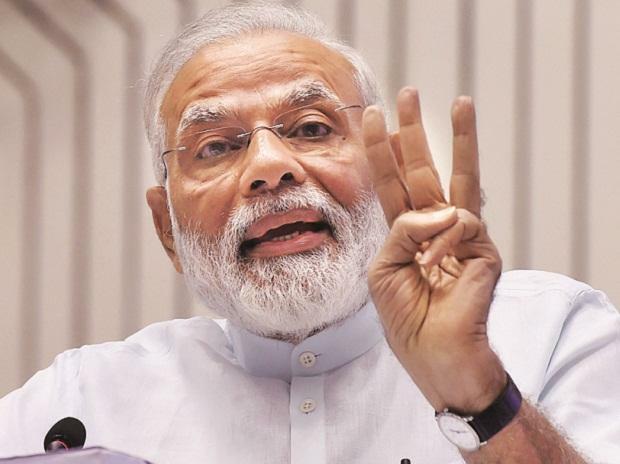 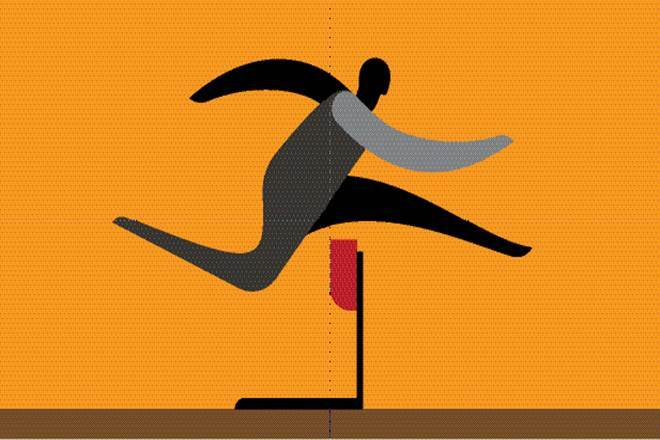 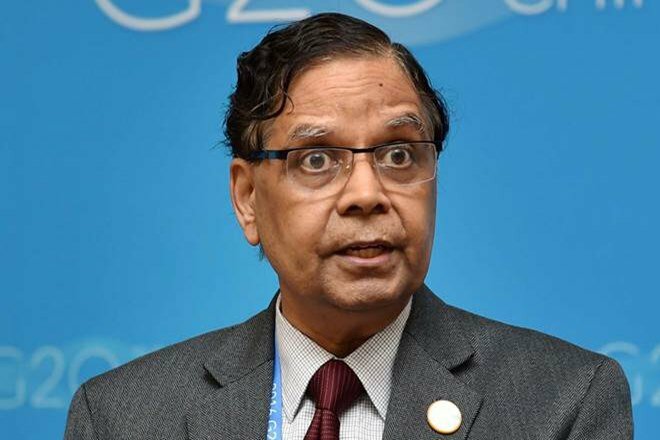 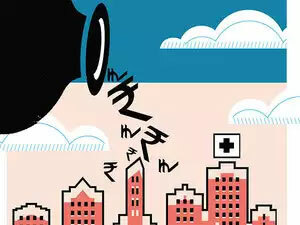 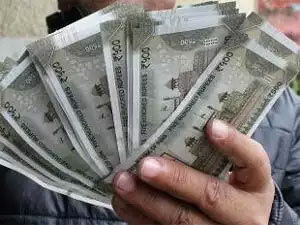 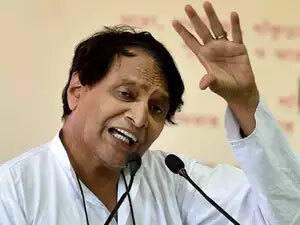 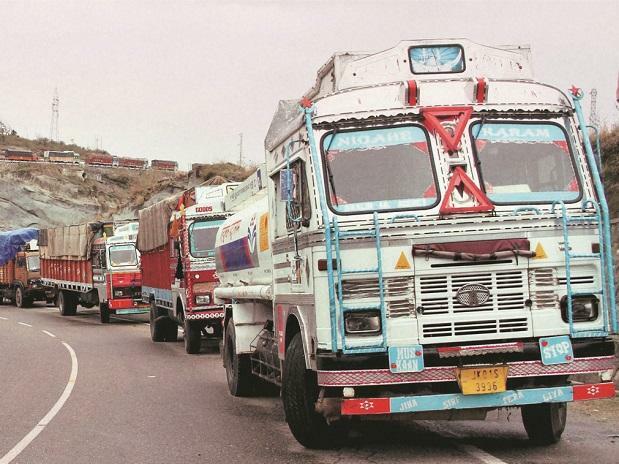 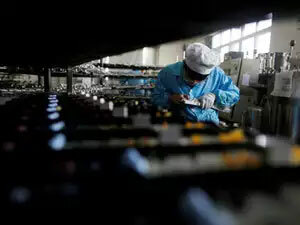 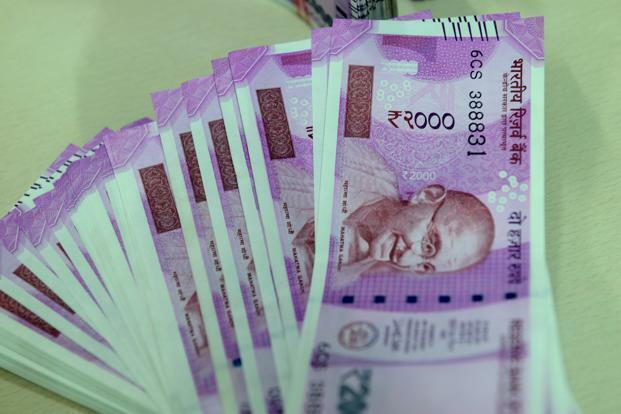 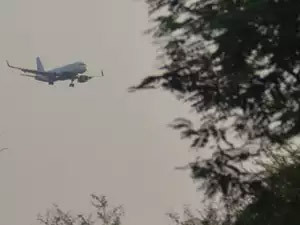 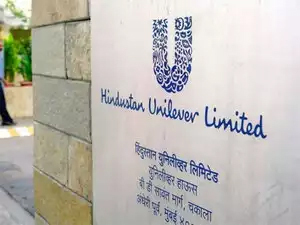 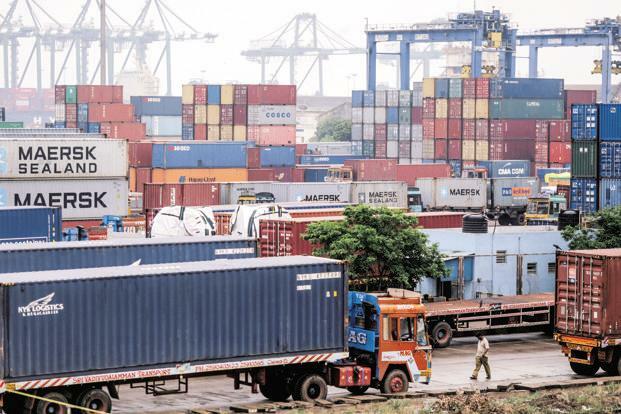 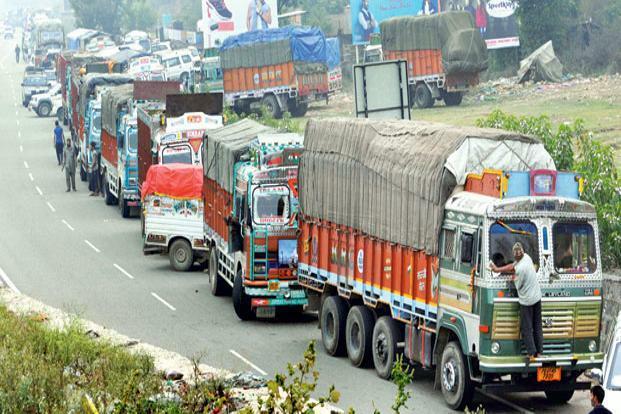 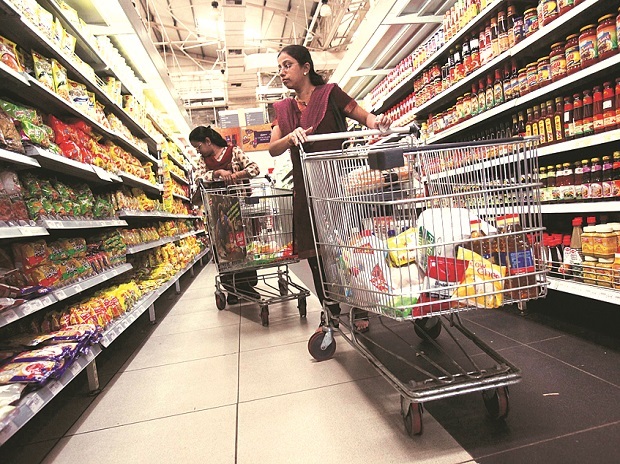 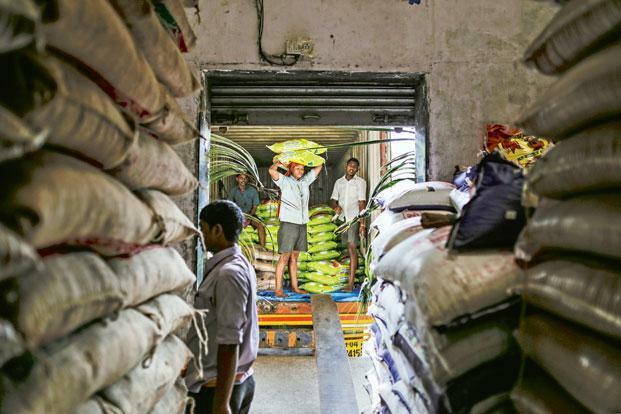 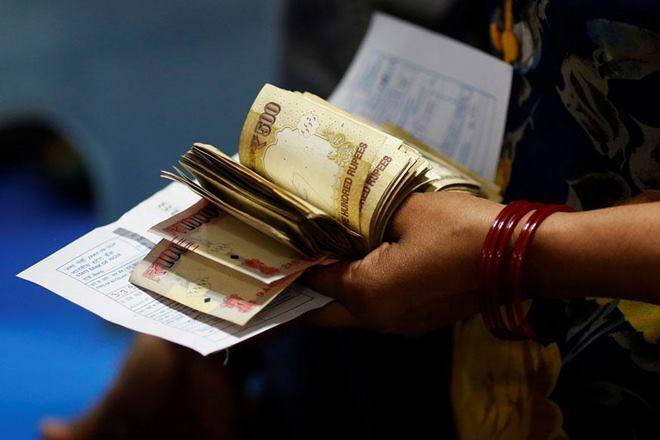 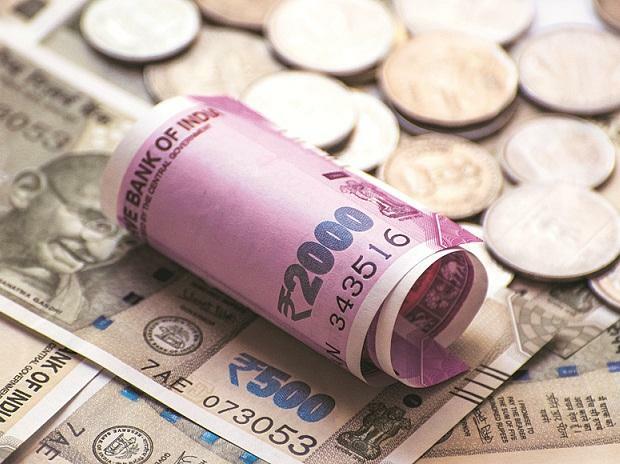 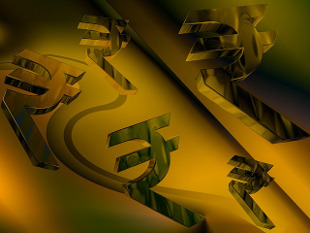 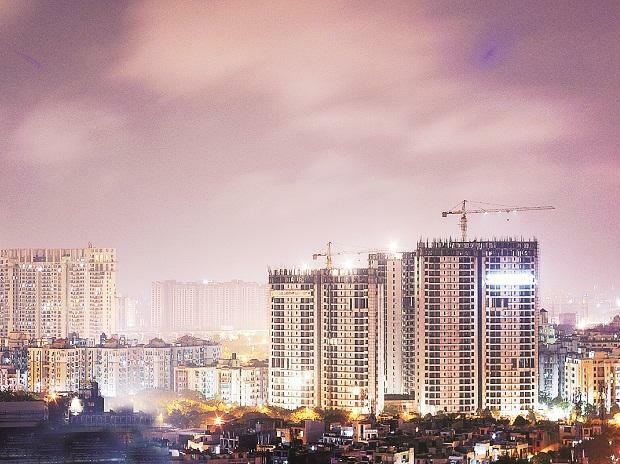 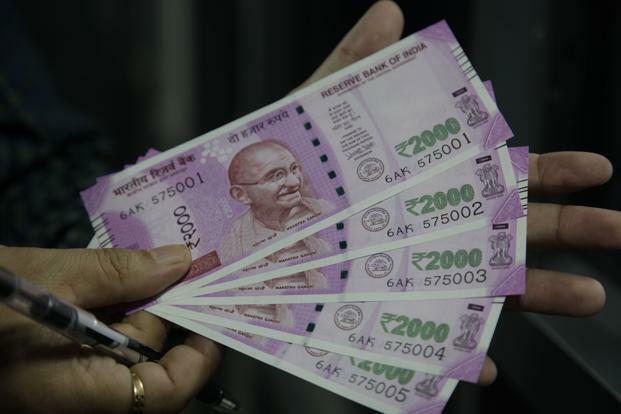 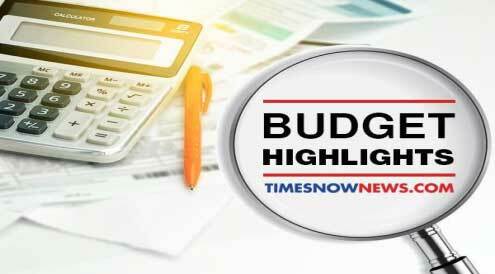 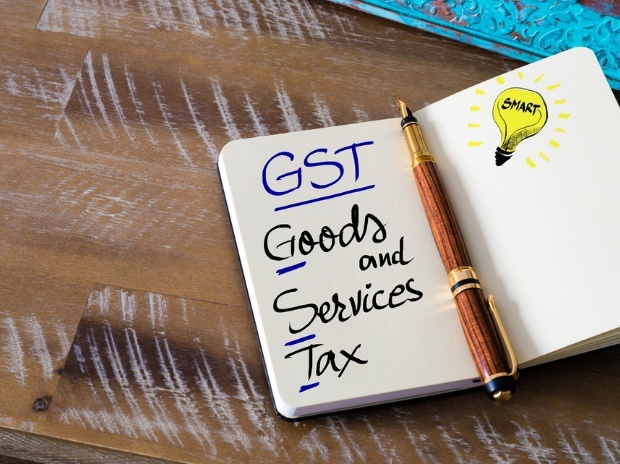 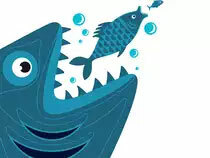 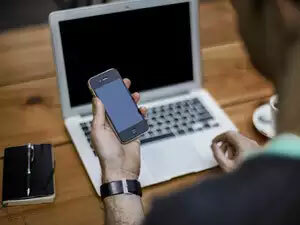 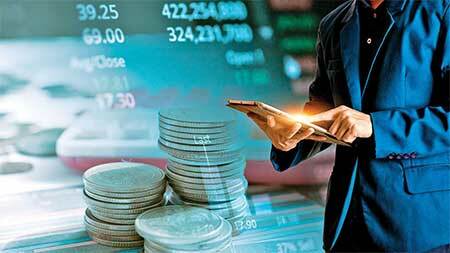 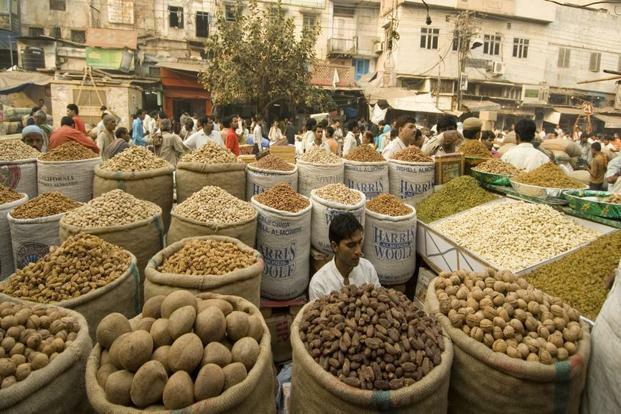 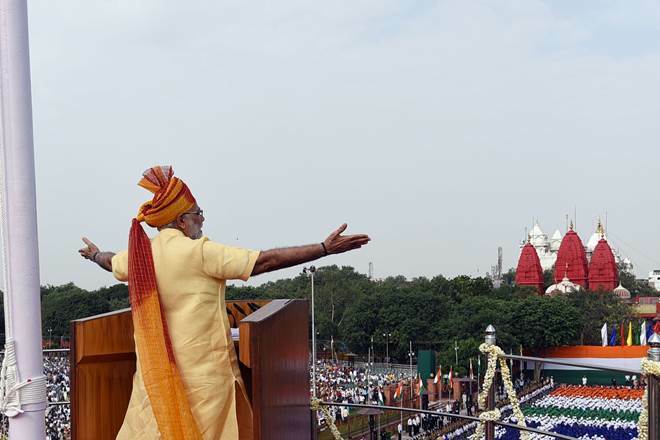 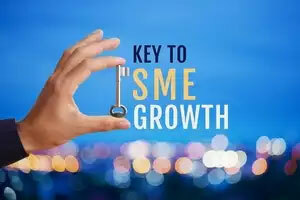 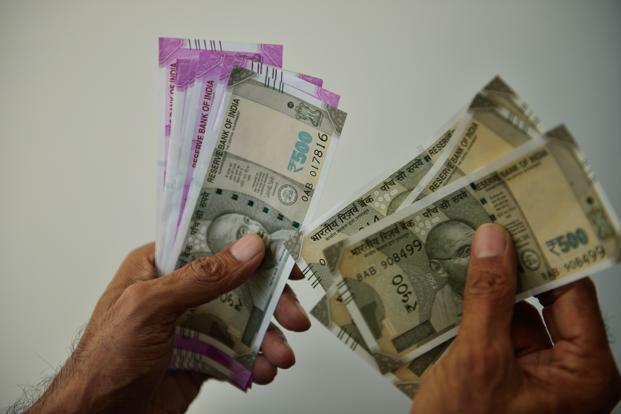 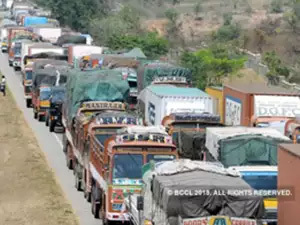 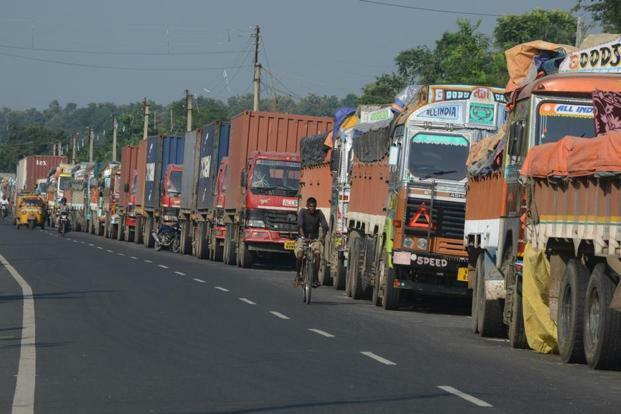 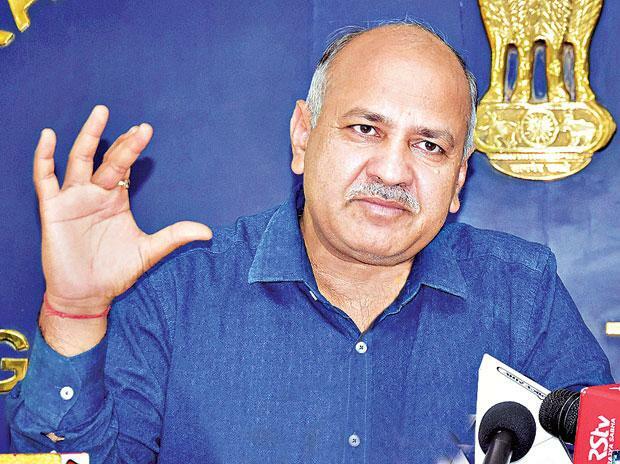 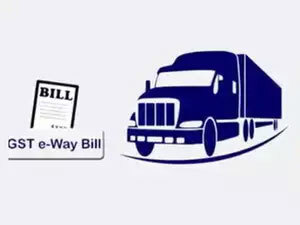 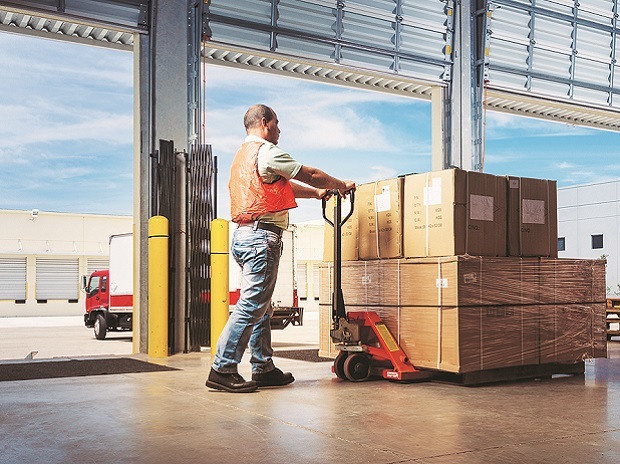 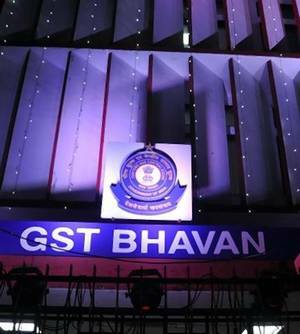 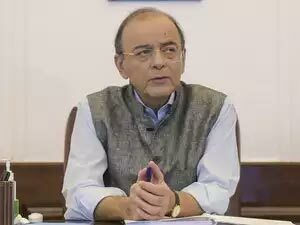 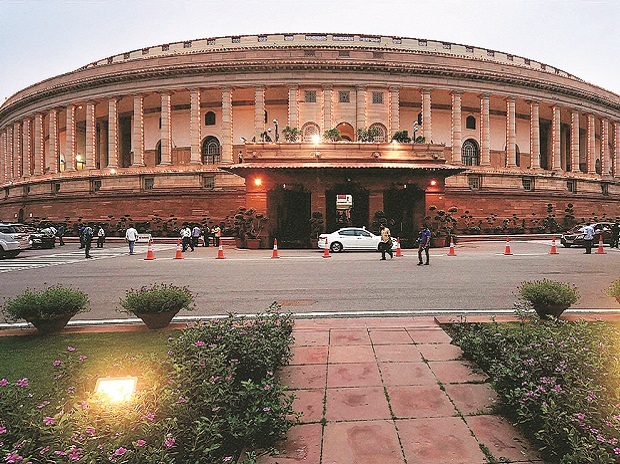 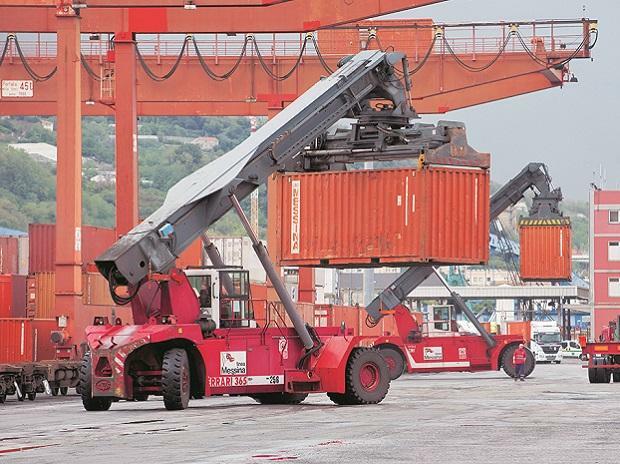 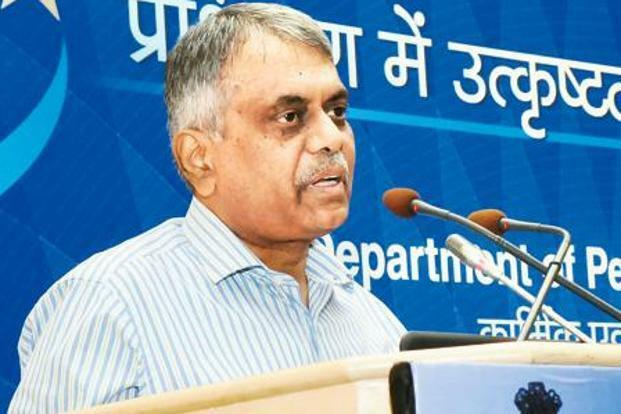 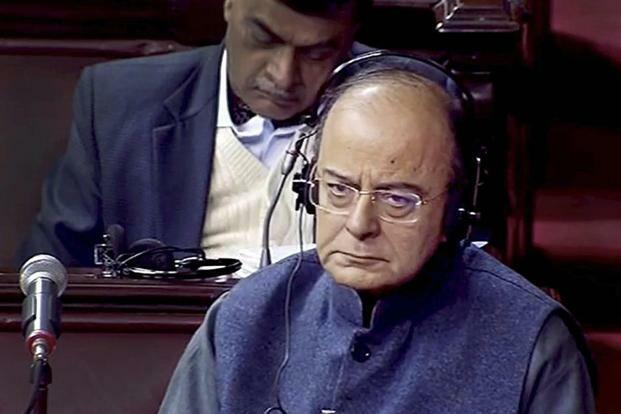 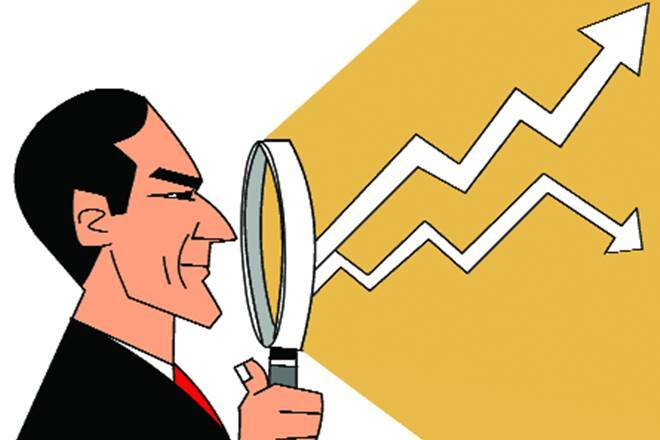 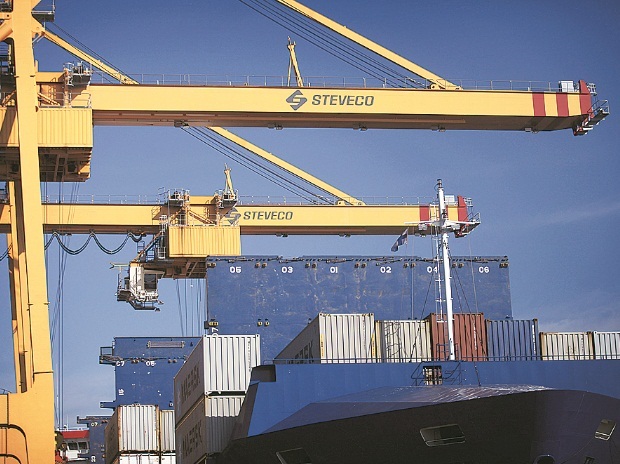 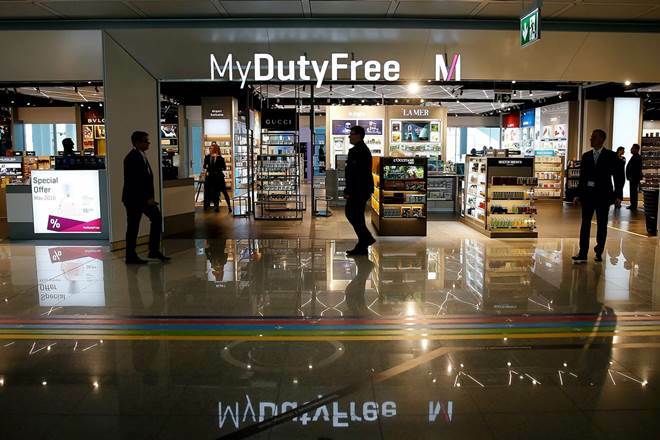 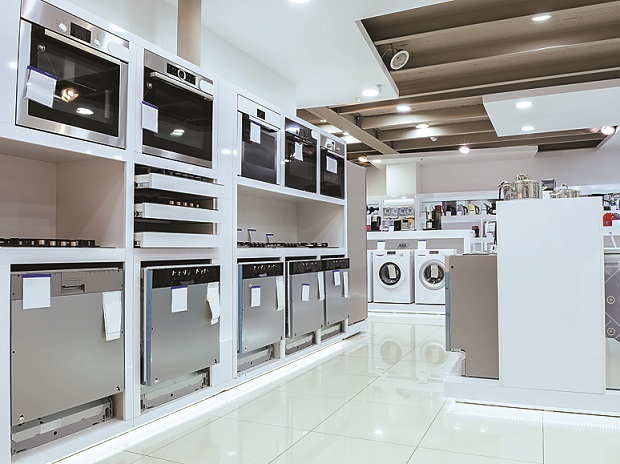 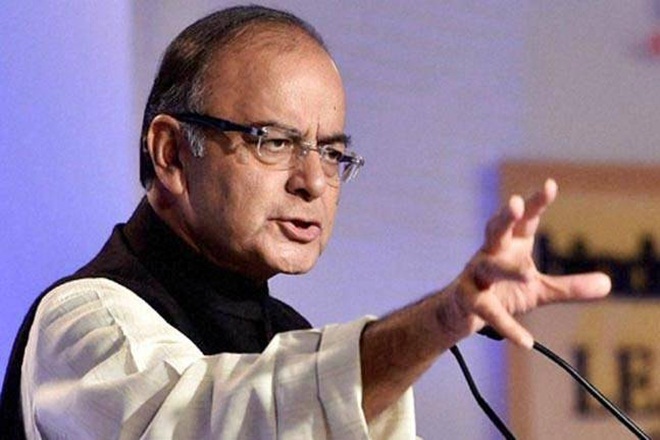 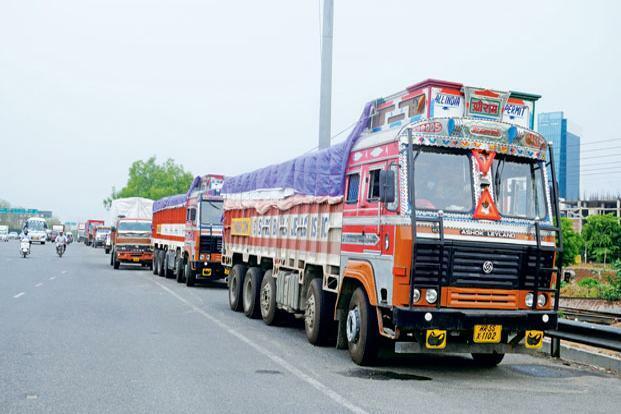 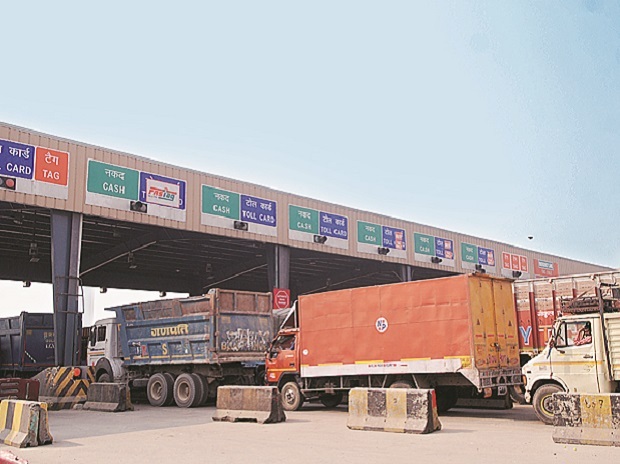 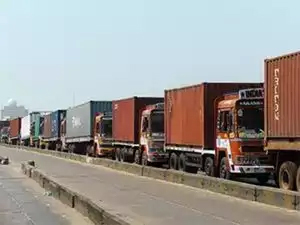 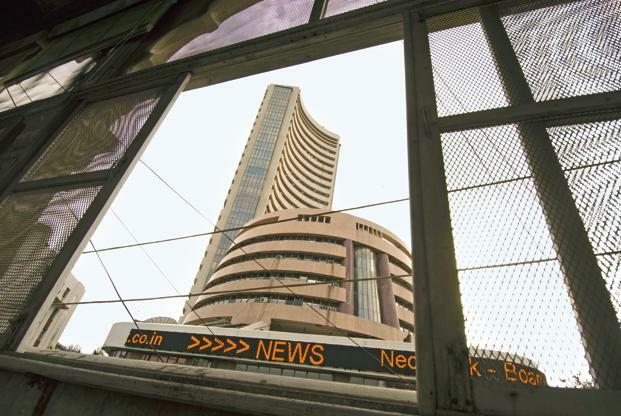 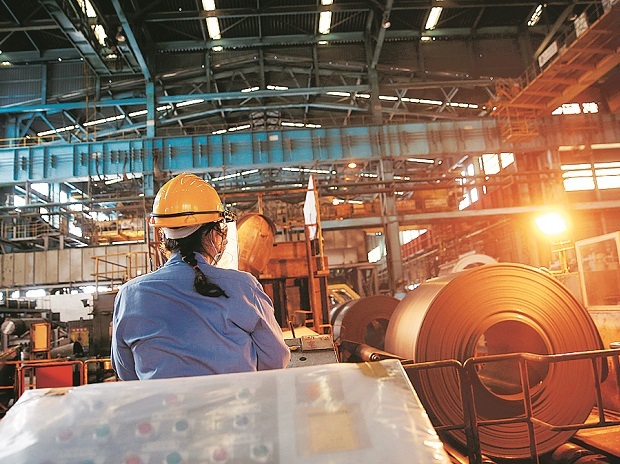 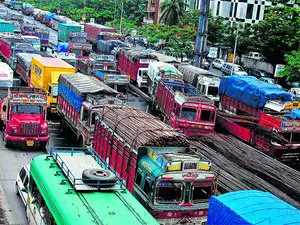 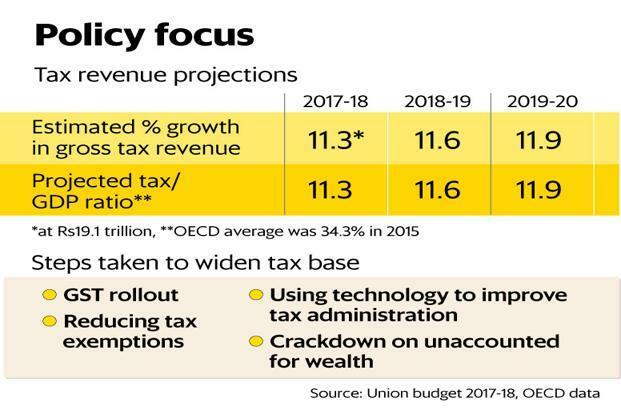 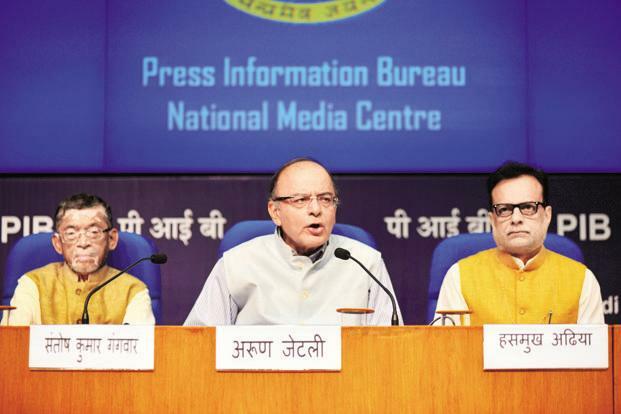 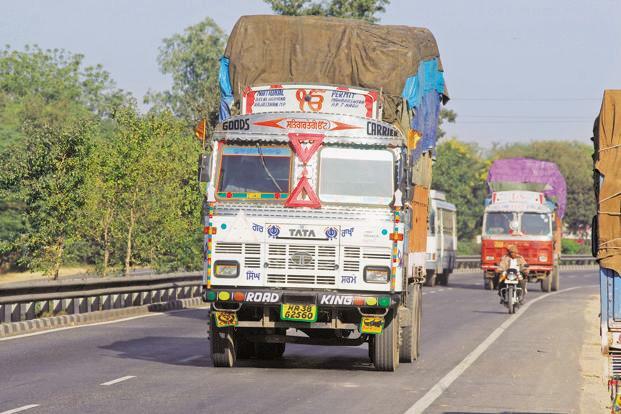 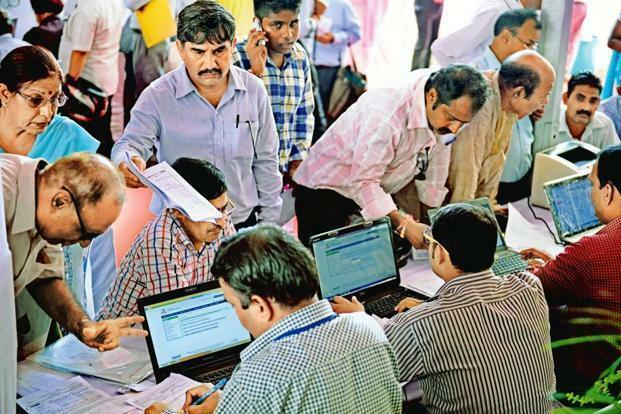 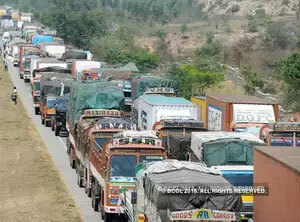 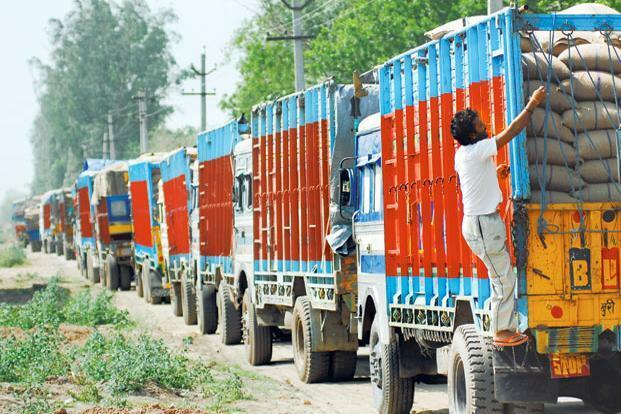 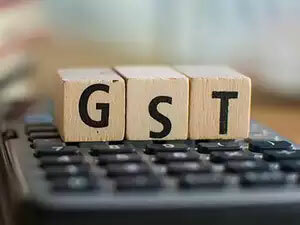 New Delhi: The goods and services tax (GST) levy may go up to 40% after the GST Council proposed raising the peak rate in the Bill to 20%, from the current 14%, to obviate the need for approaching Parliament for any change in rates in future. 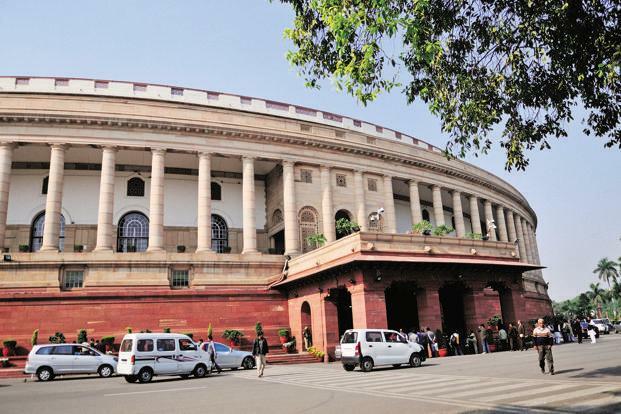 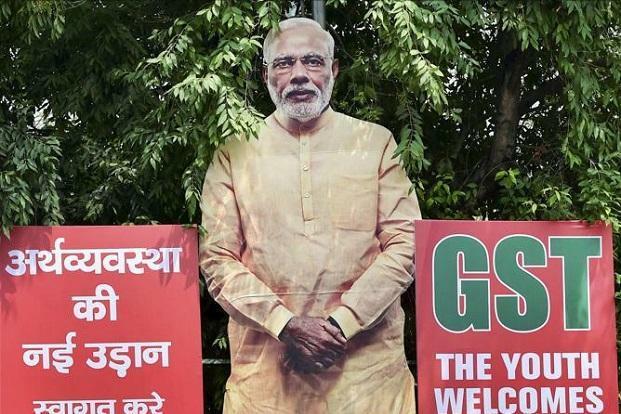 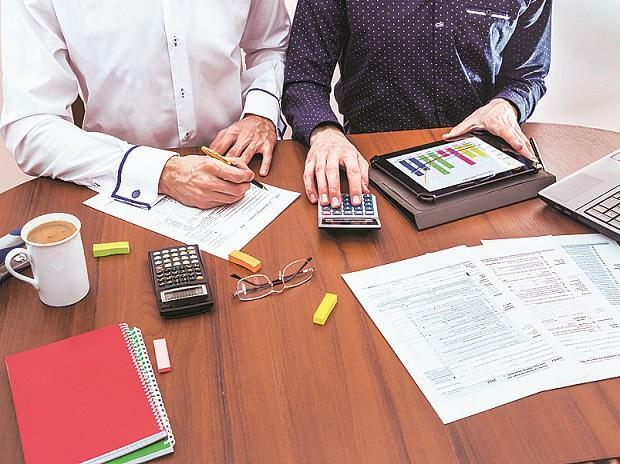 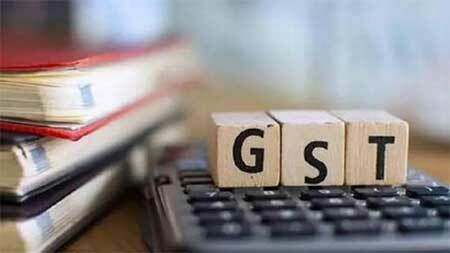 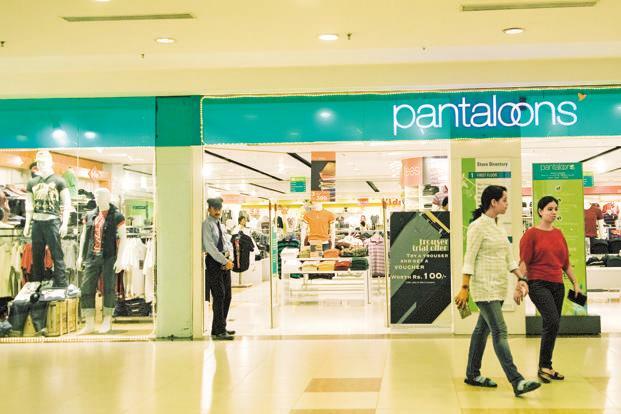 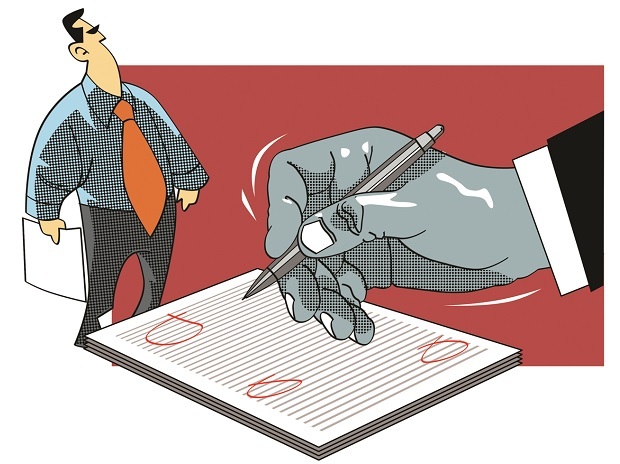 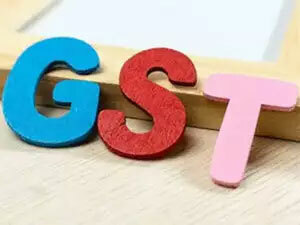 The model GST Bill will replace the clause which states the tax rate “not exceeding 14%, with “not exceeding 20%” when it comes up for debate in Parliament during the second phase of Budget session beginning next week. 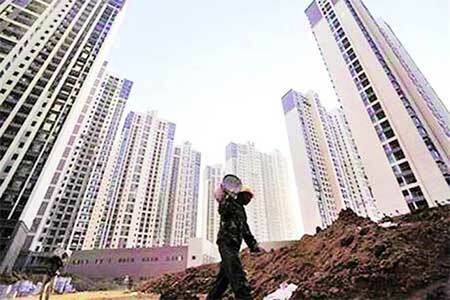 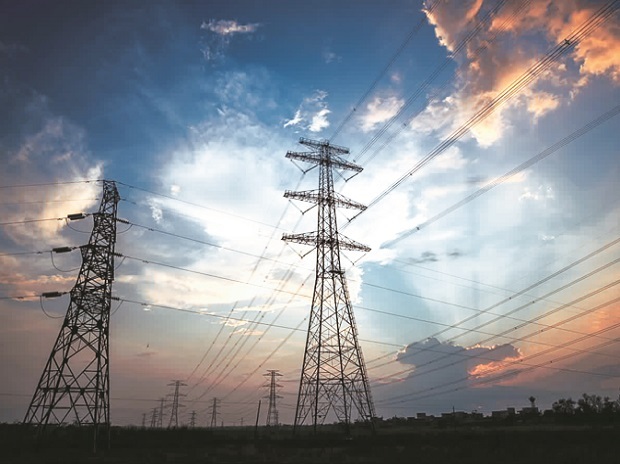 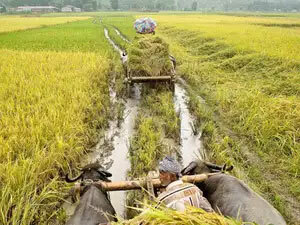 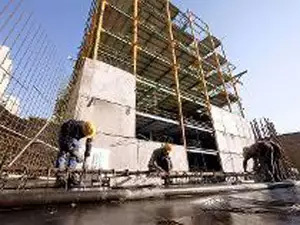 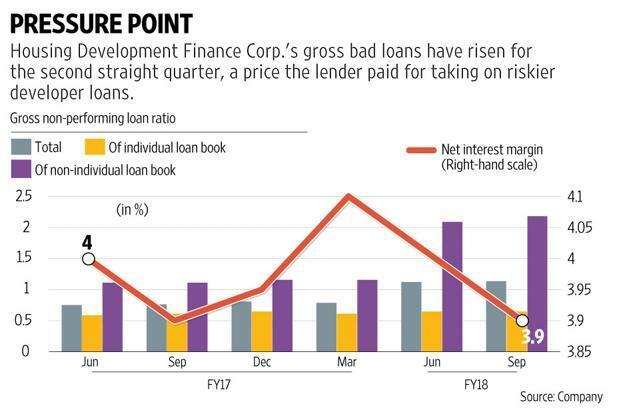 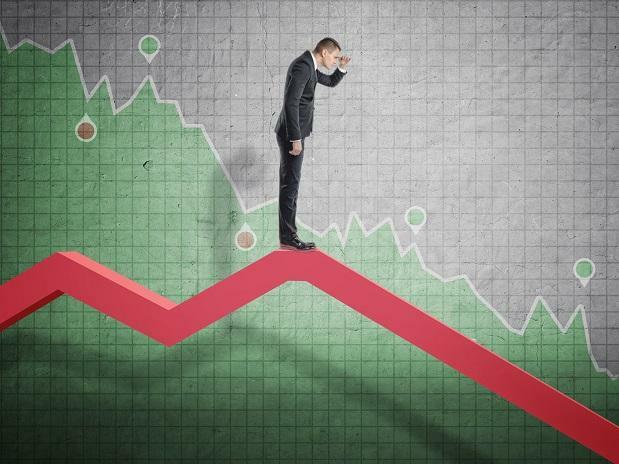 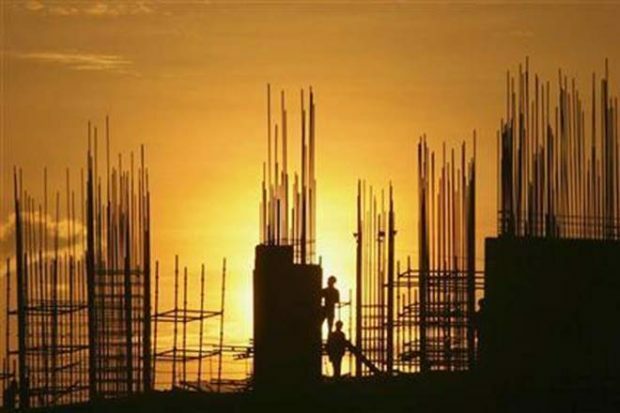 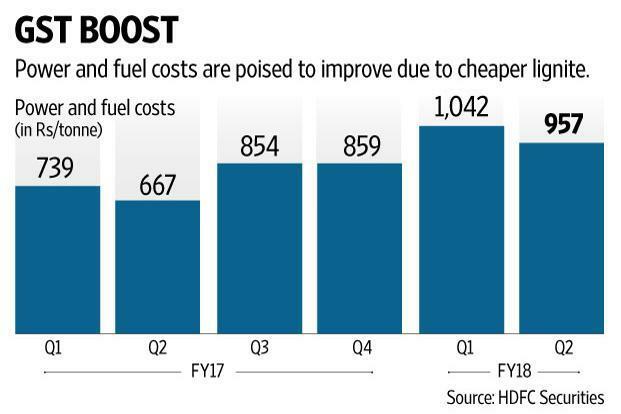 The change in the peak rate will not alter the 4-slab rate structure of 5, 12, 18 and 28% agreed upon last year for the moment, but is only a provision being built into the model law to take care of contingencies in future, two officials in the know told PTI. 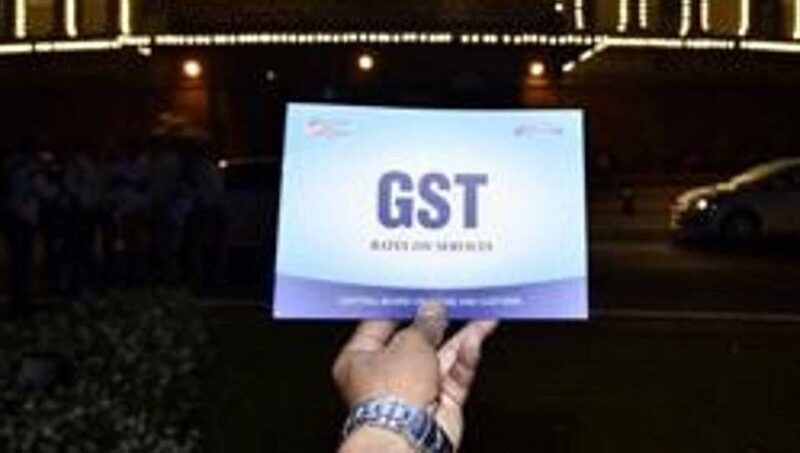 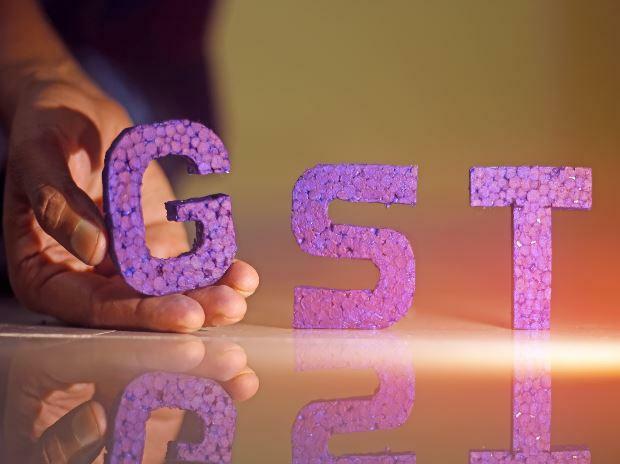 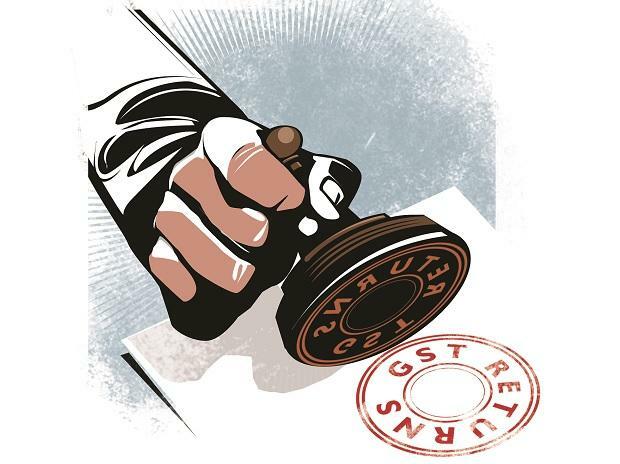 The revised draft of model GST law, which was made public in November 2016, provides for a maximum rate of tax under the new regime at 14% (14% central GST and an equal state GST, taking the total to 28%). 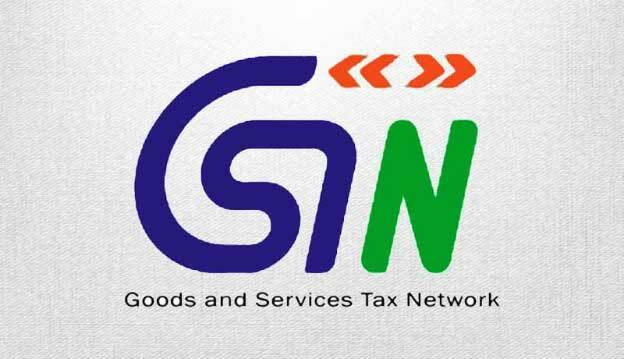 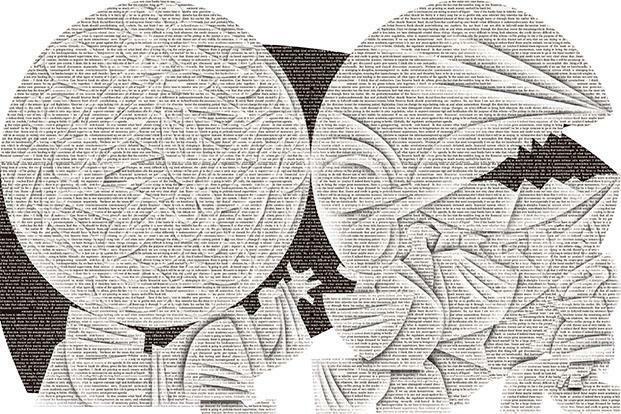 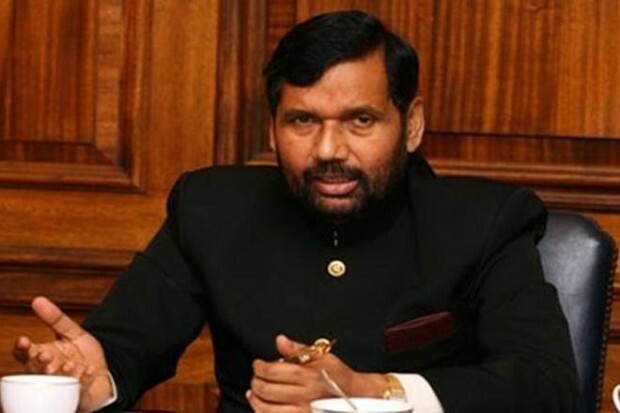 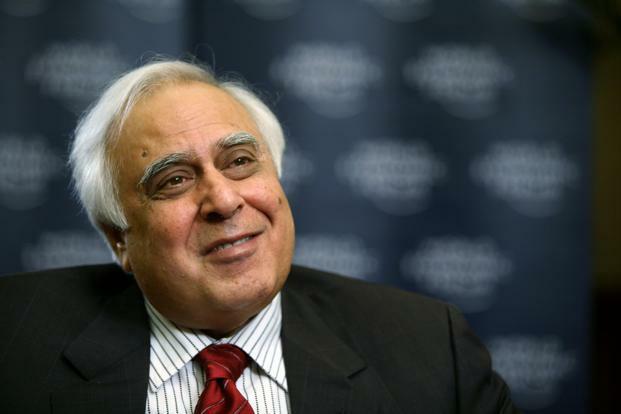 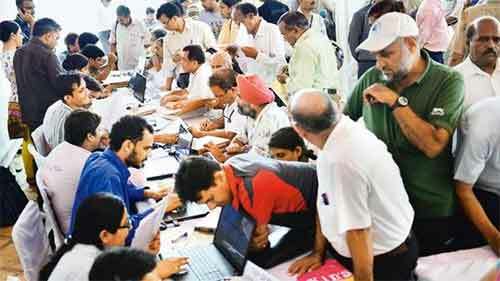 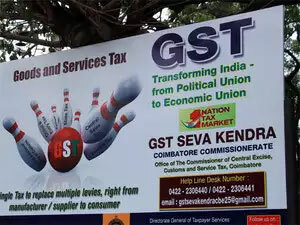 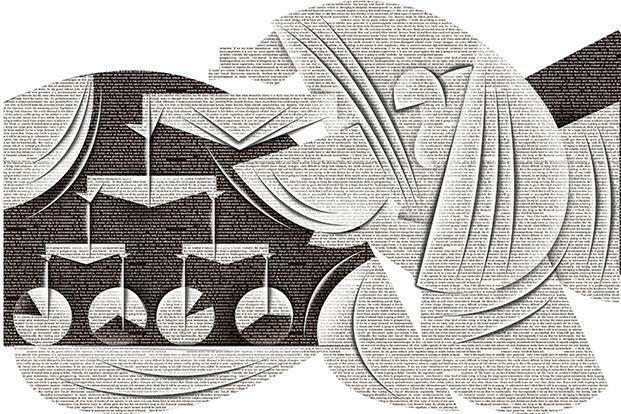 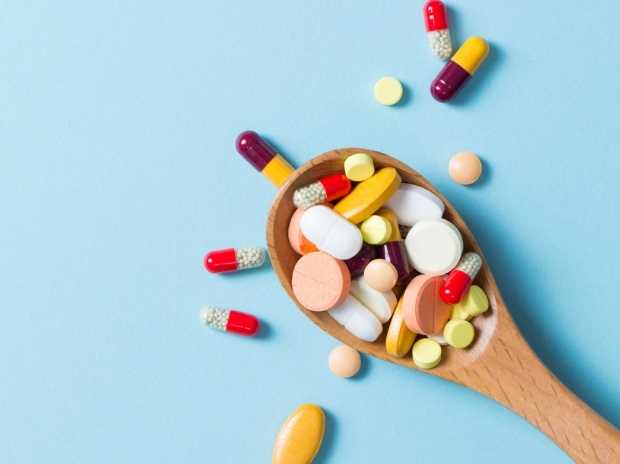 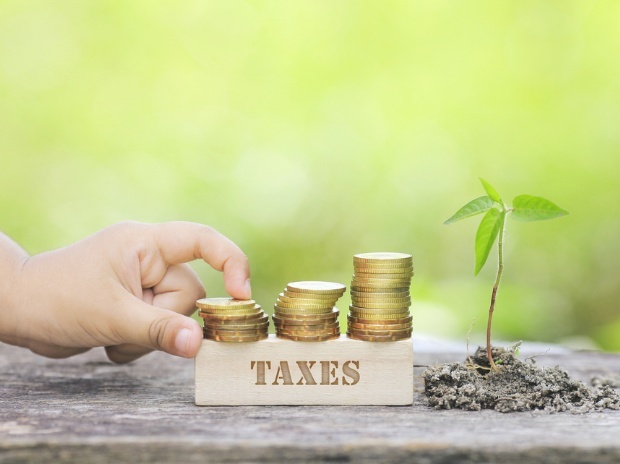 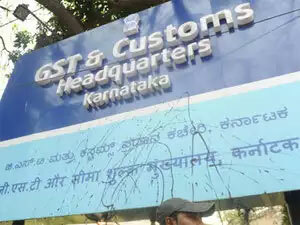 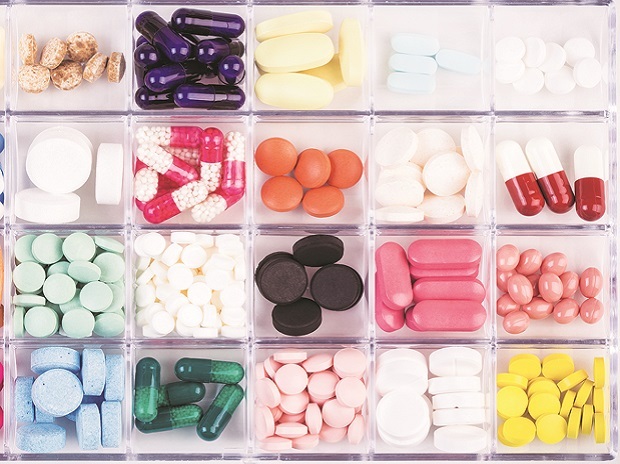 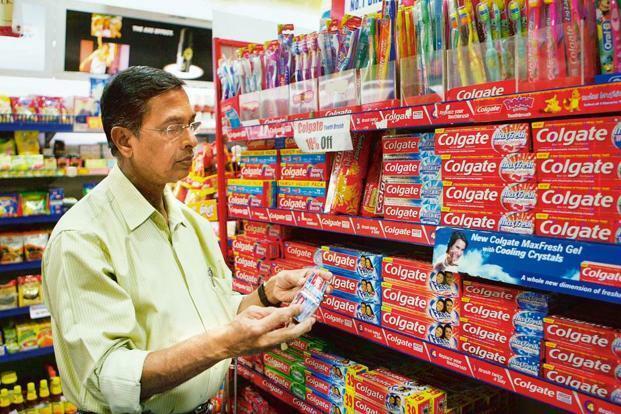 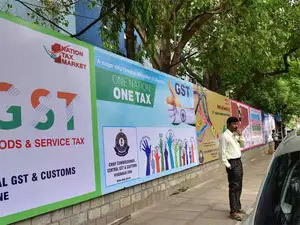 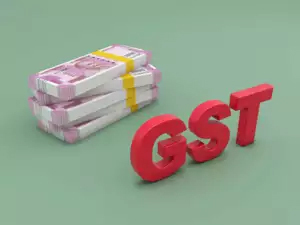 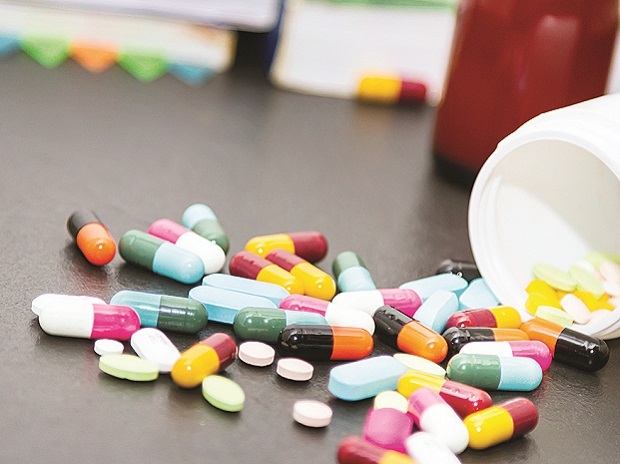 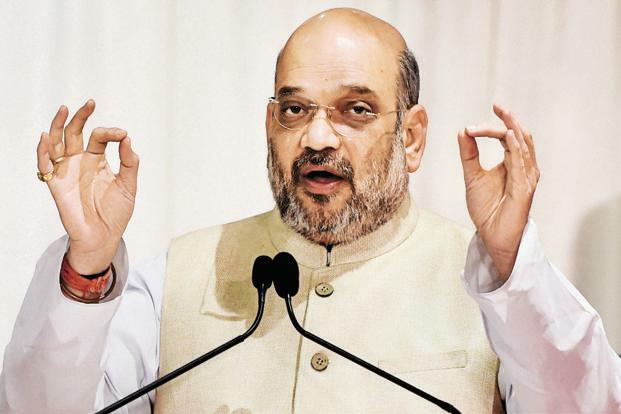 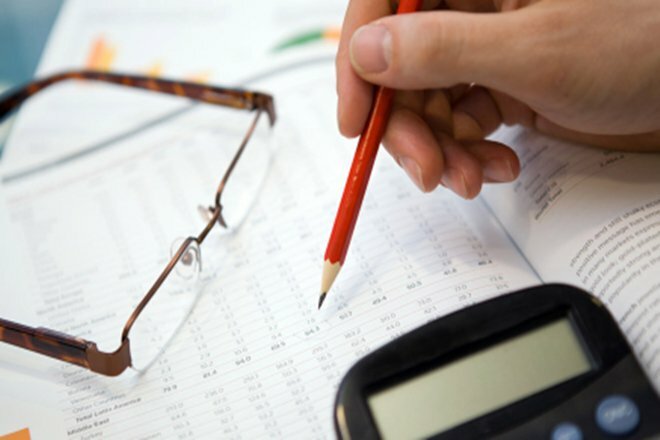 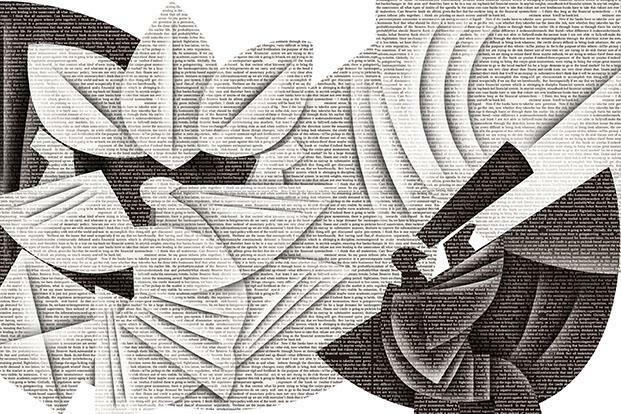 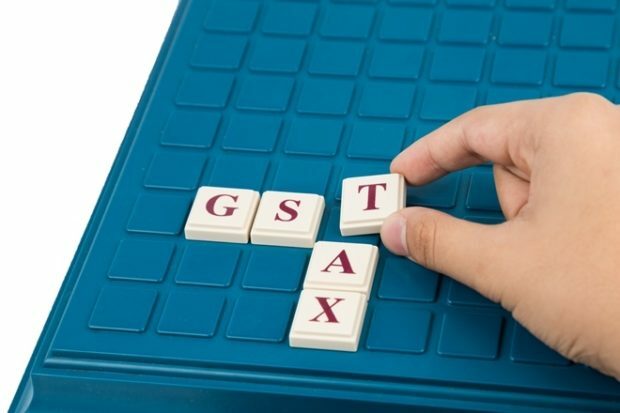 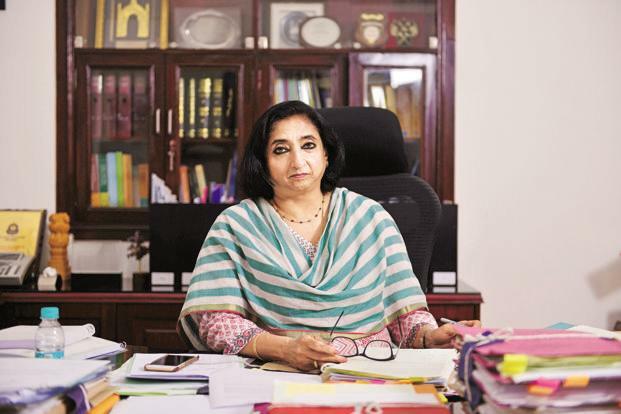 “There shall be levied a tax called the central/state goods and services tax (CGST/SGST) on all intra-state supplies of goods and/or services... at such rates as may be notified by the central/state government... but not exceeding 14% on the recommendation of the Council and collected in such manner as may be prescribed,” the draft law states. 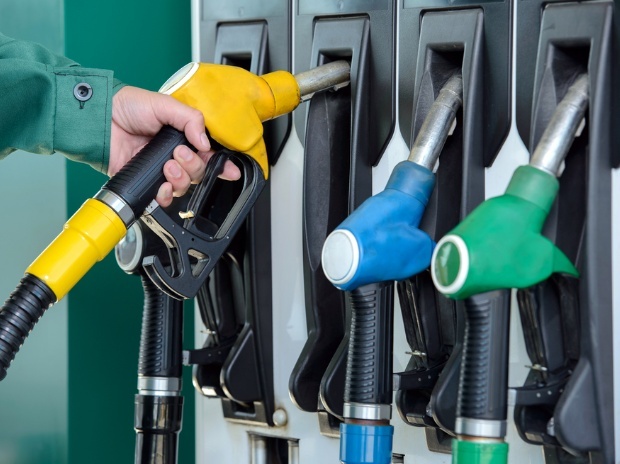 Officials said this will now be changed to say the rate will not exceed “20 per cent”. 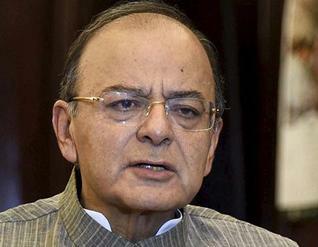 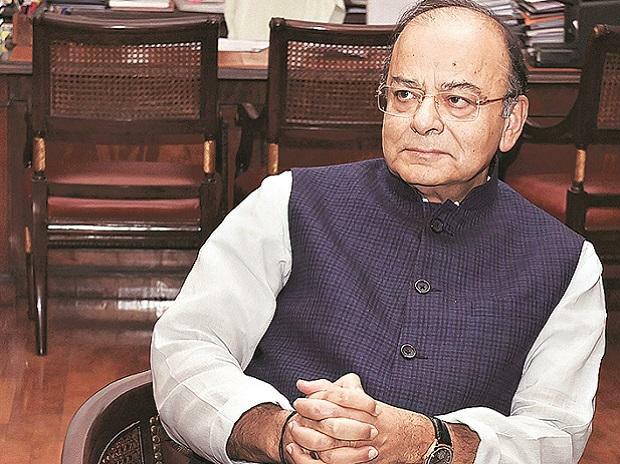 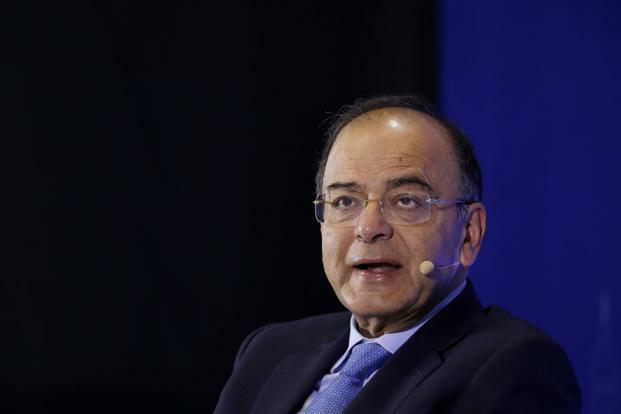 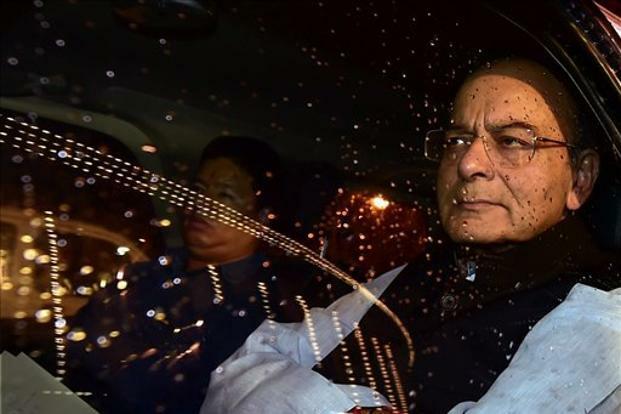 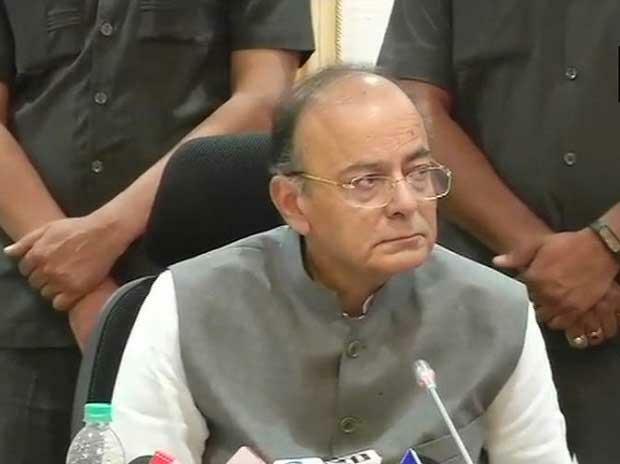 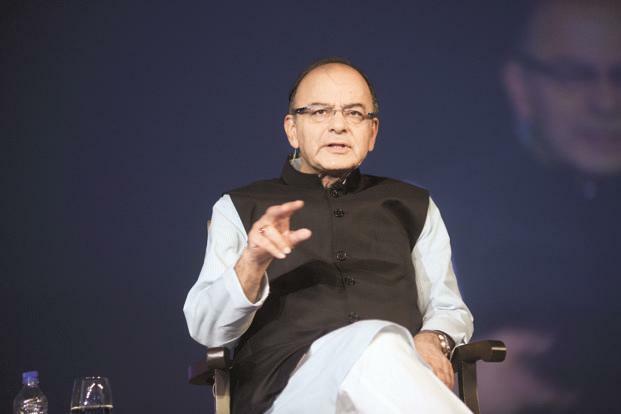 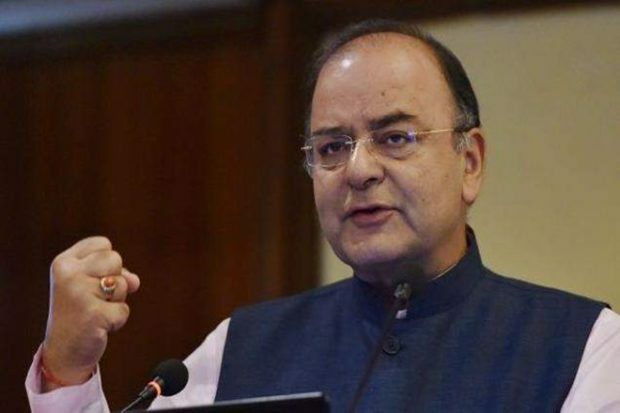 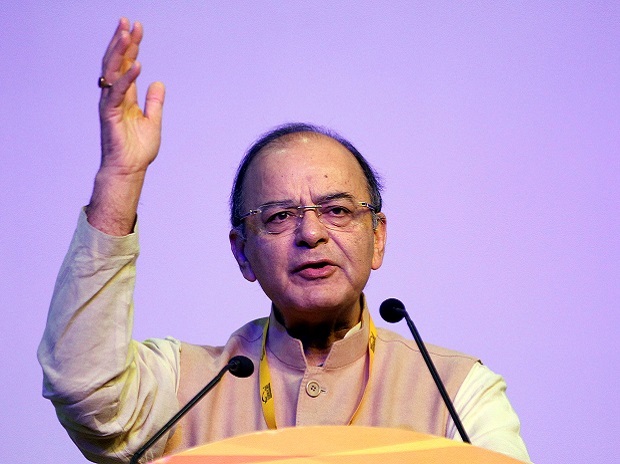 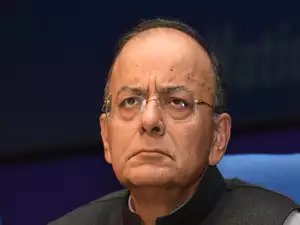 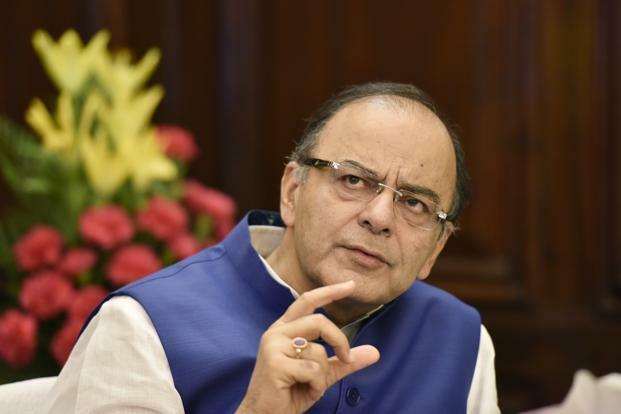 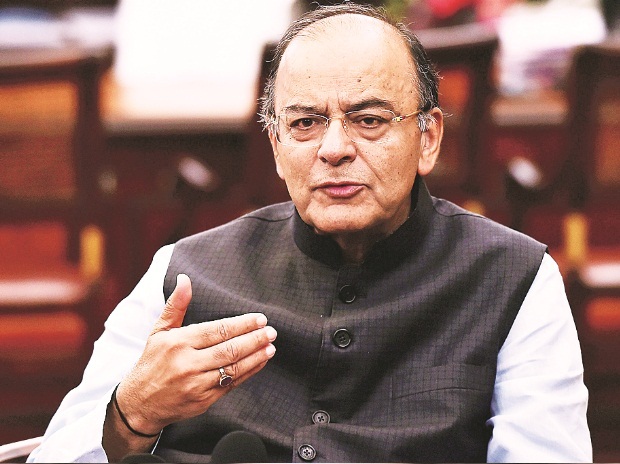 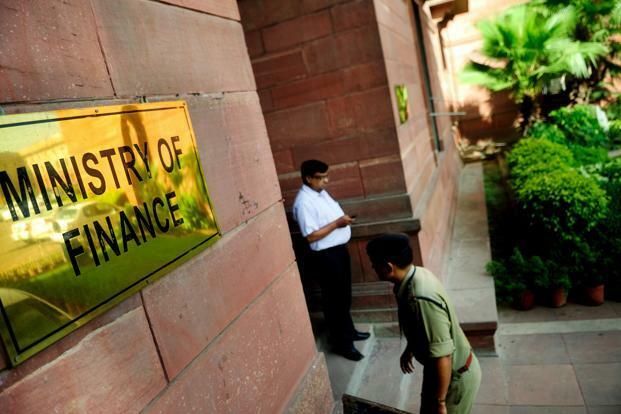 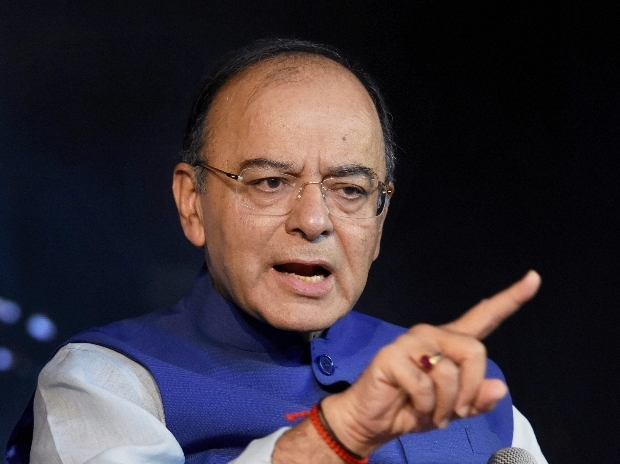 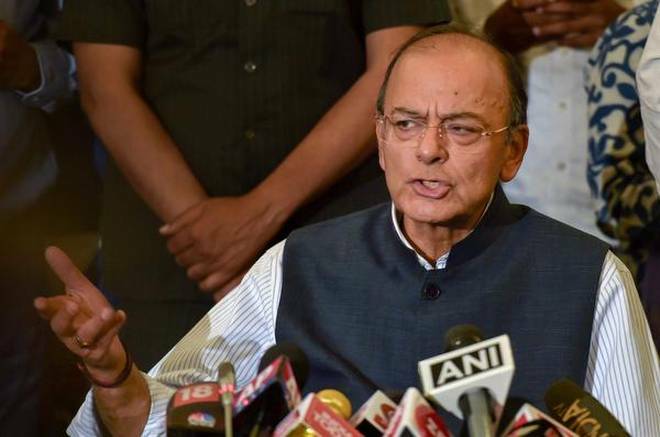 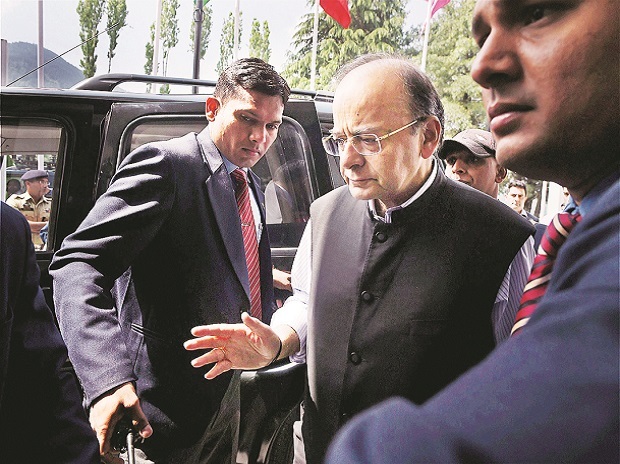 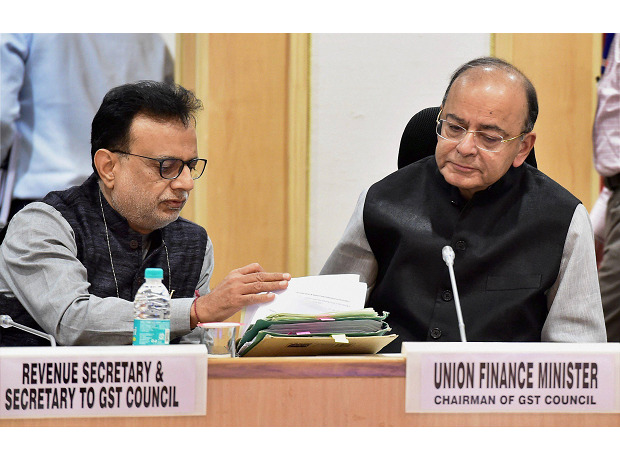 The GST Council, headed by finance minister Arun Jaitley and comprising representatives of all states, has agreed to keep the upper band of the rate in the law at 20%. 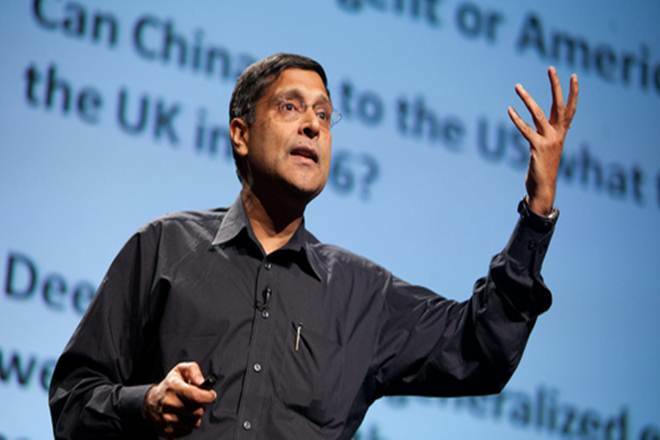 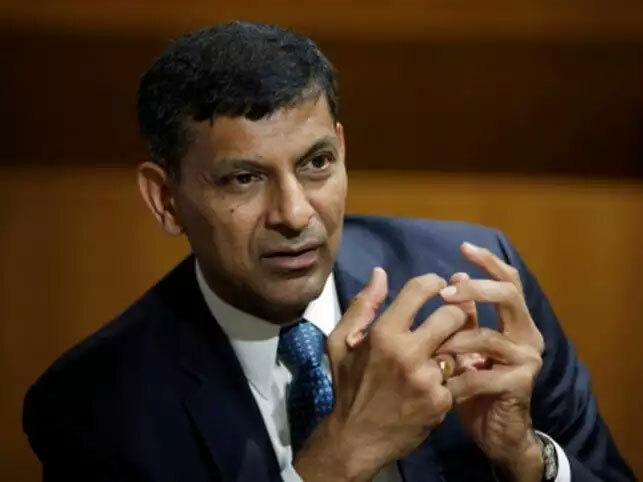 “For the moment, we will not tinker with the rate structure of 5, 12, 18 and 28%. 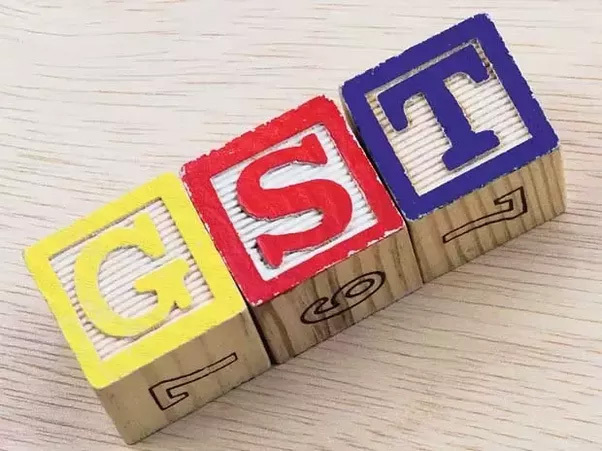 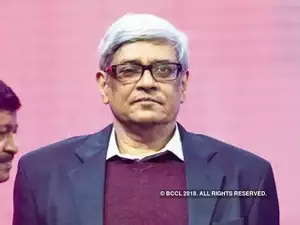 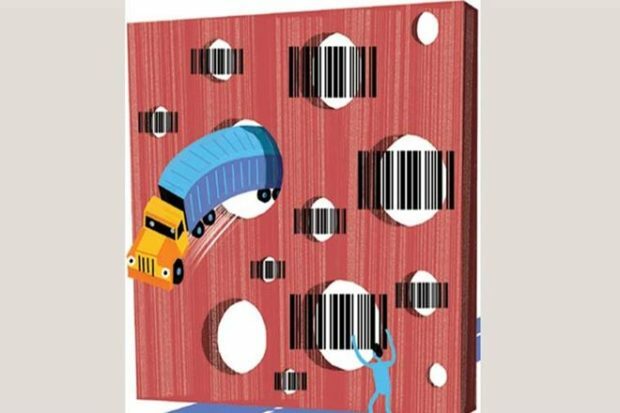 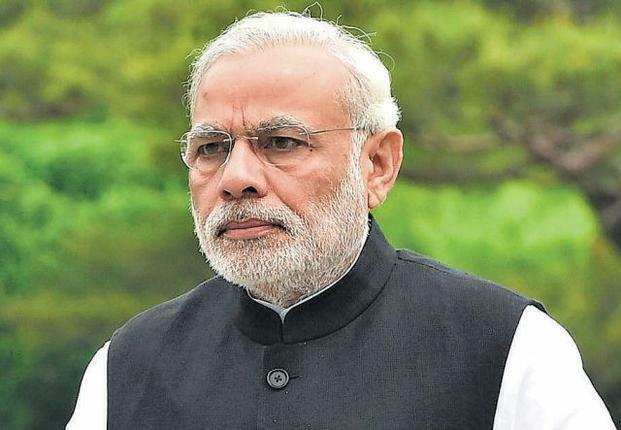 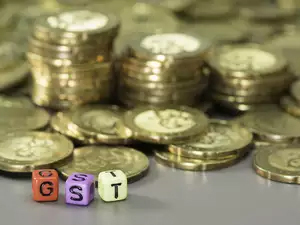 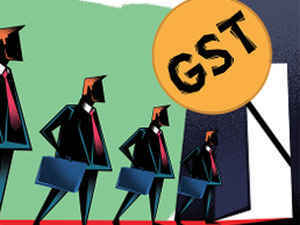 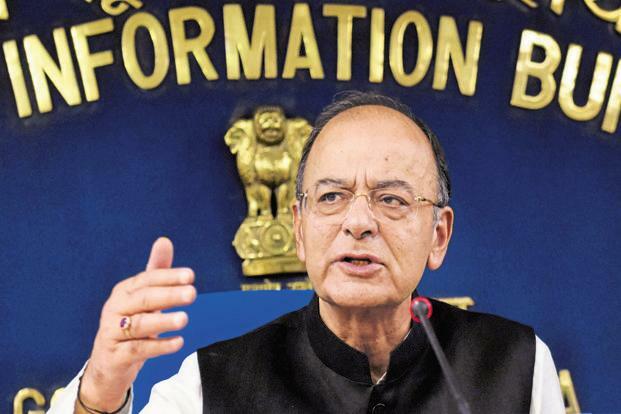 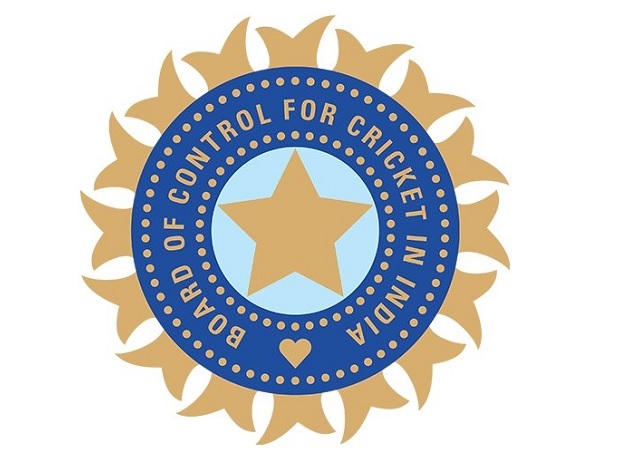 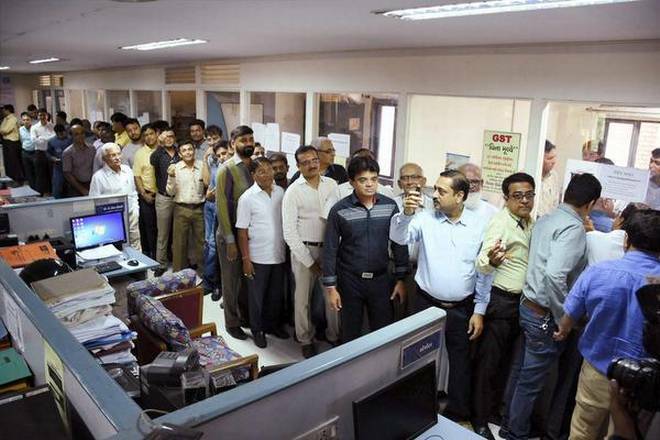 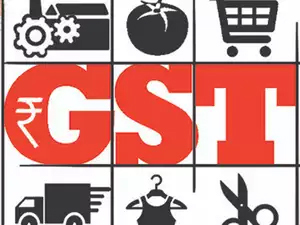 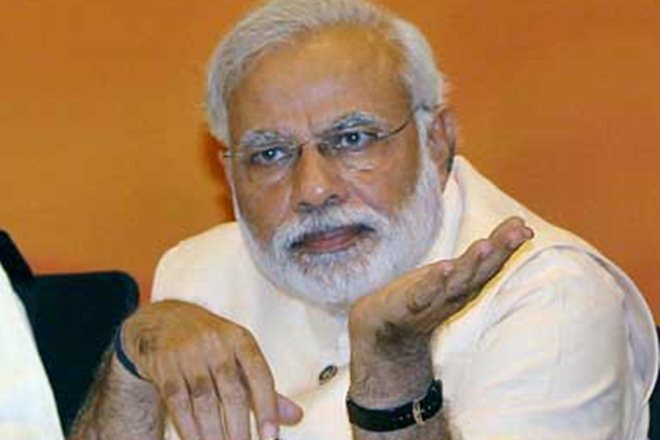 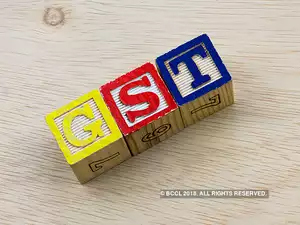 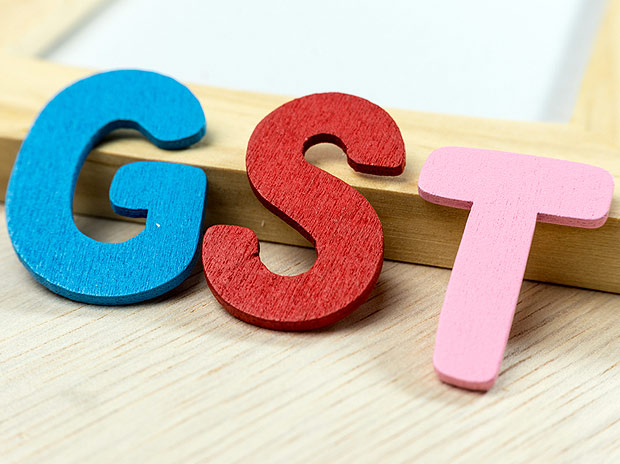 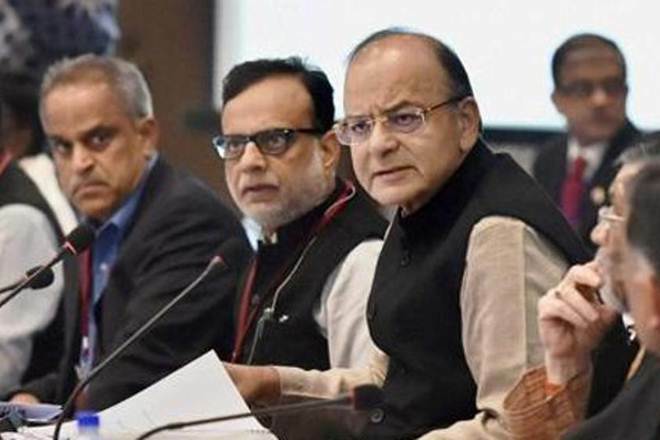 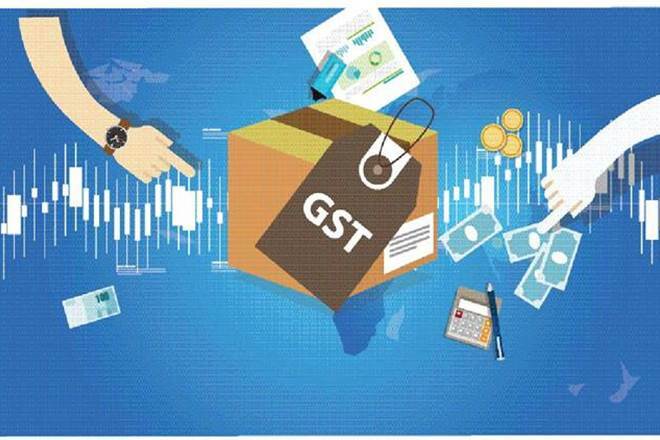 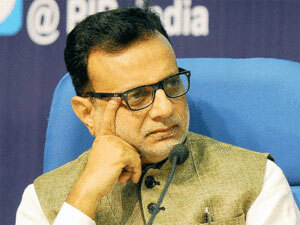 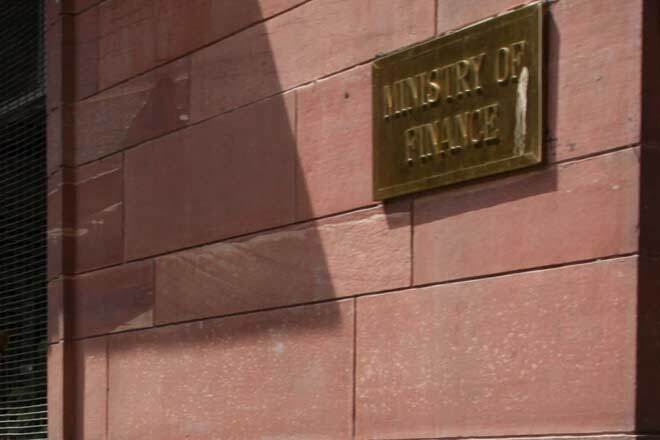 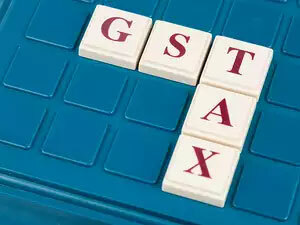 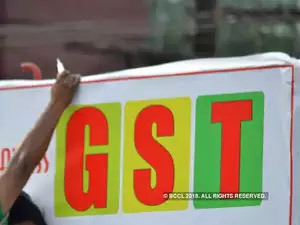 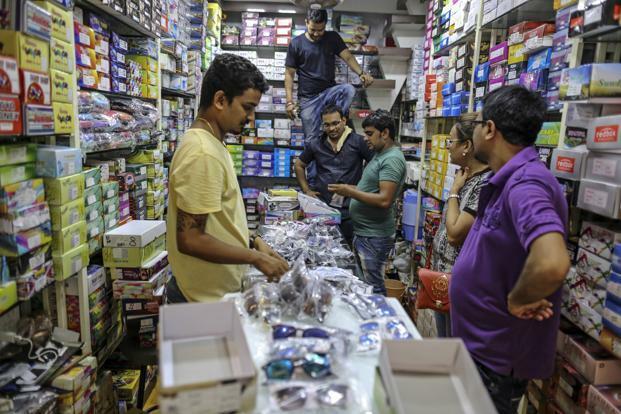 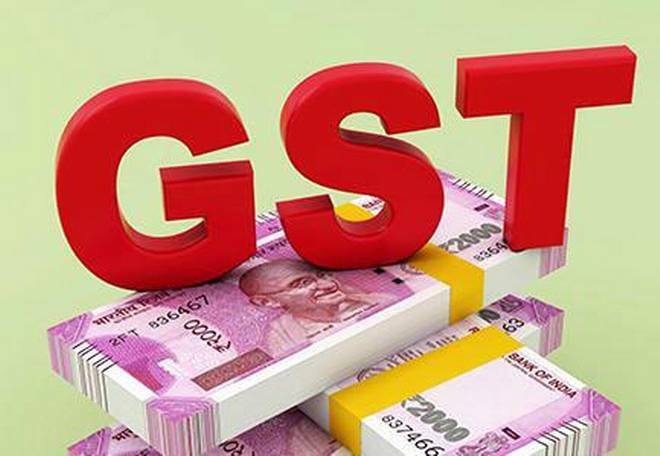 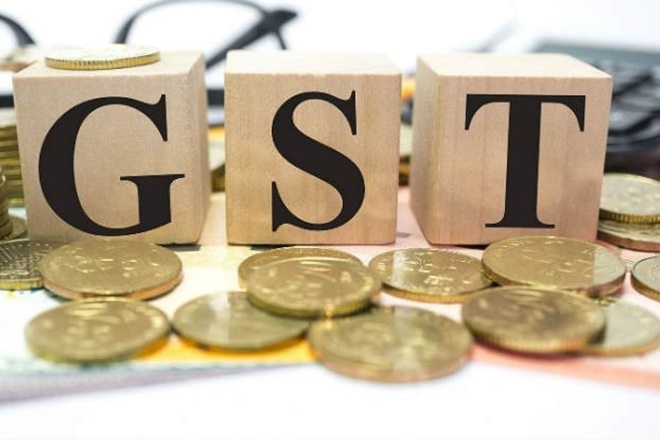 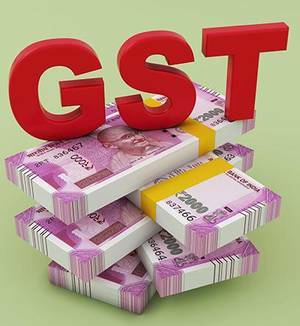 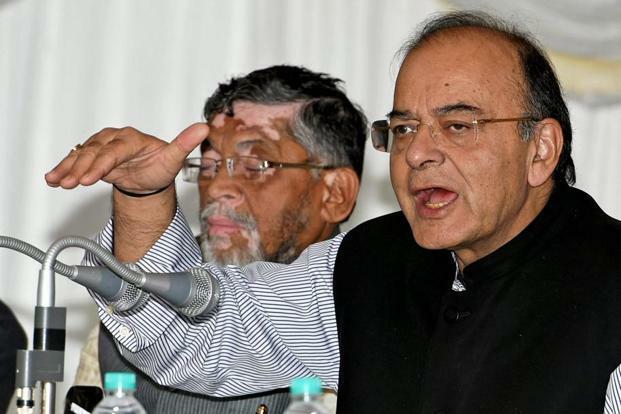 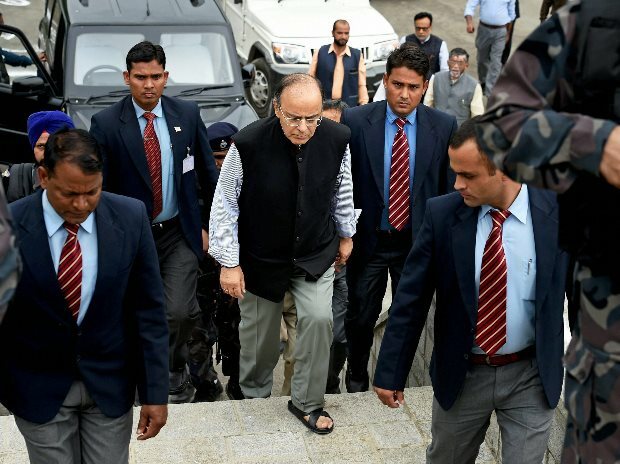 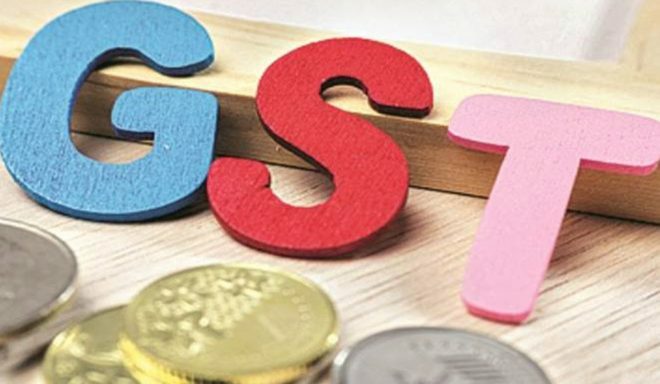 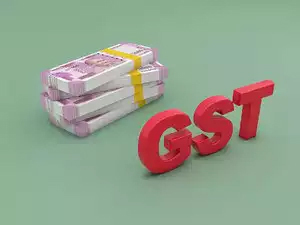 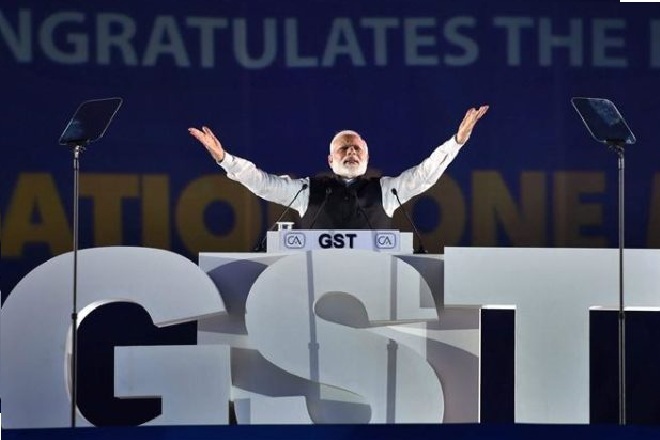 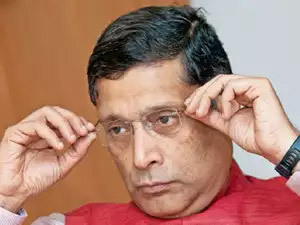 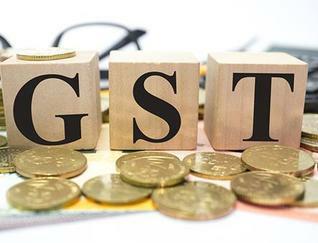 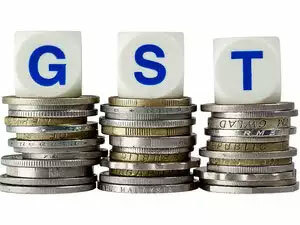 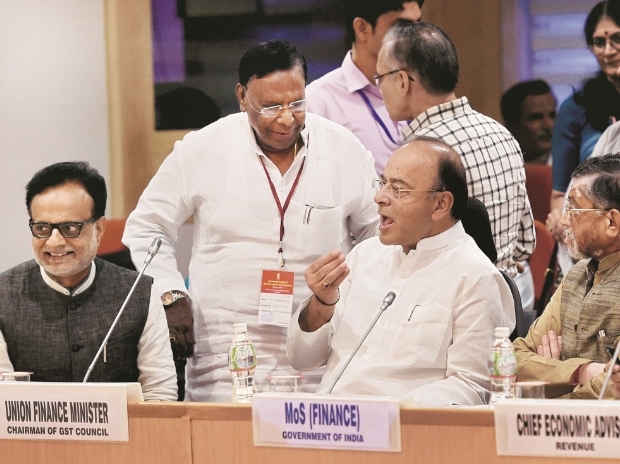 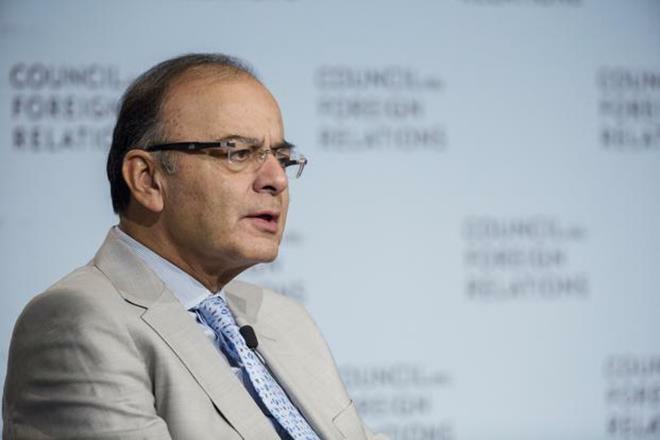 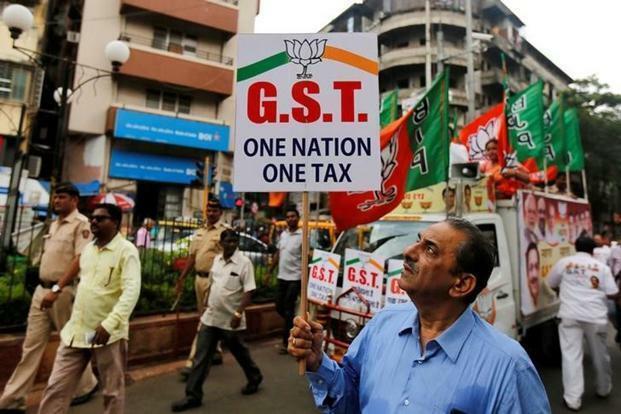 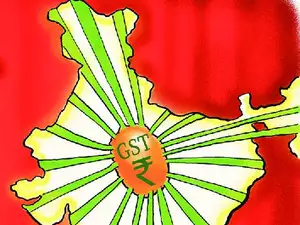 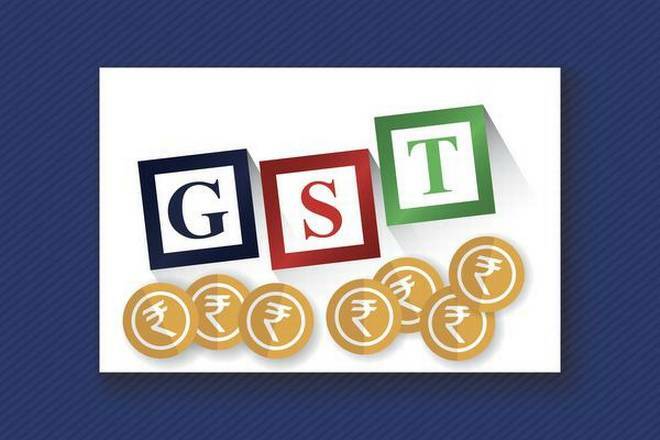 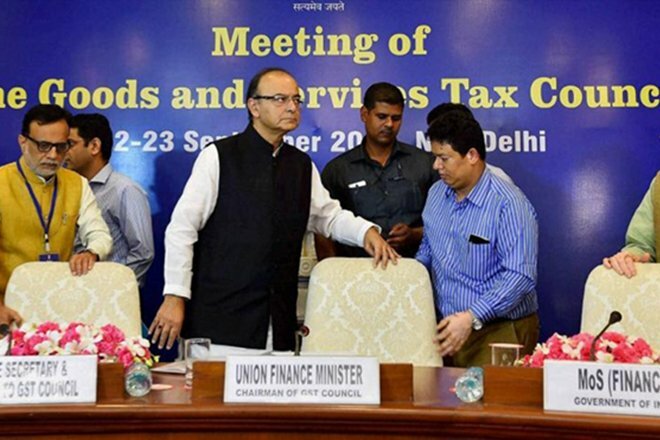 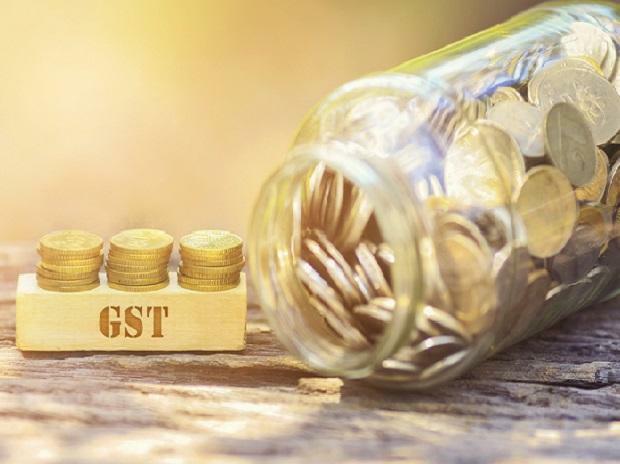 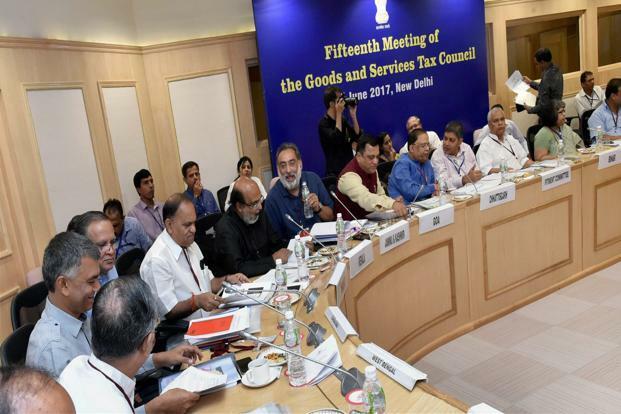 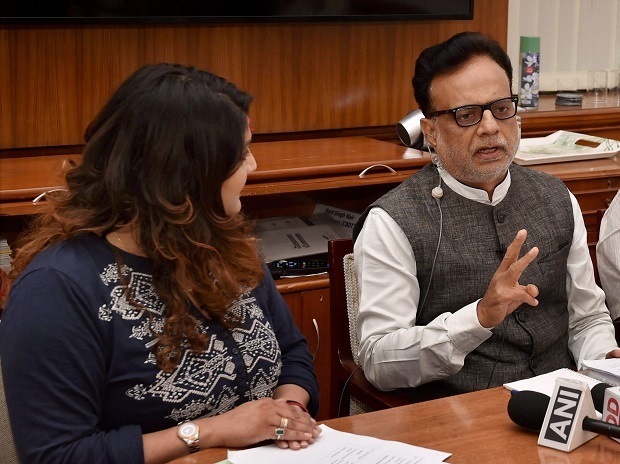 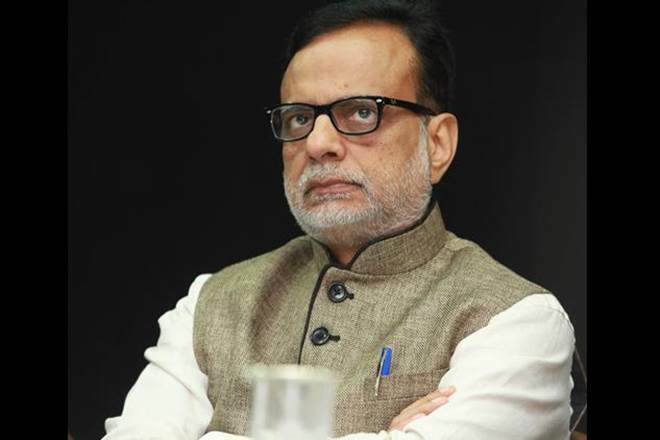 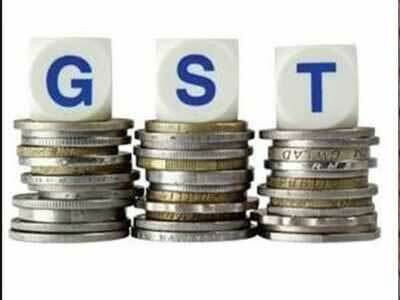 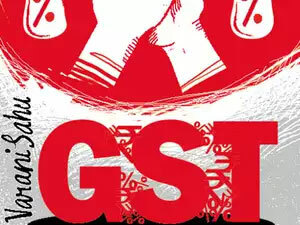 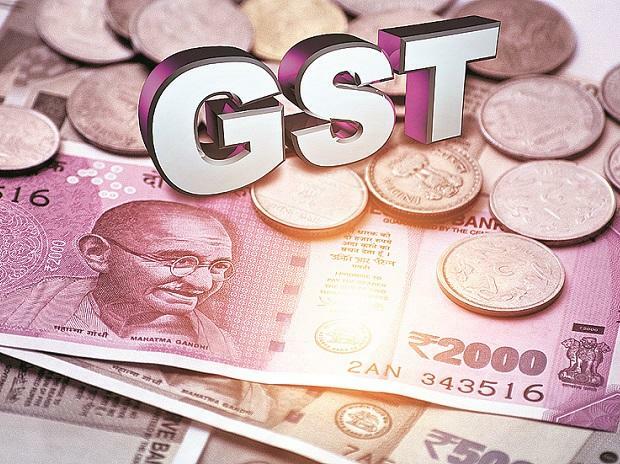 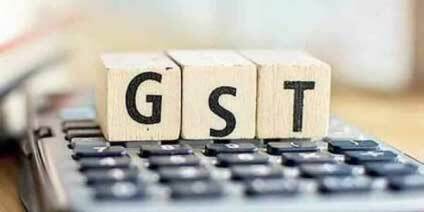 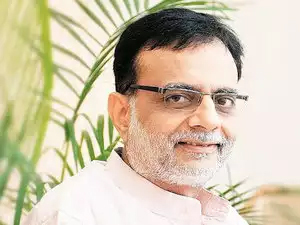 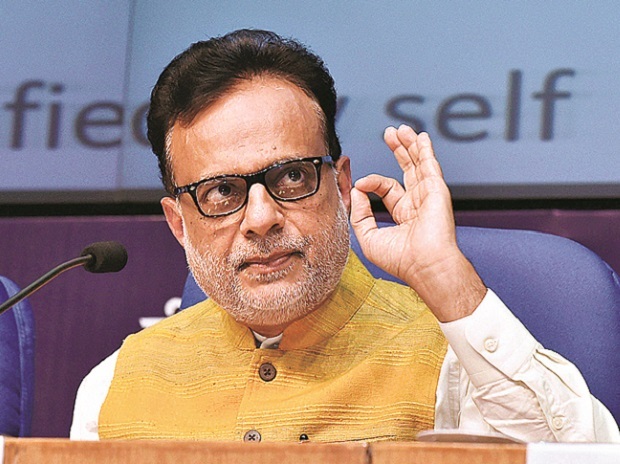 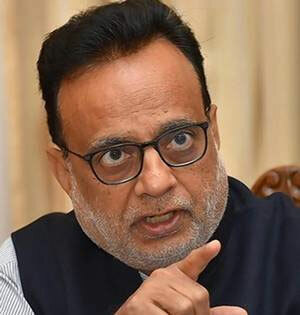 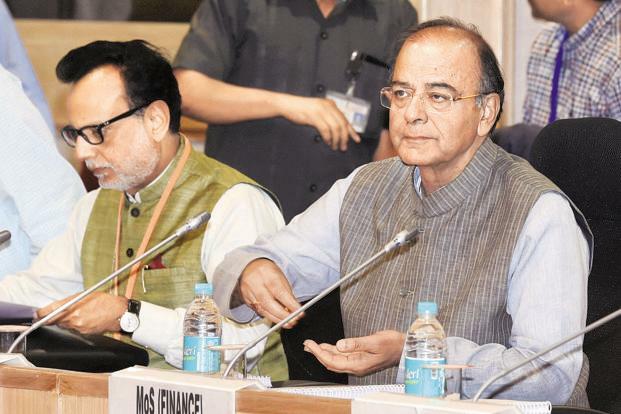 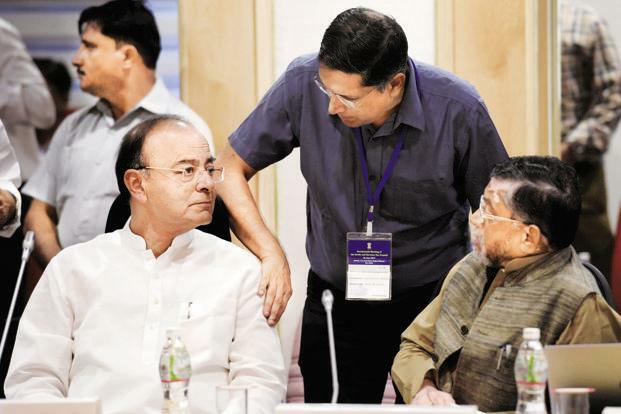 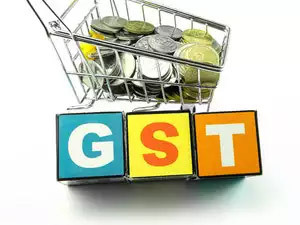 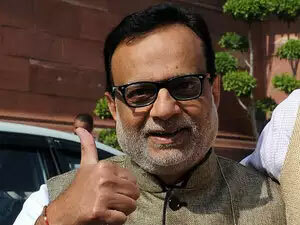 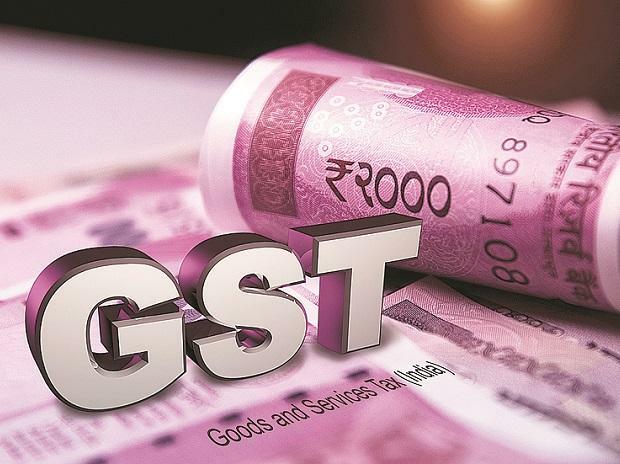 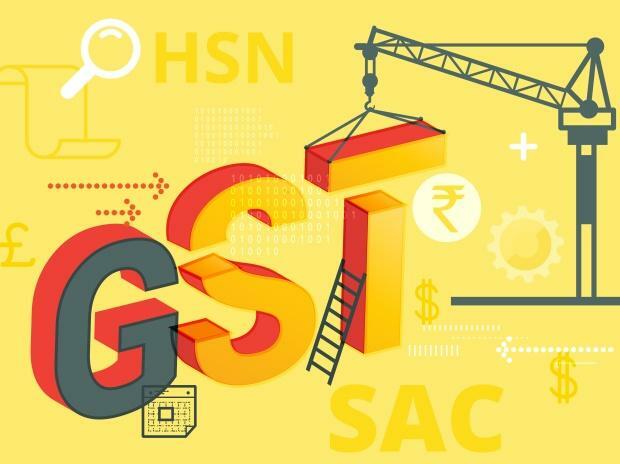 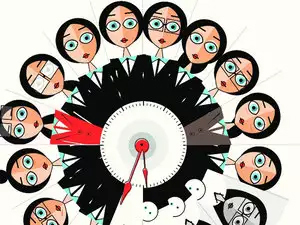 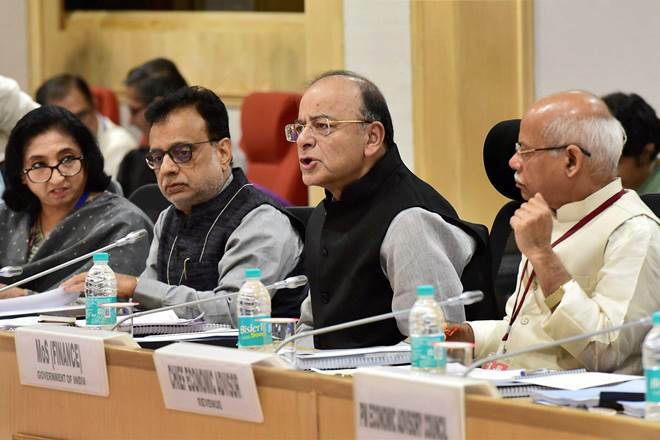 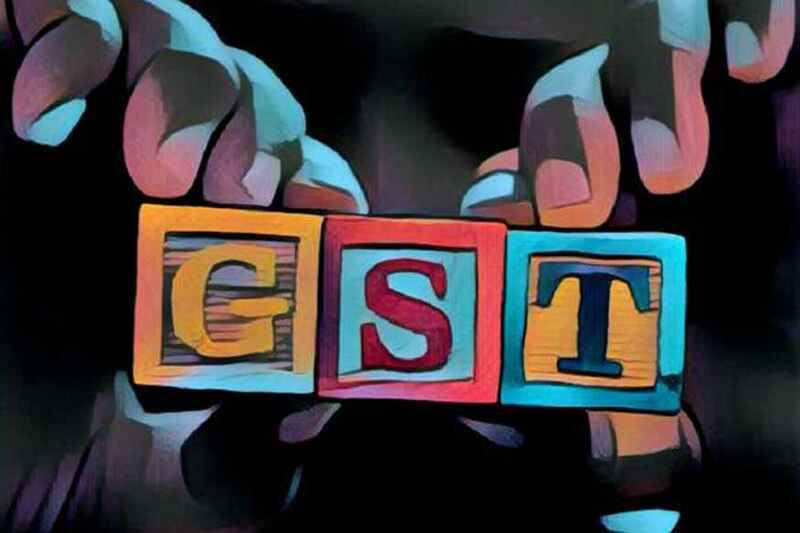 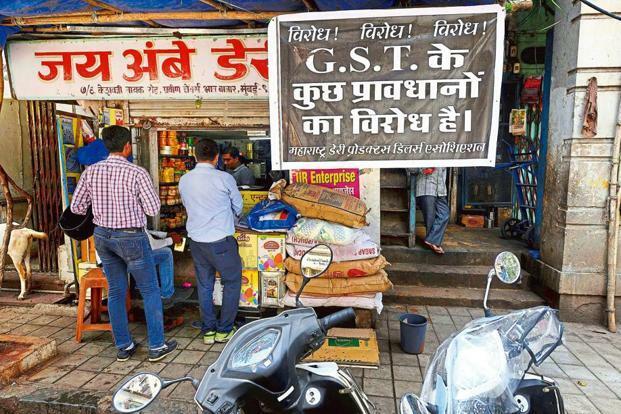 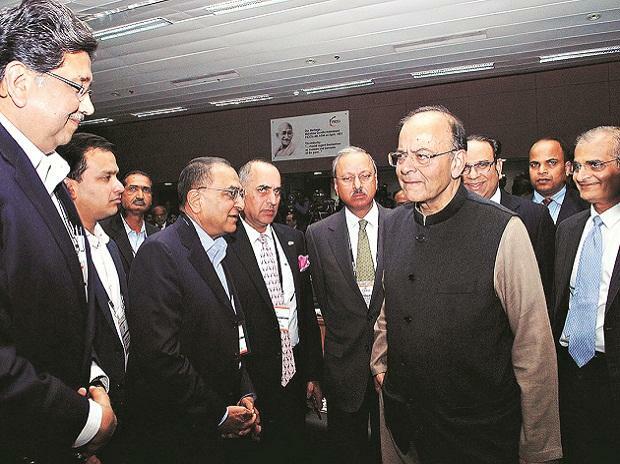 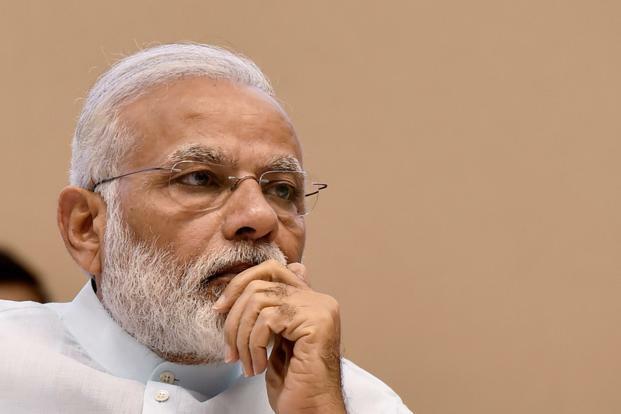 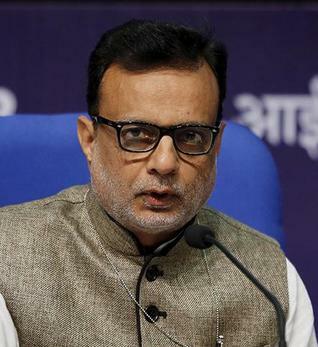 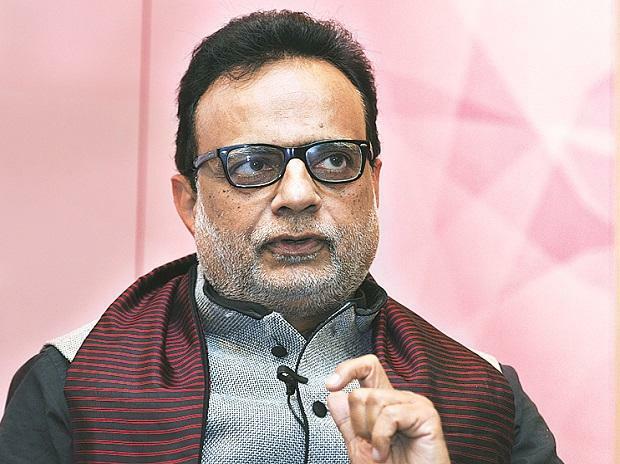 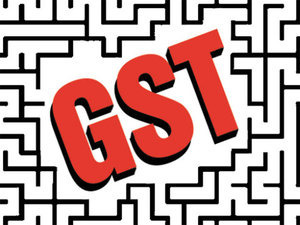 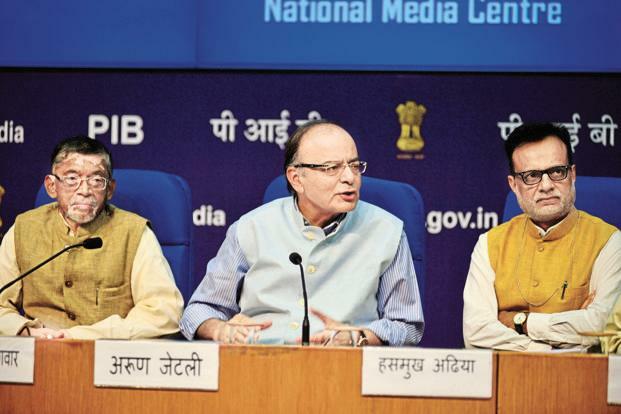 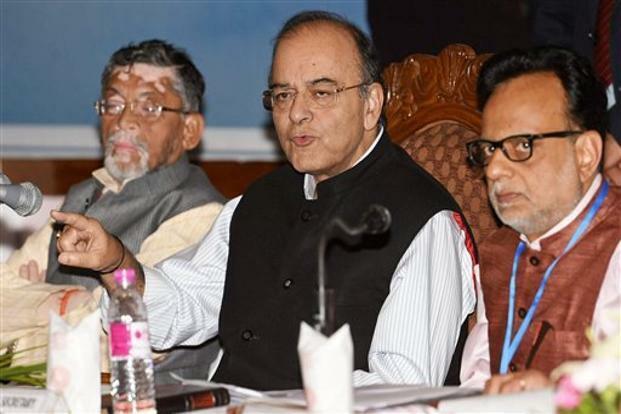 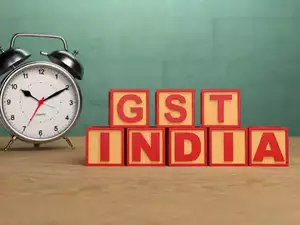 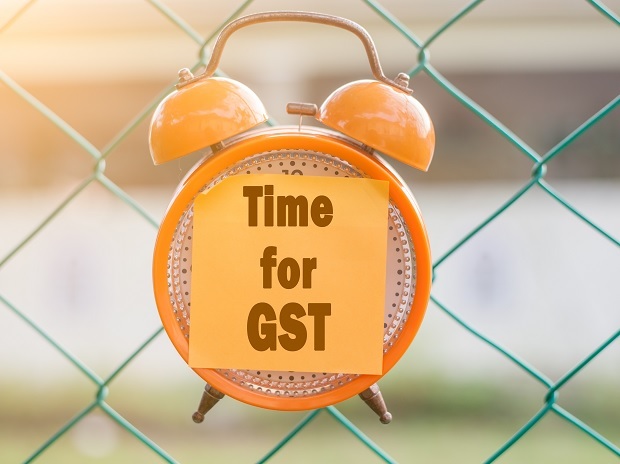 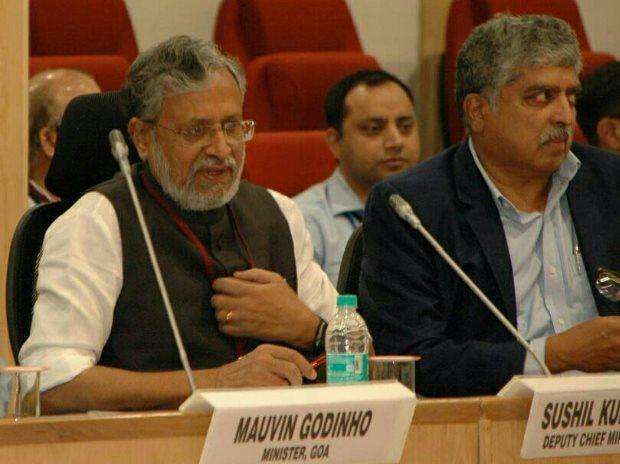 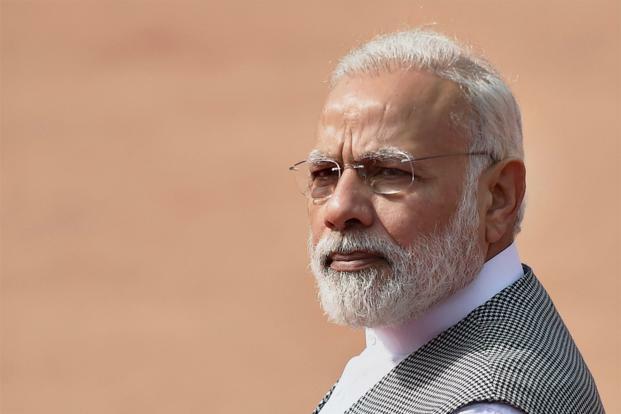 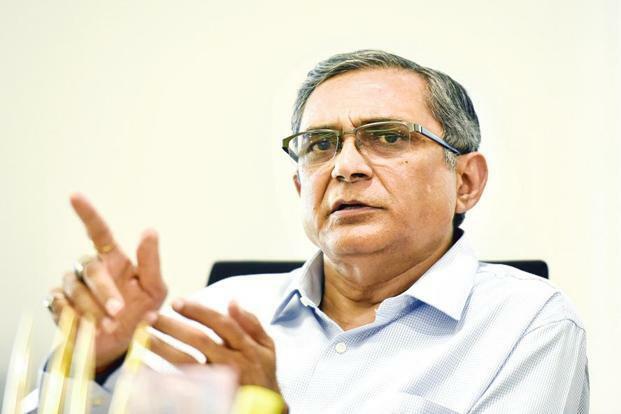 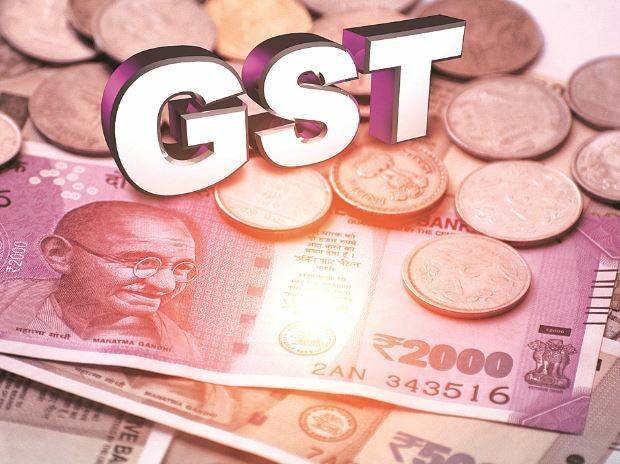 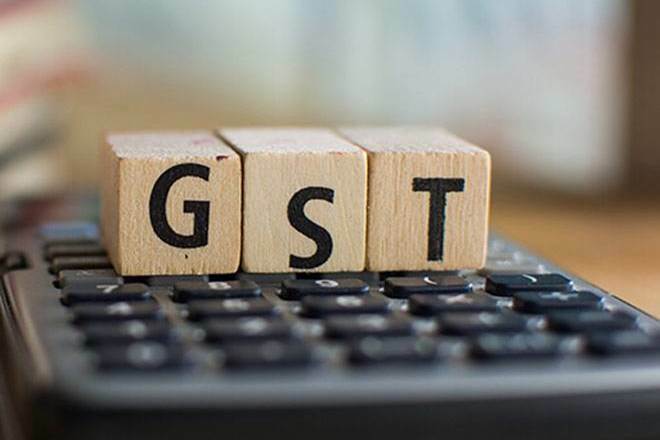 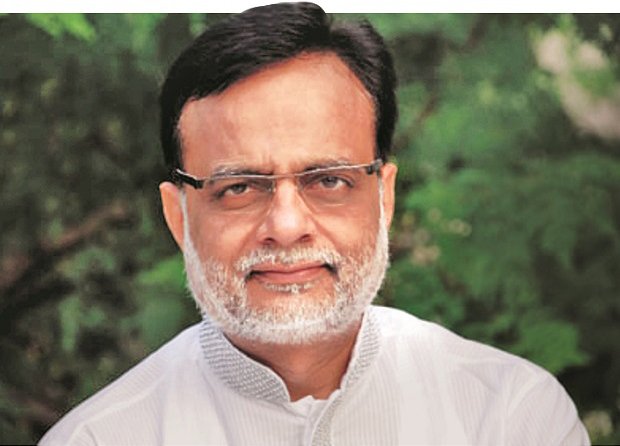 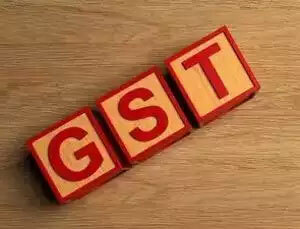 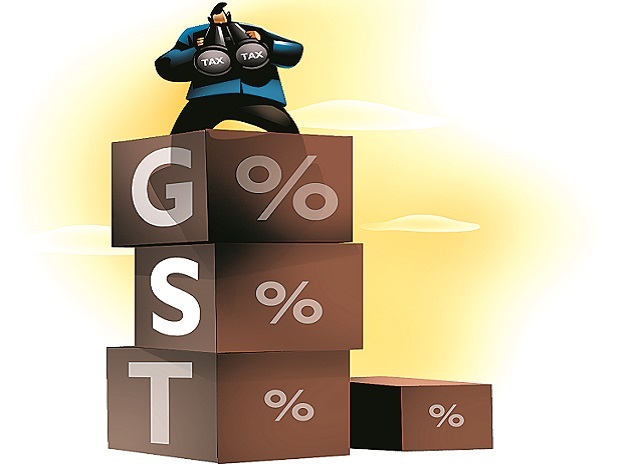 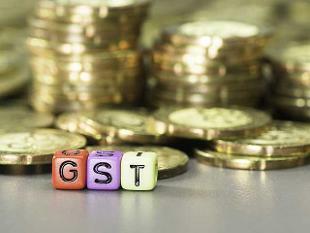 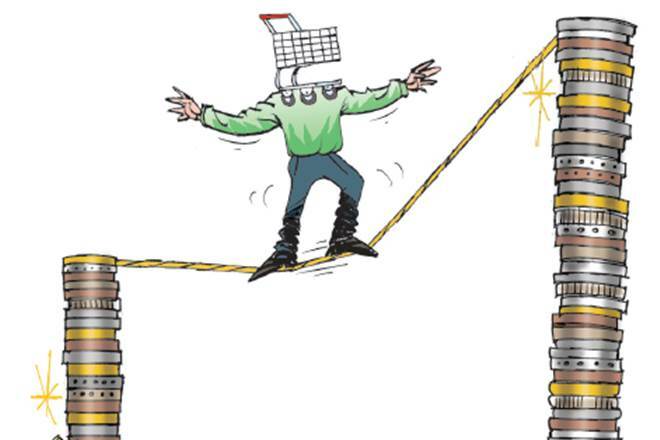 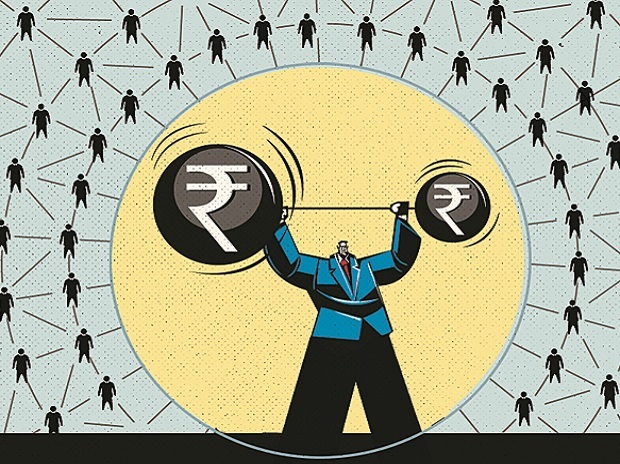 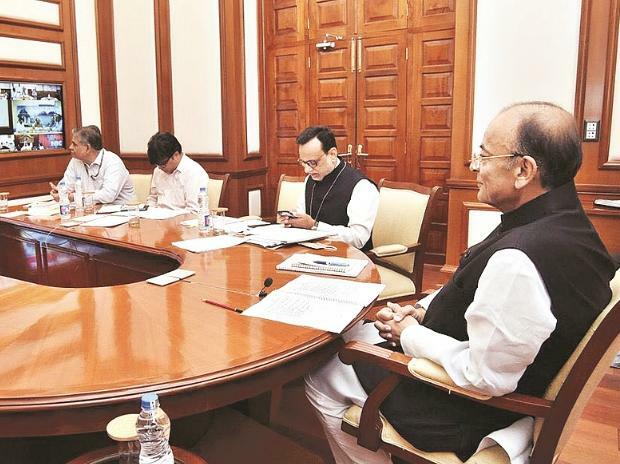 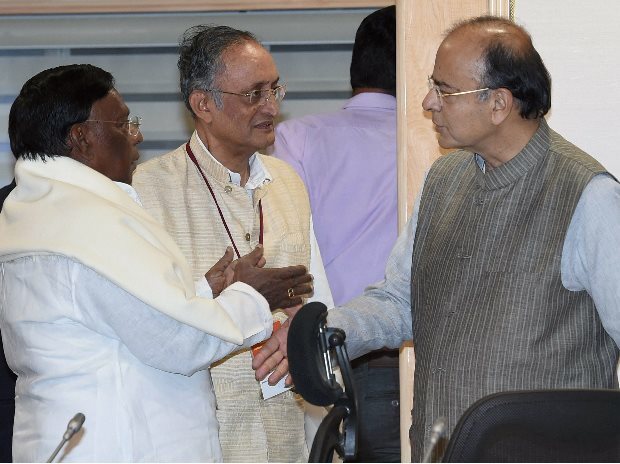 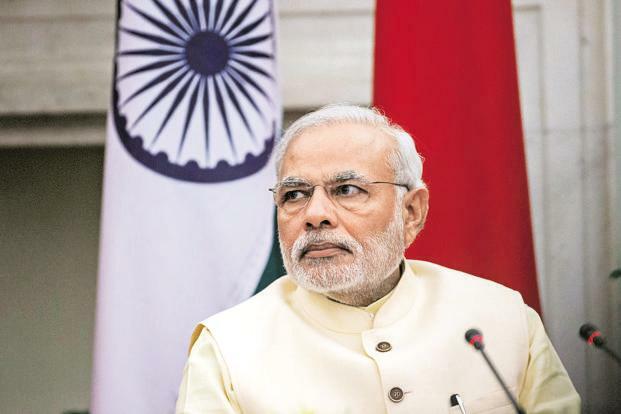 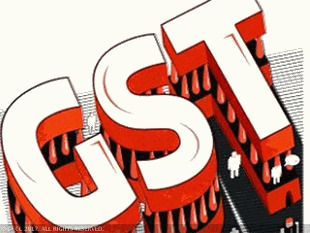 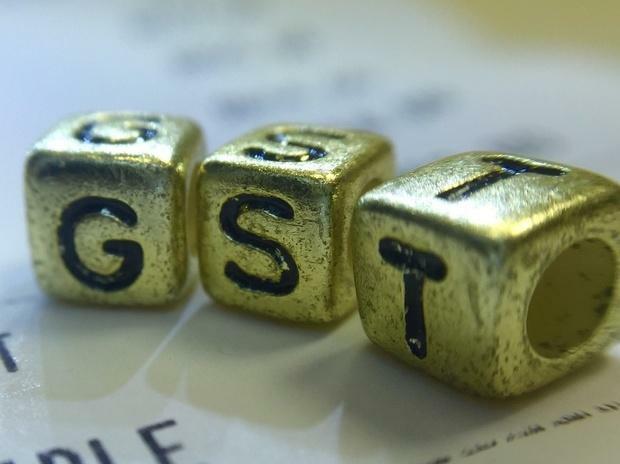 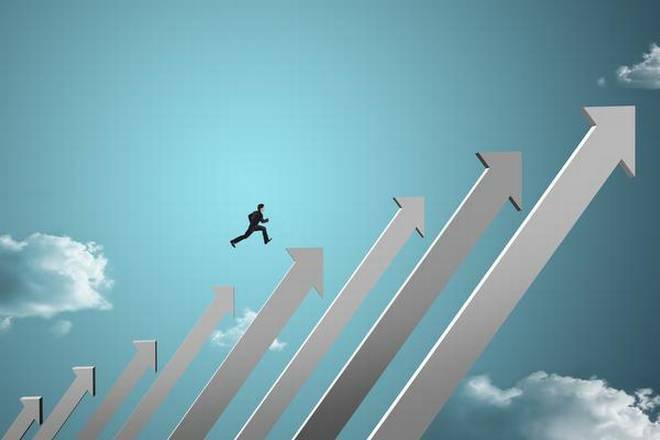 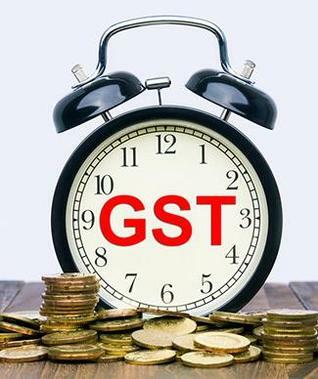 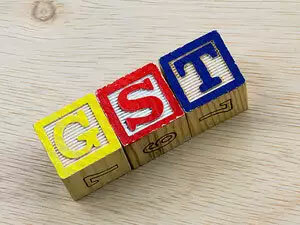 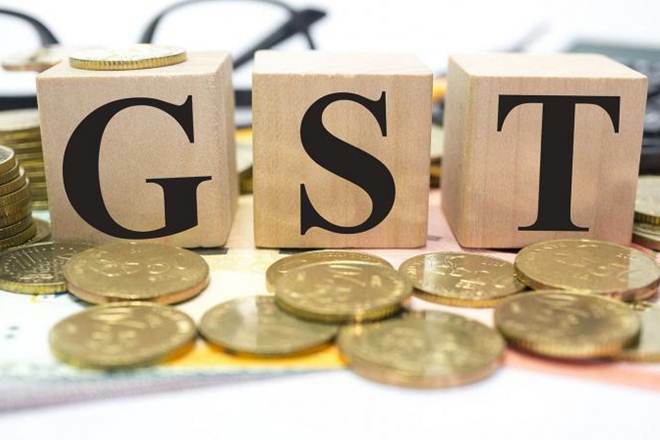 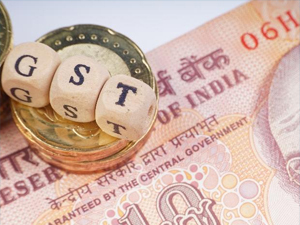 The GST Council has decided to keep the upper cap higher at 20% so that in future in case of need to hike tax rate, there is no need to approach Parliament for a nod and the GST Council can raise it,” the officials said. 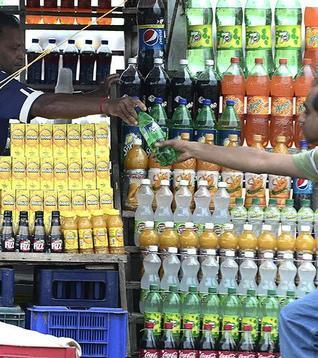 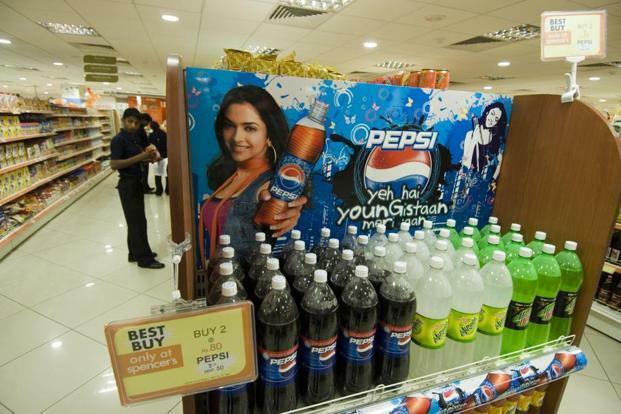 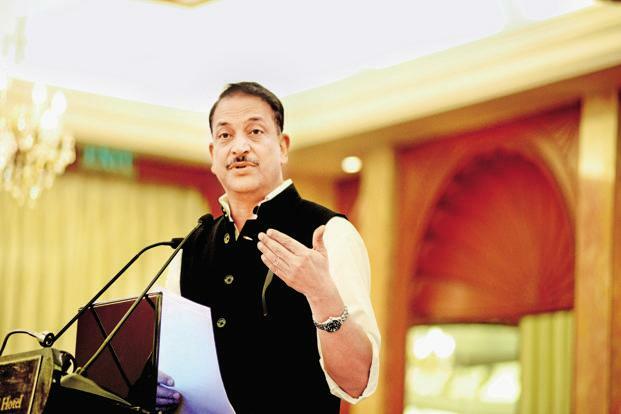 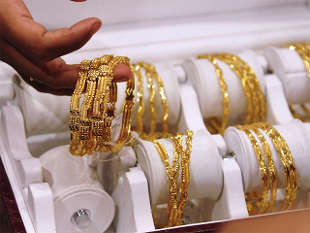 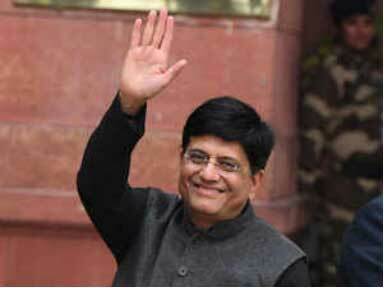 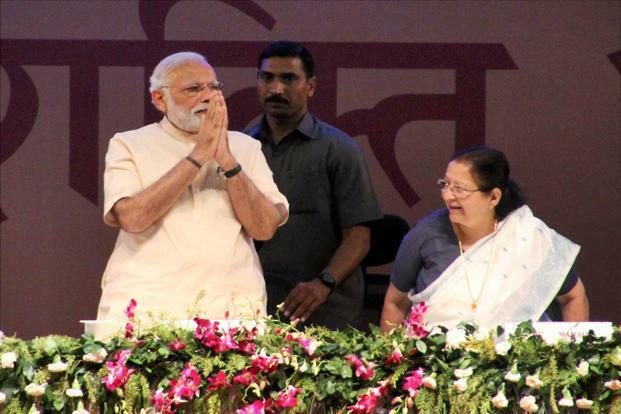 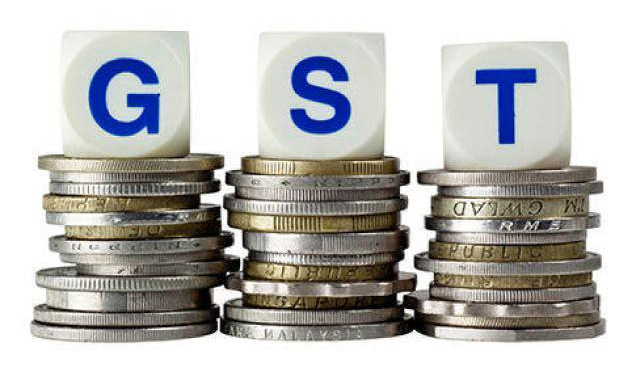 This means the central GST and state GST can be up to 20% each, leaving the scope for a maximum levy at 40 per cent. 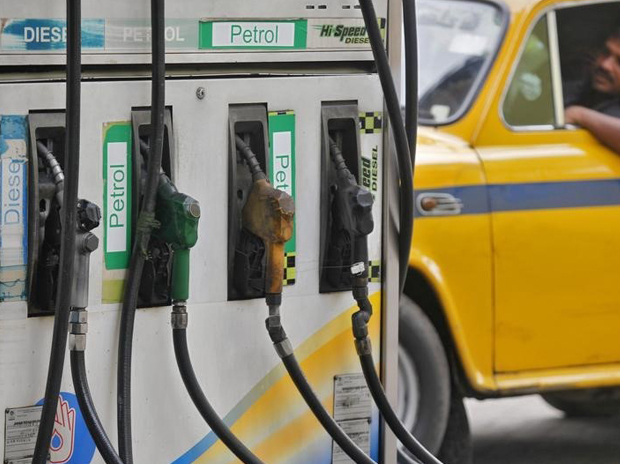 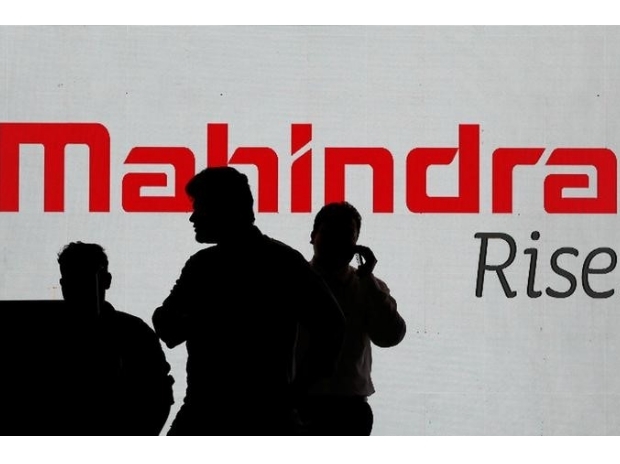 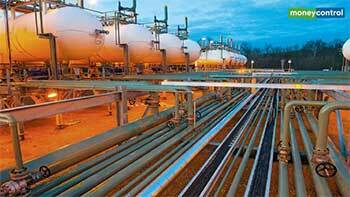 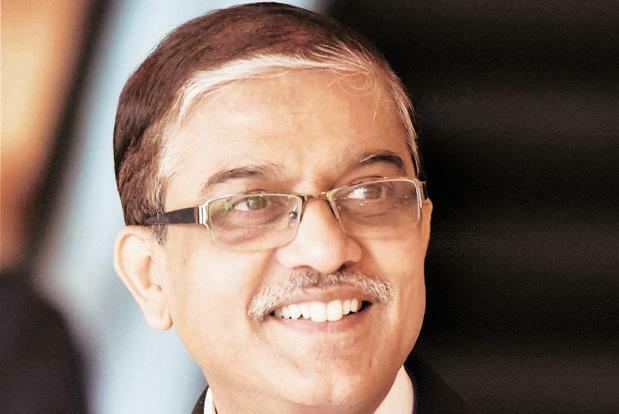 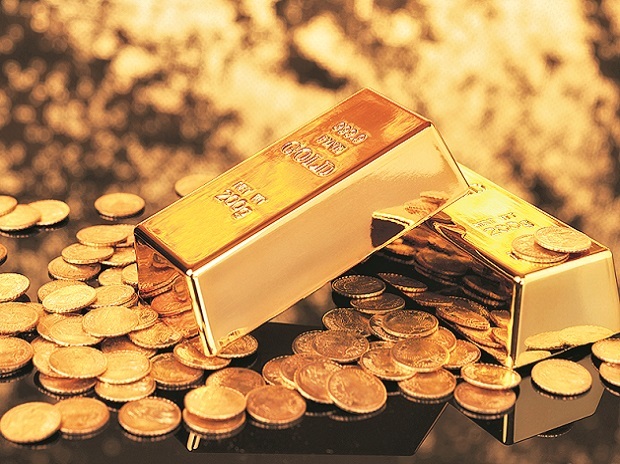 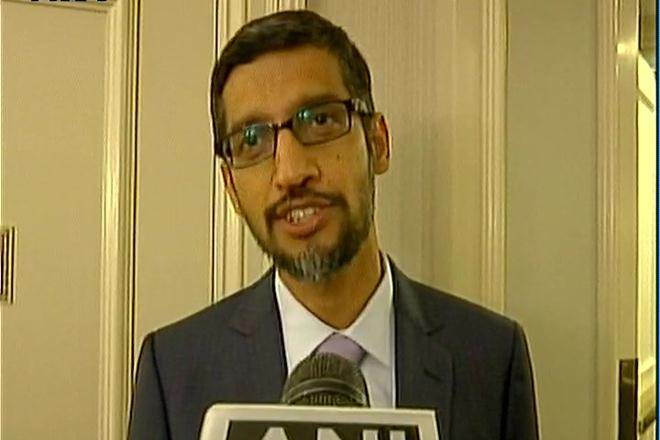 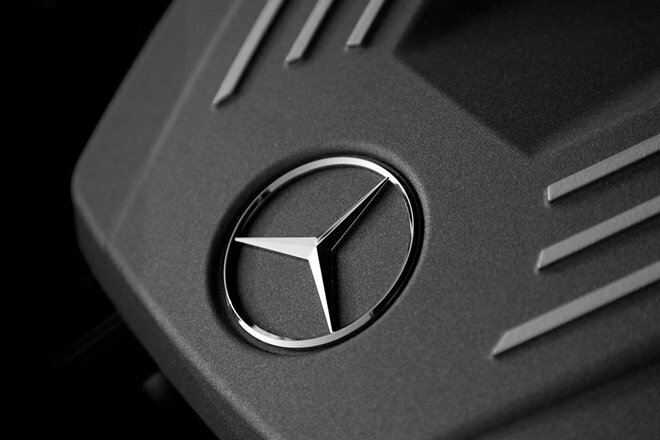 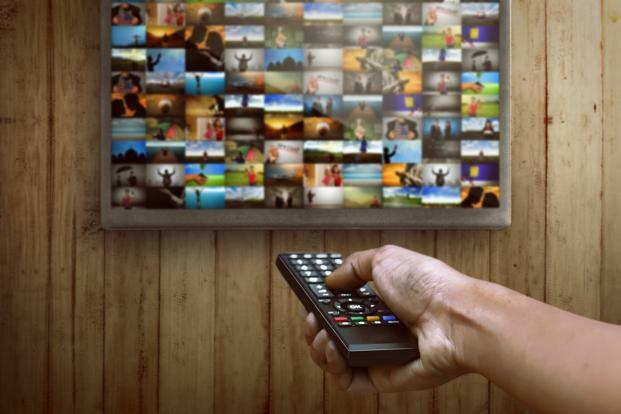 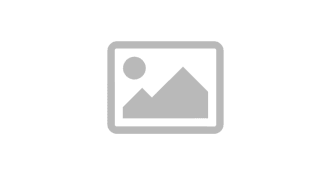 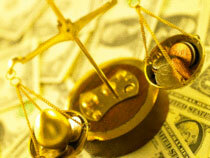 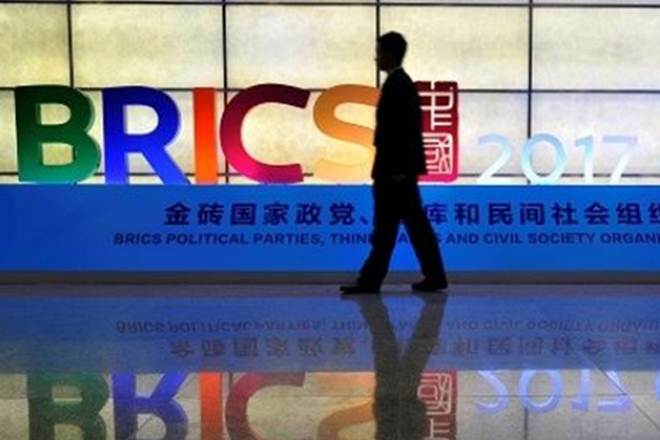 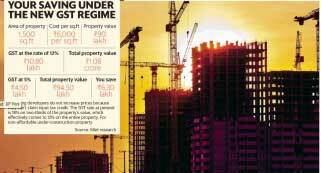 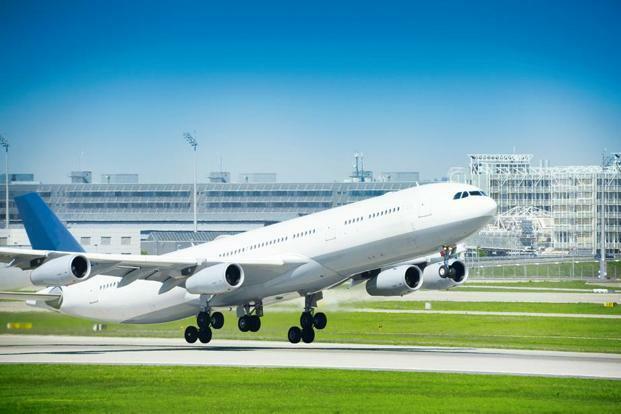 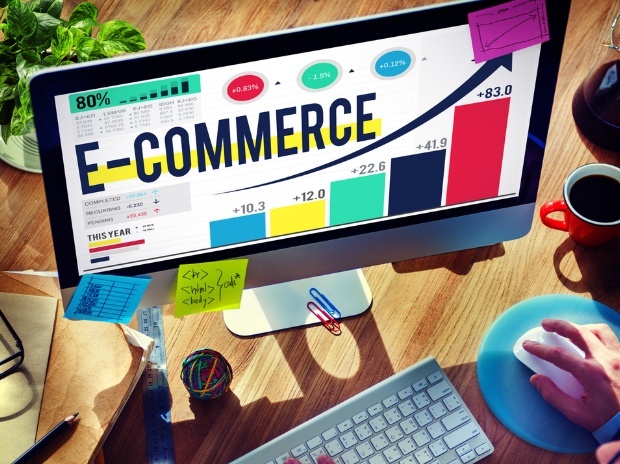 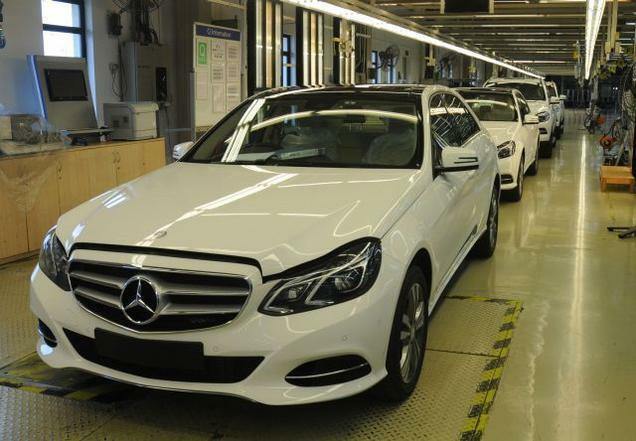 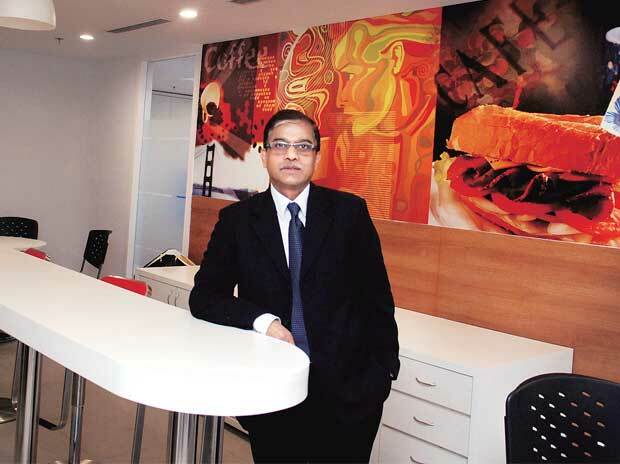 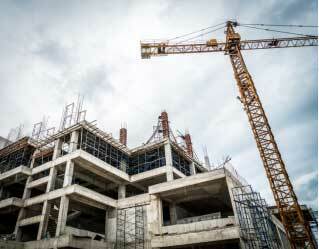 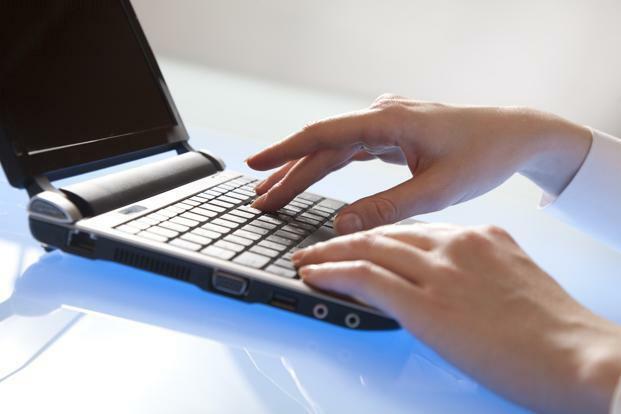 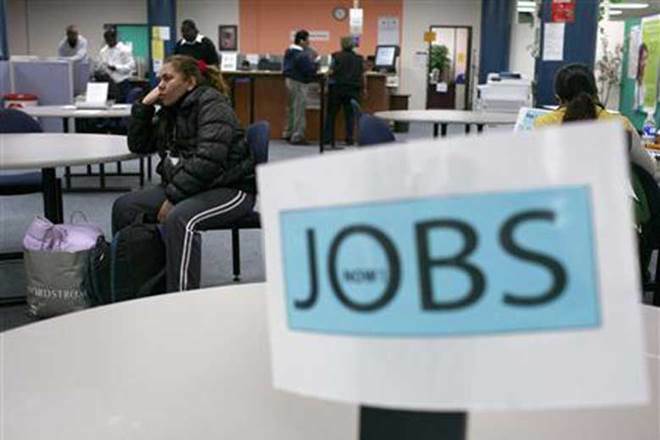 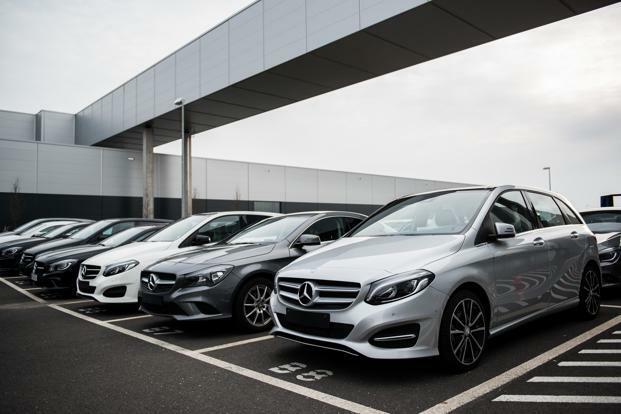 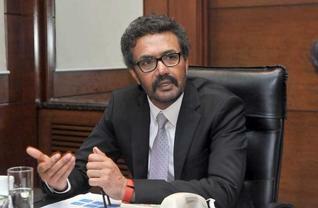 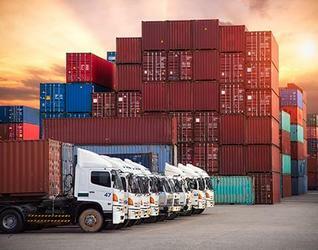 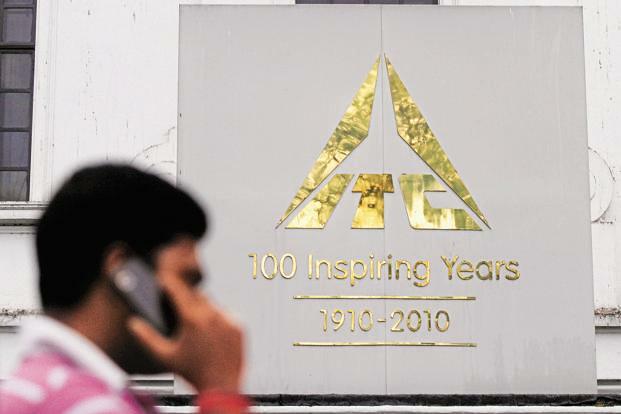 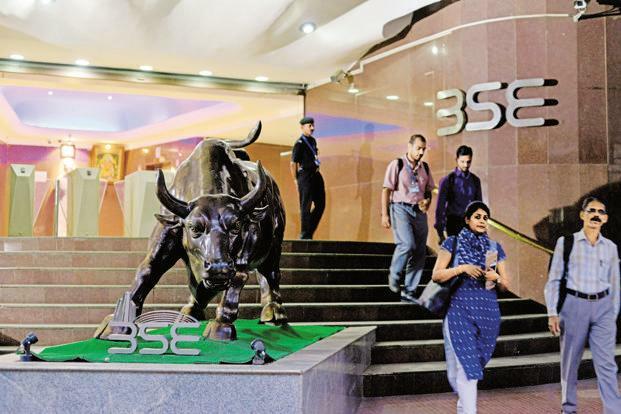 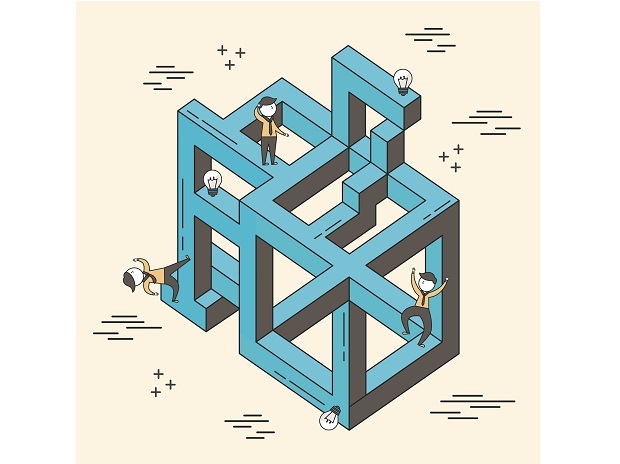 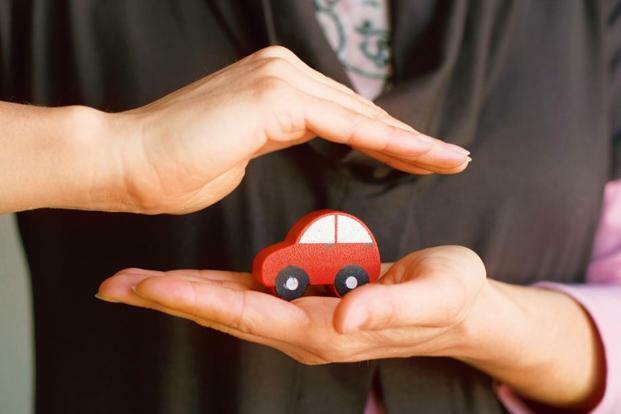 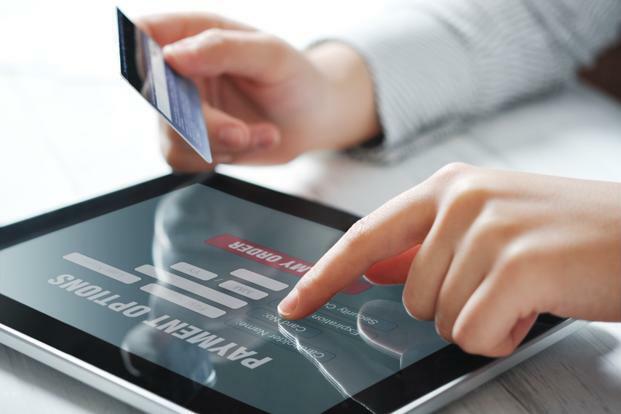 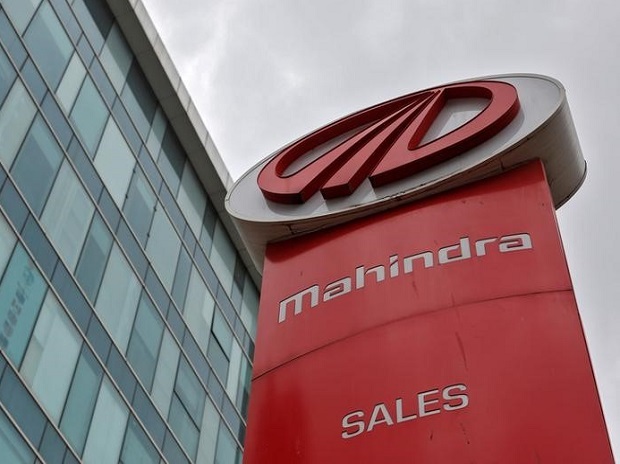 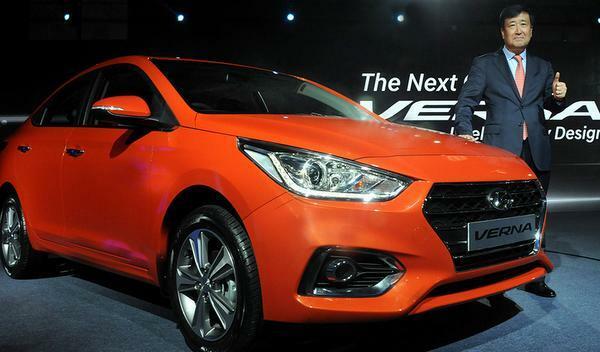 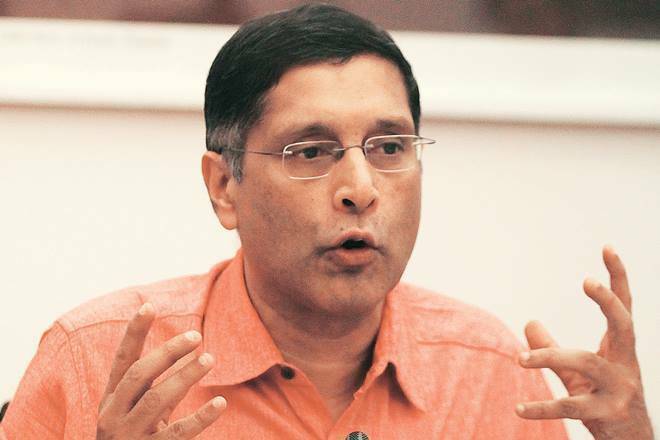 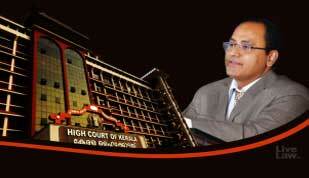 “The 4-tier rate structure that has been decided will hold for now. 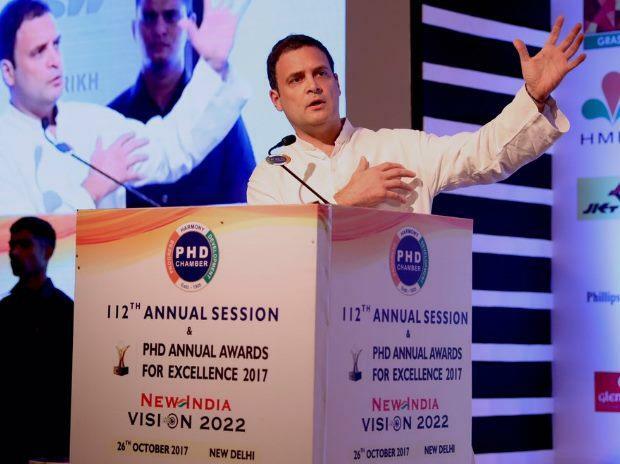 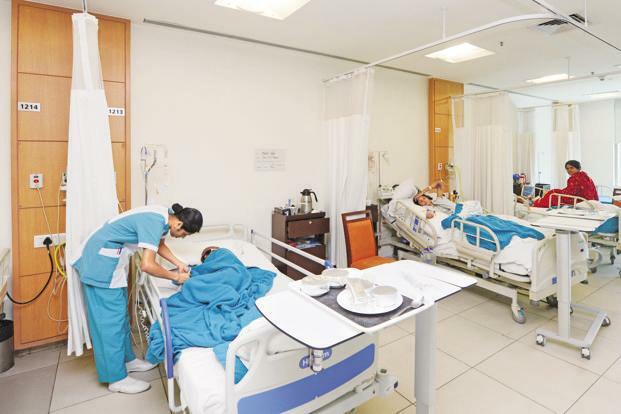 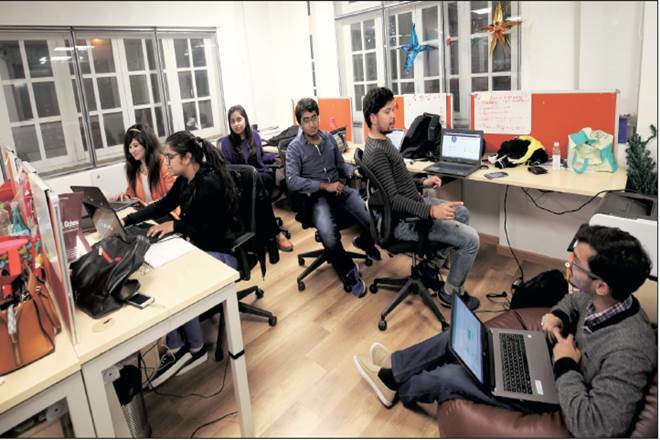 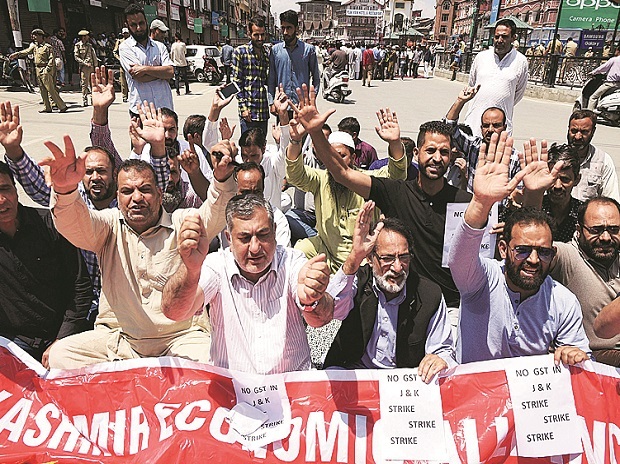 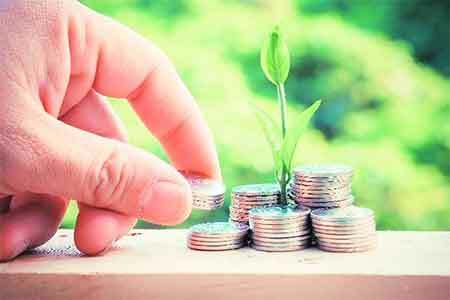 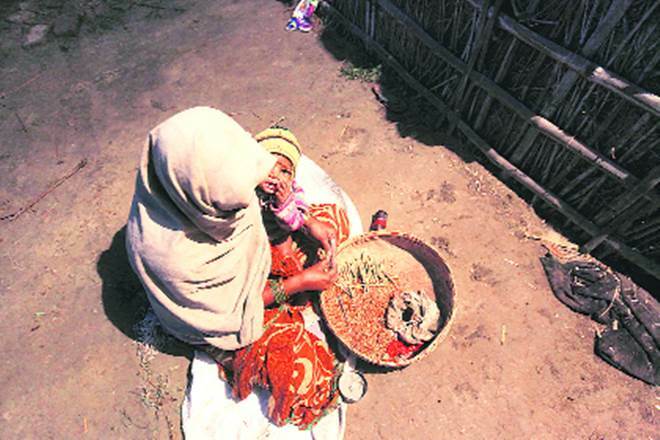 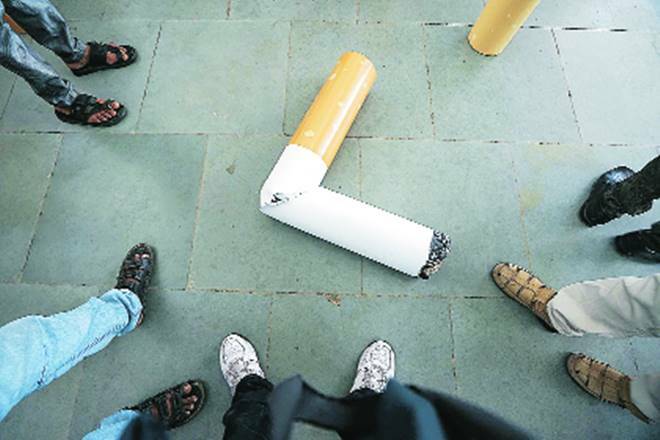 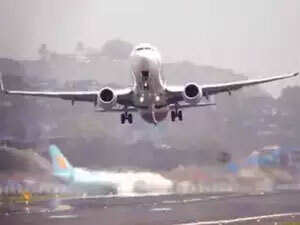 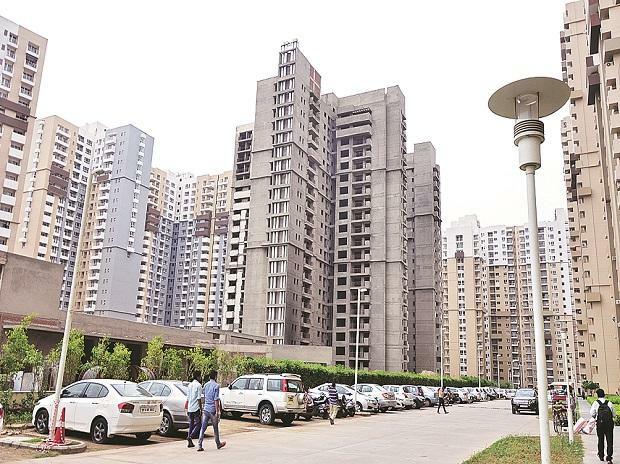 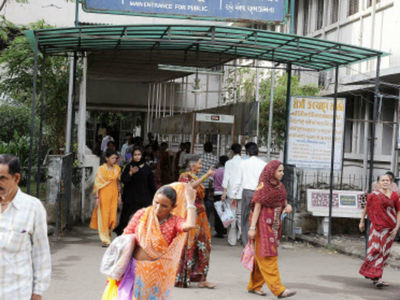 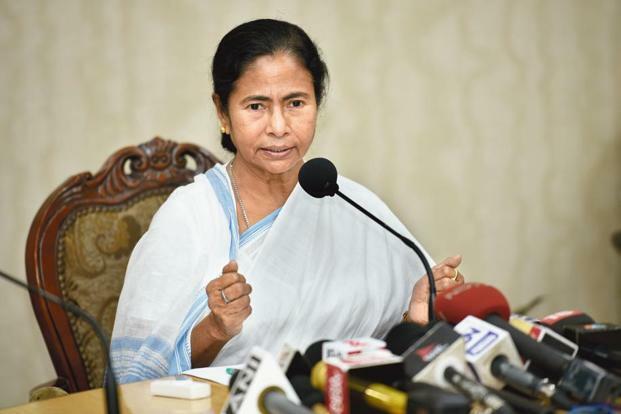 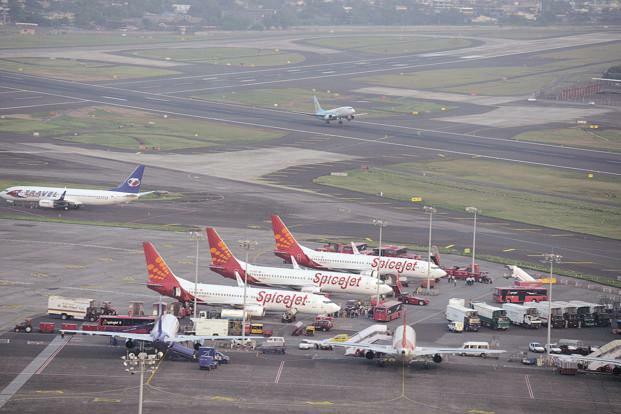 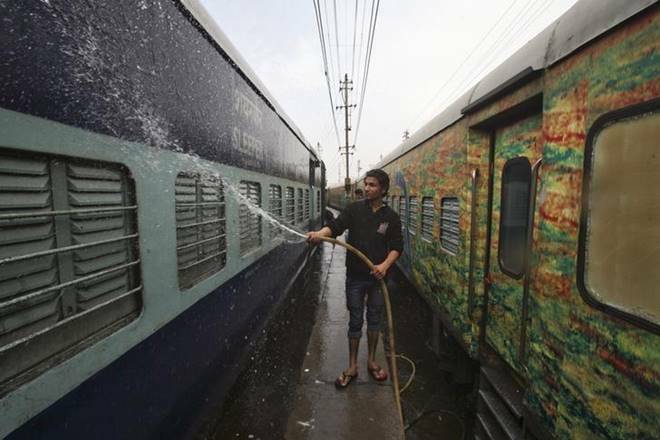 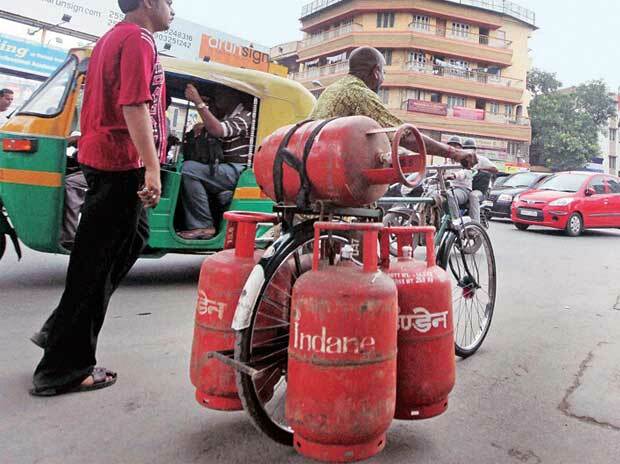 By keeping the upper cap at 20%, we are just keeping an enabling provision which the Council can exercise at a later date after deliberation,” the officials added. 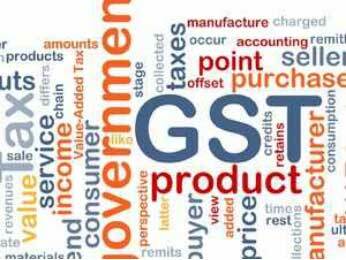 Mirroring the model GST law, the CGST, the SGST and the UTGST law will be firmed up by the Centre, states and Union Territories, respectively. 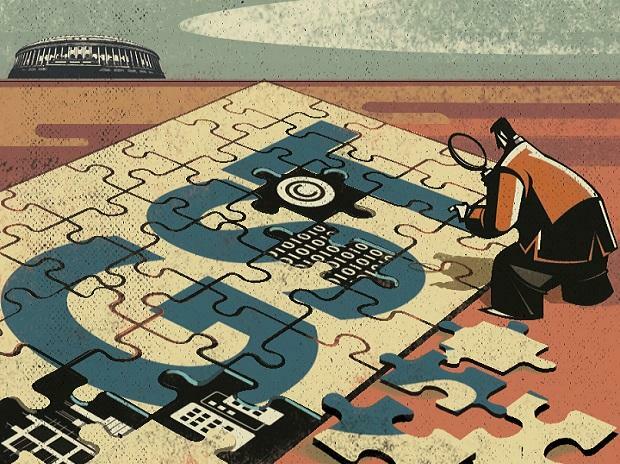 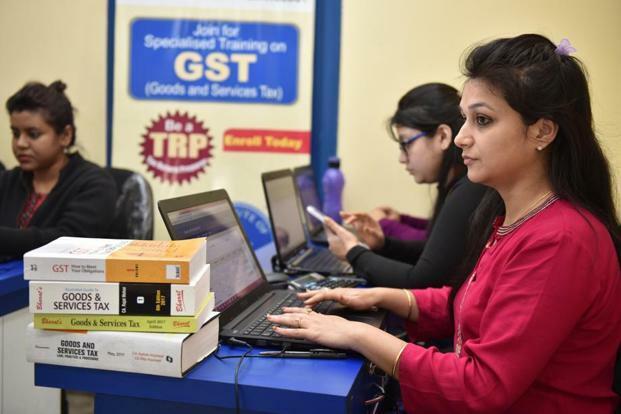 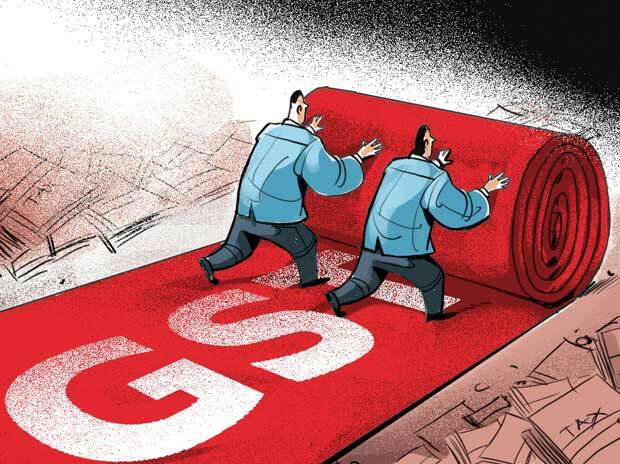 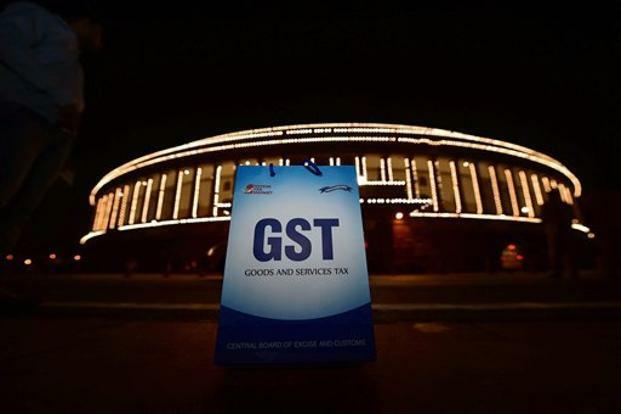 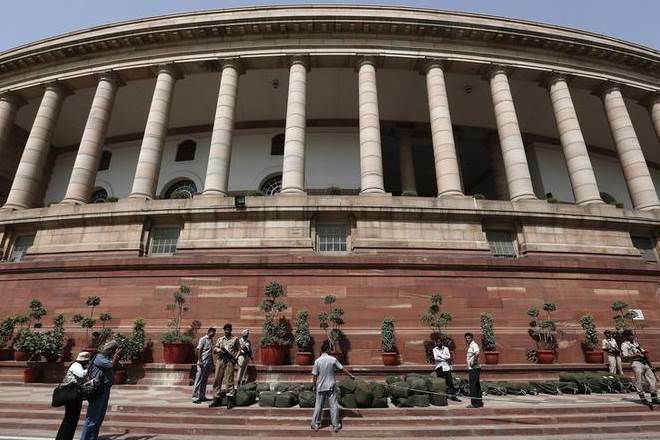 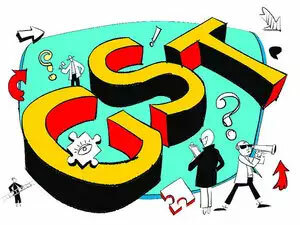 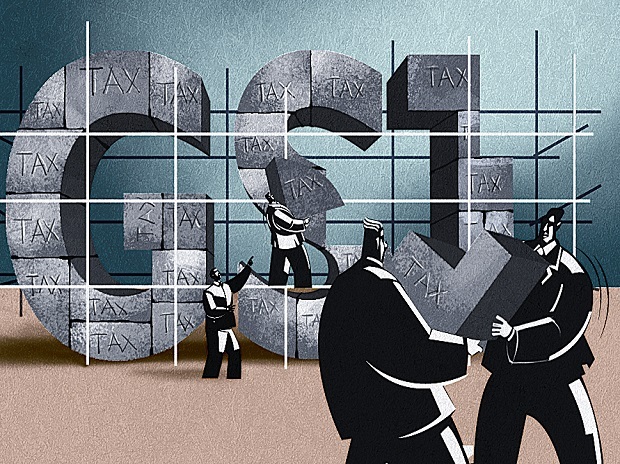 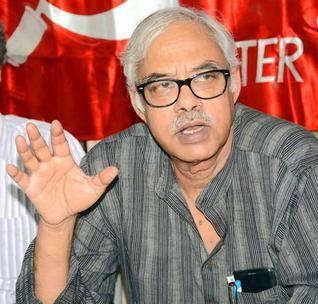 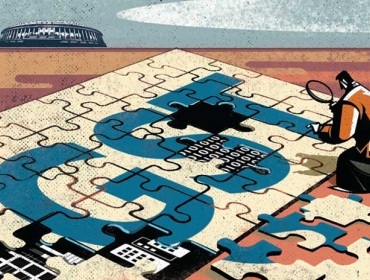 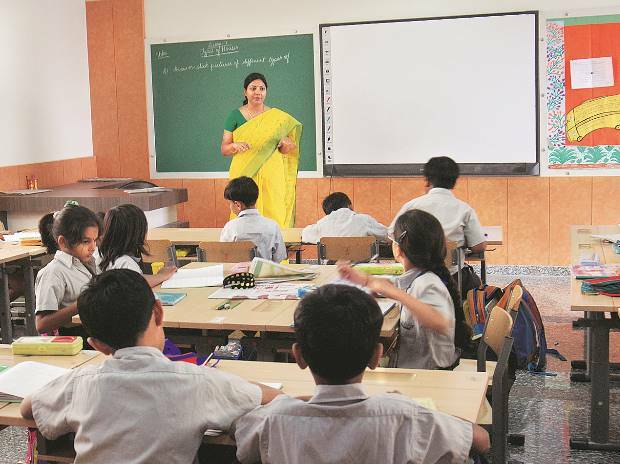 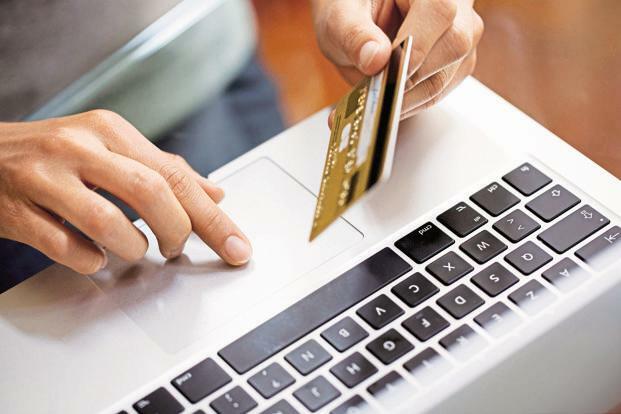 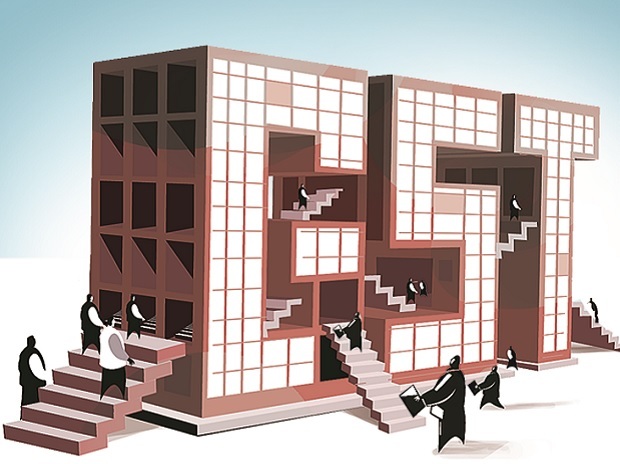 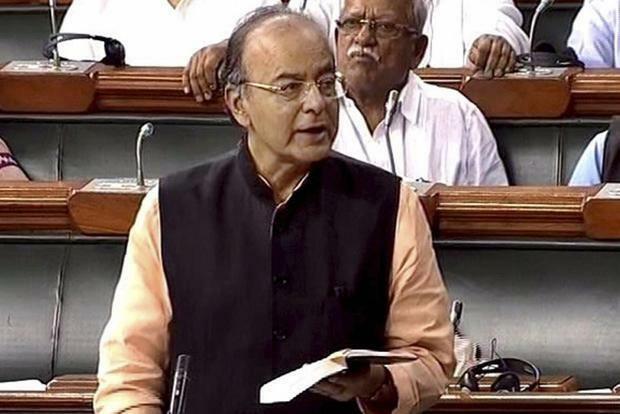 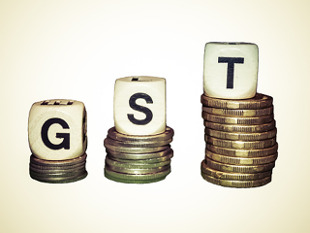 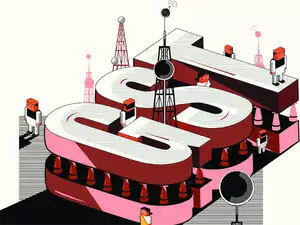 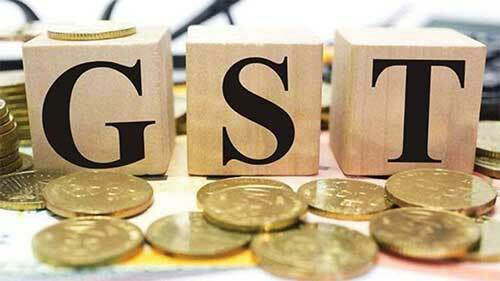 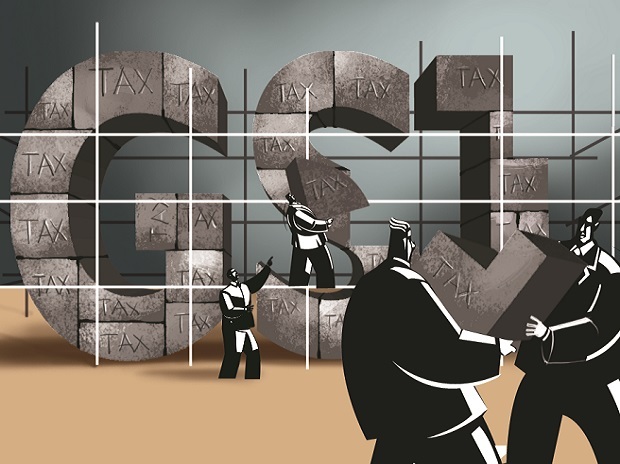 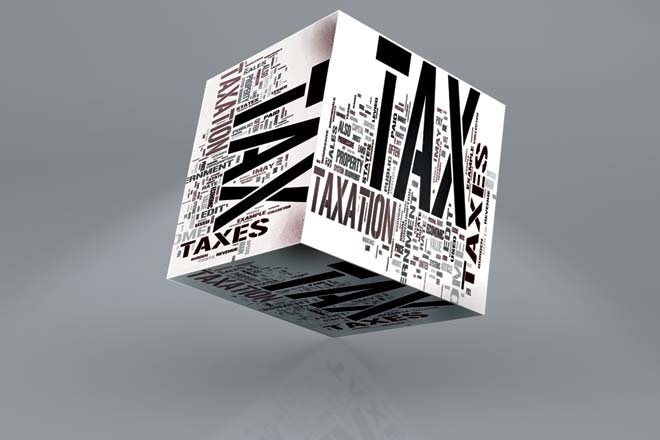 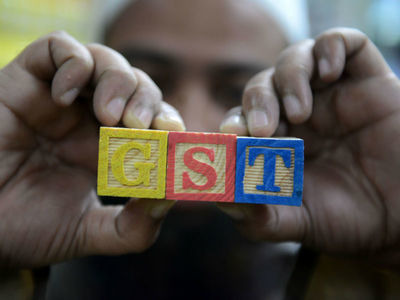 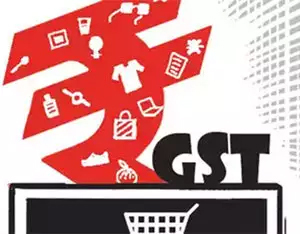 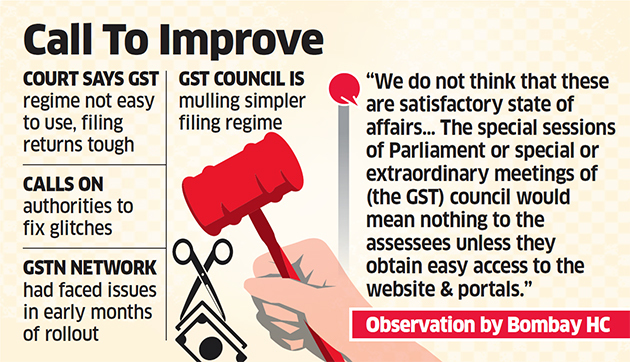 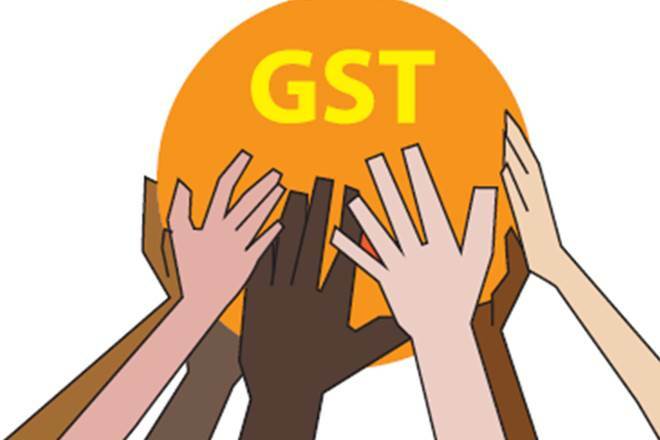 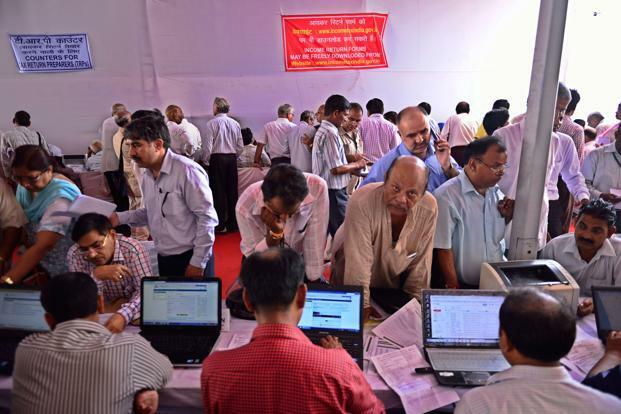 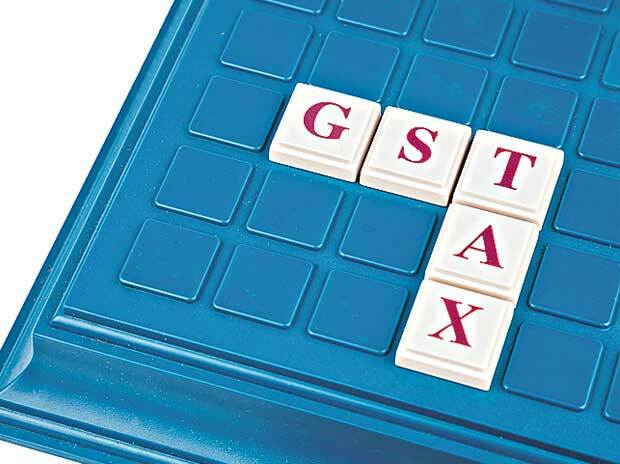 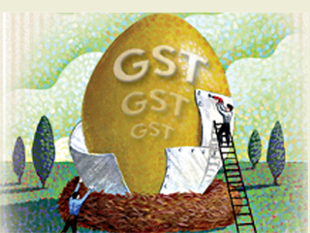 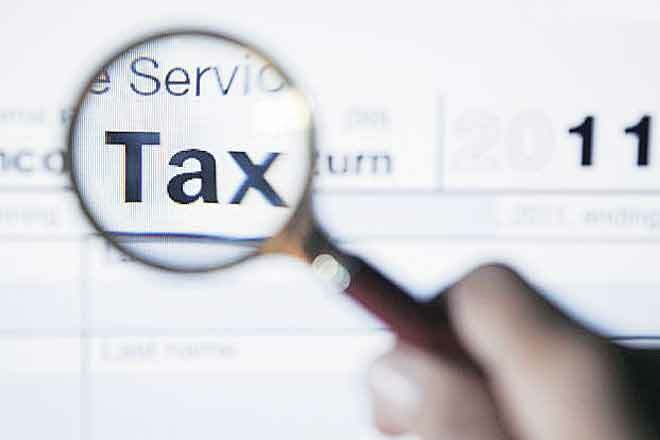 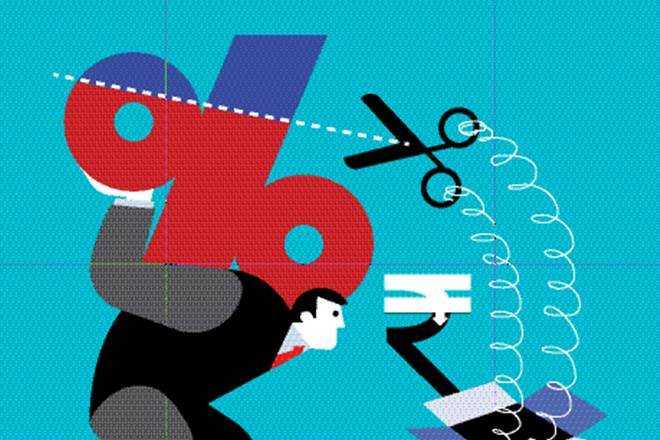 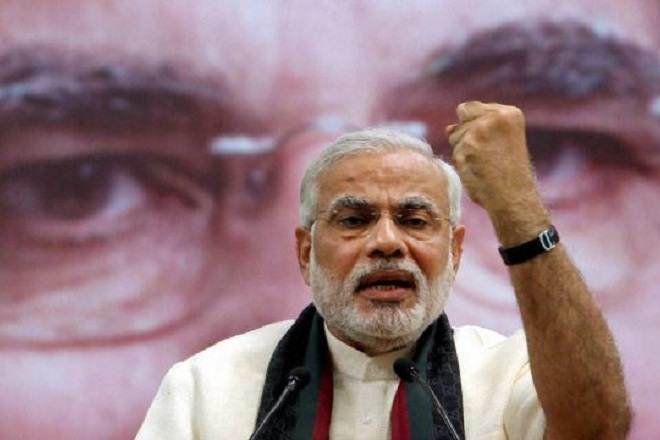 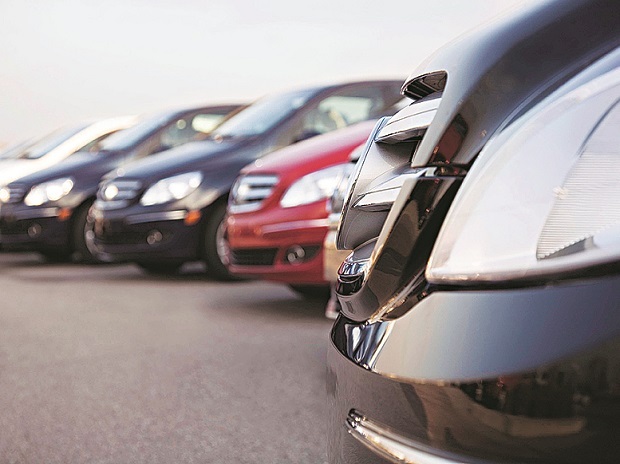 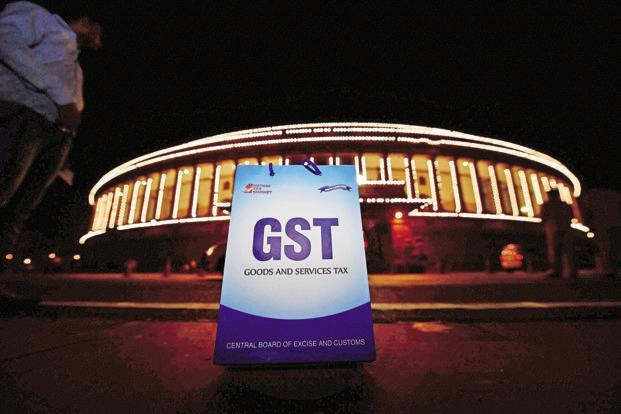 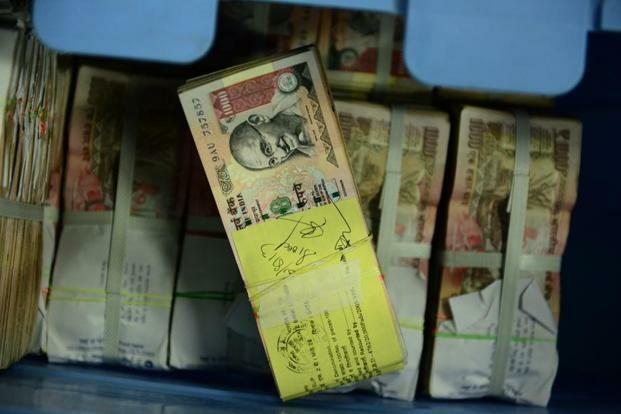 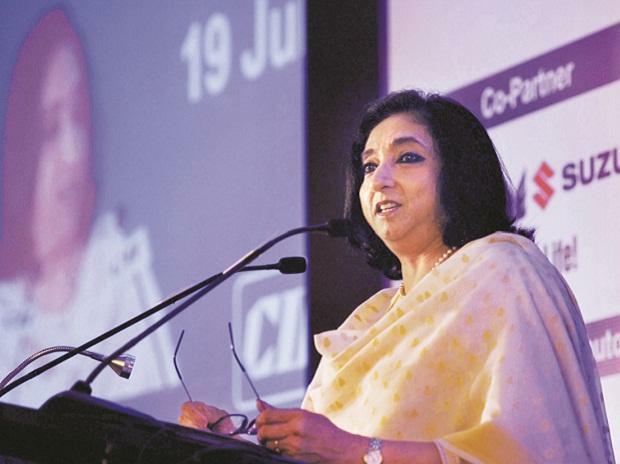 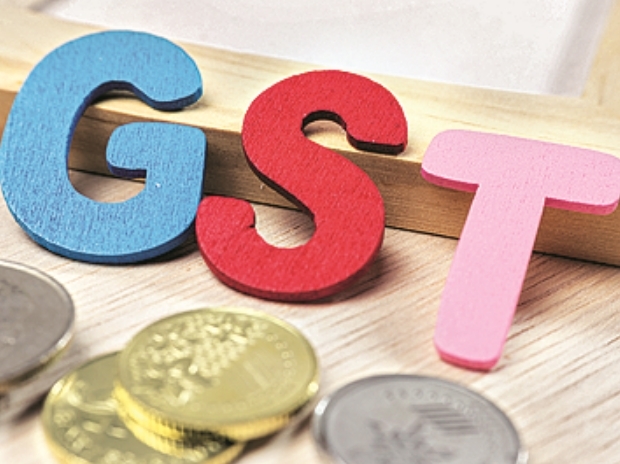 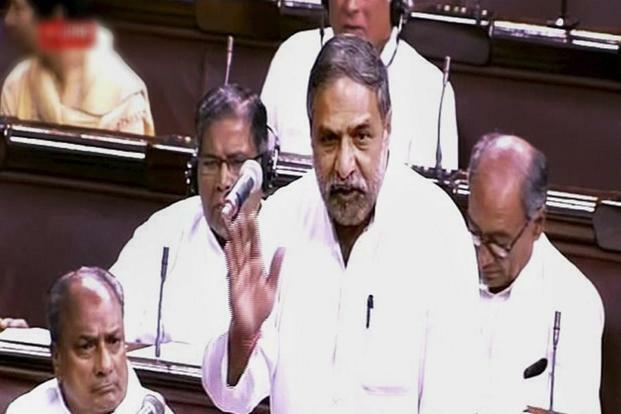 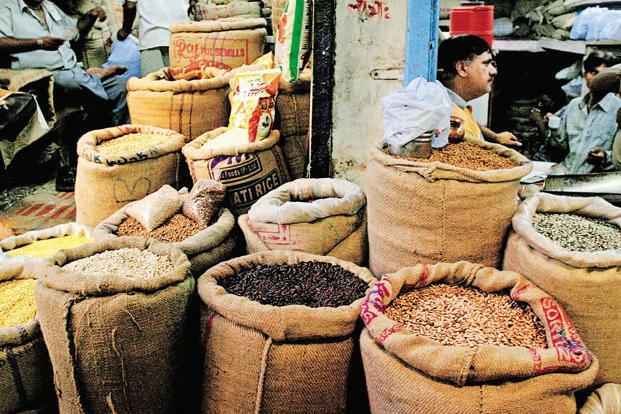 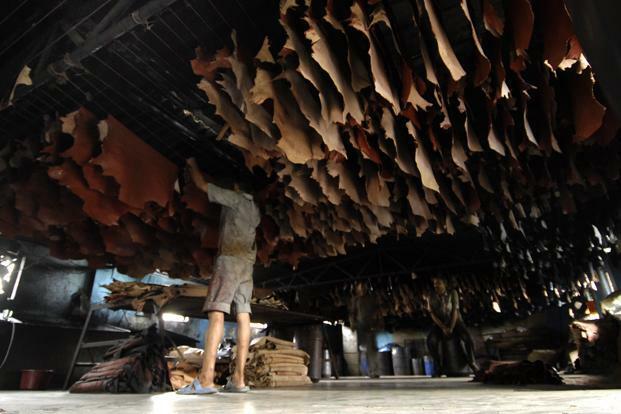 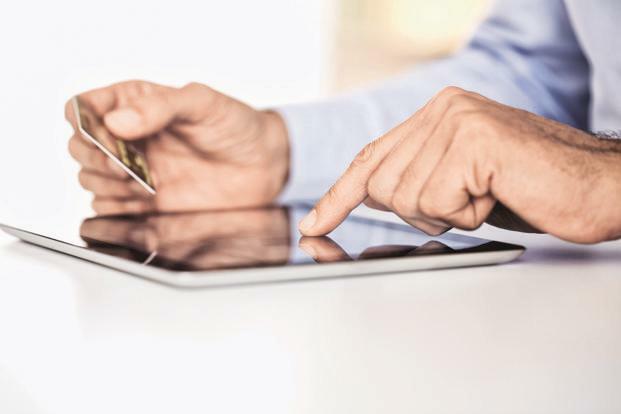 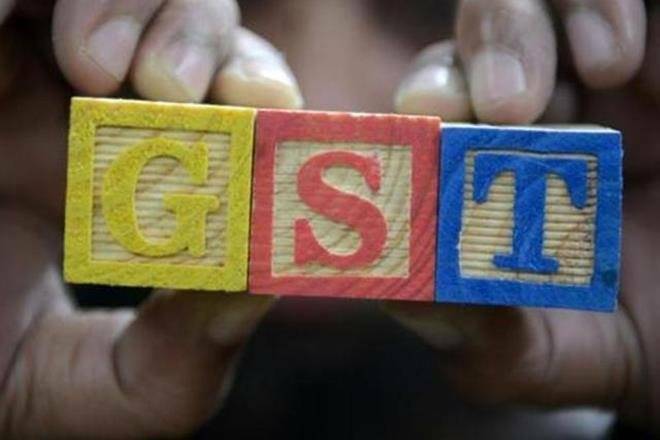 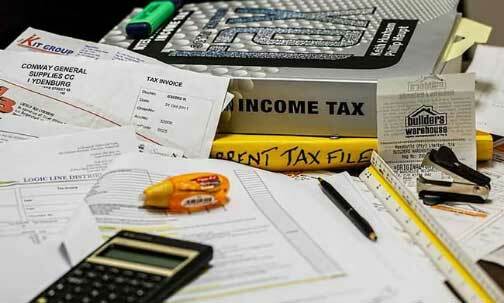 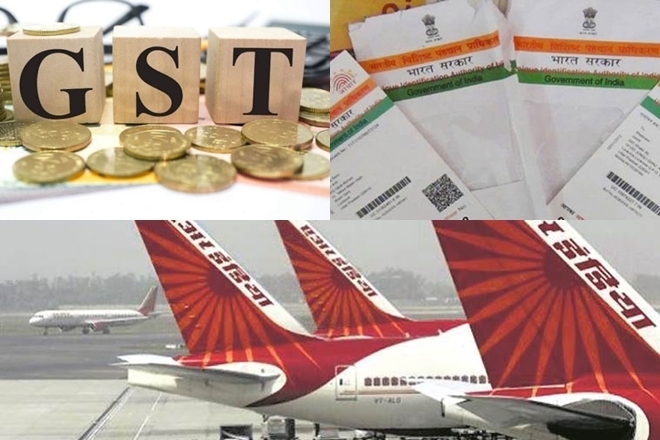 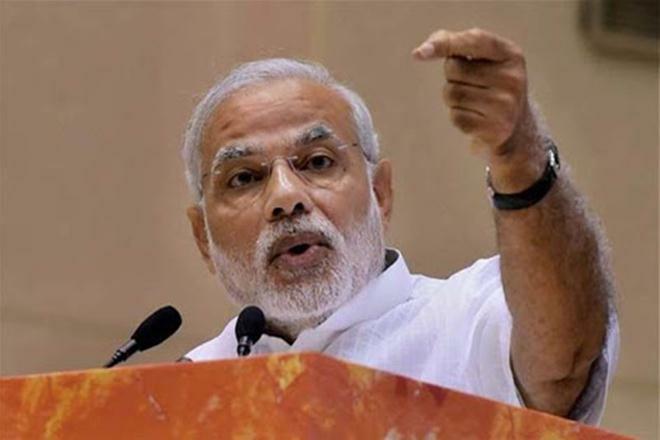 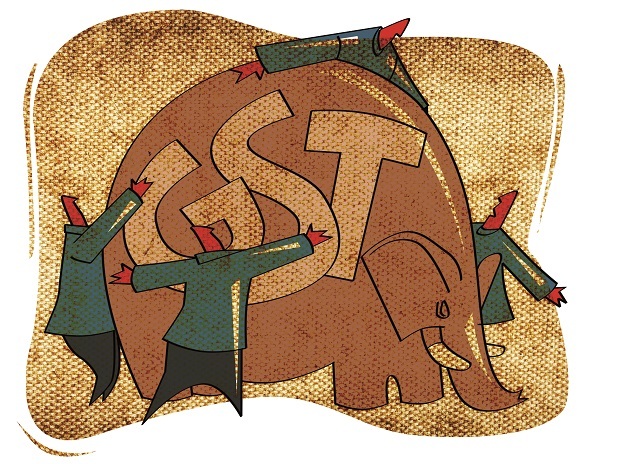 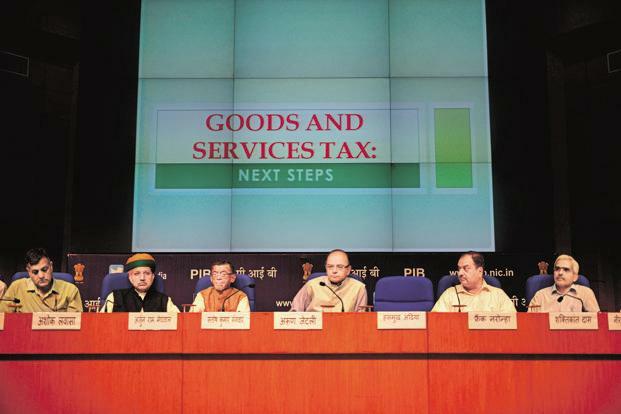 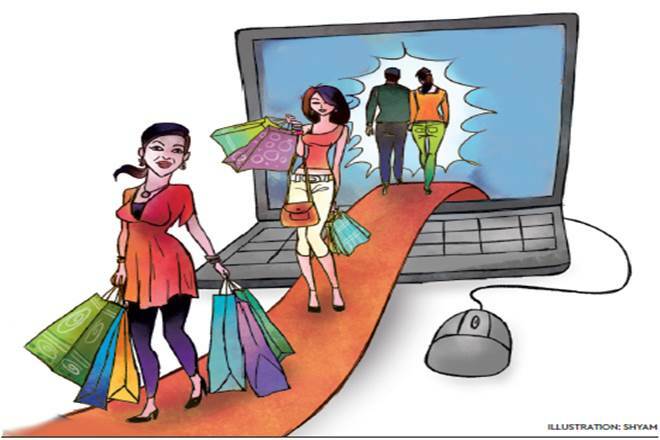 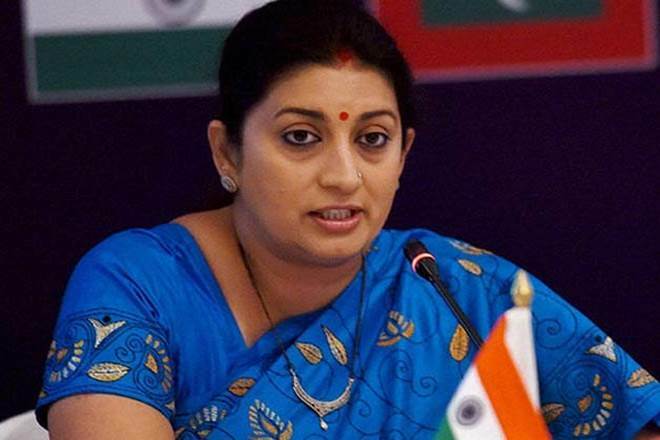 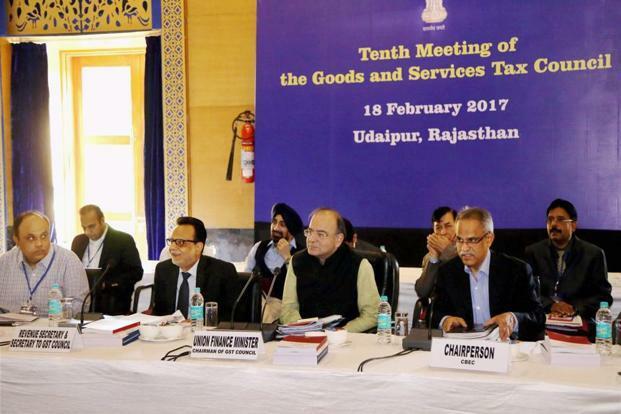 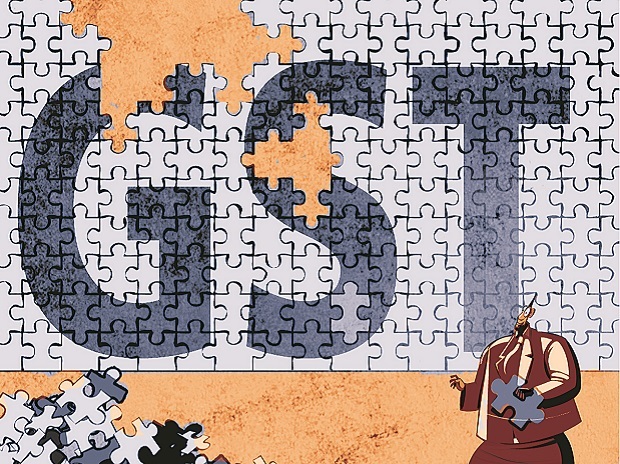 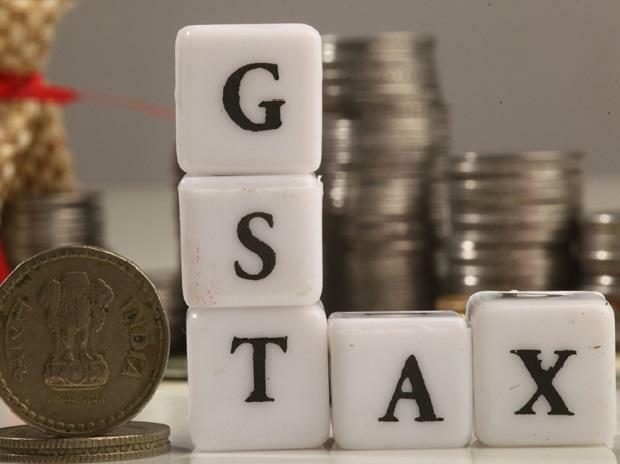 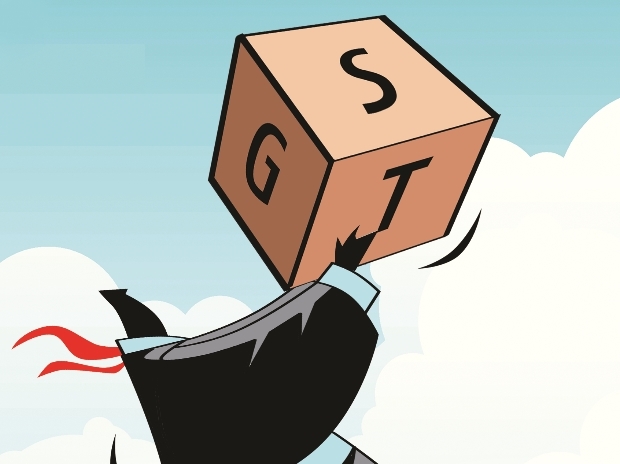 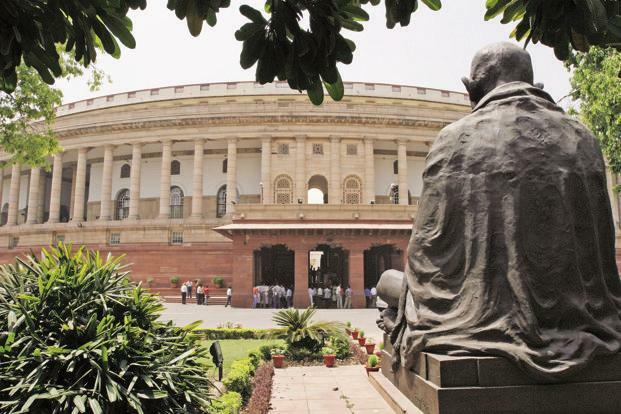 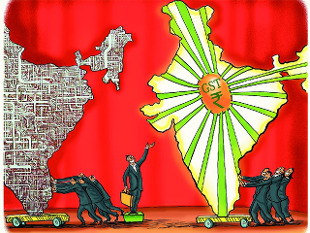 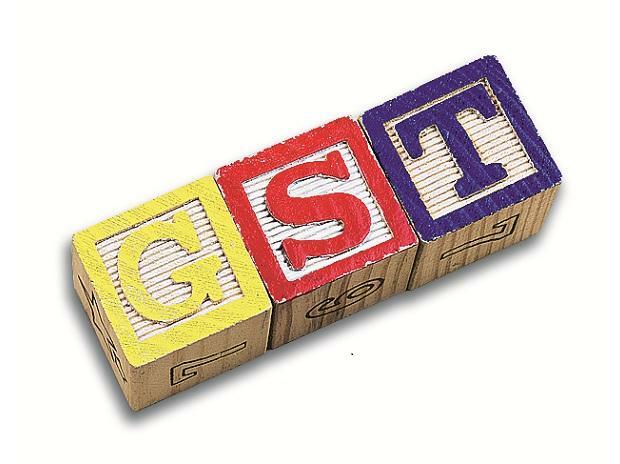 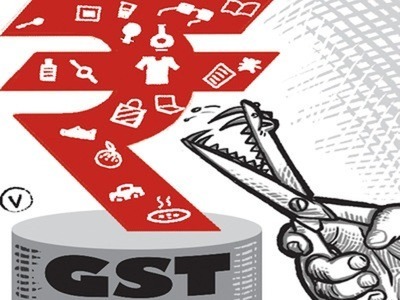 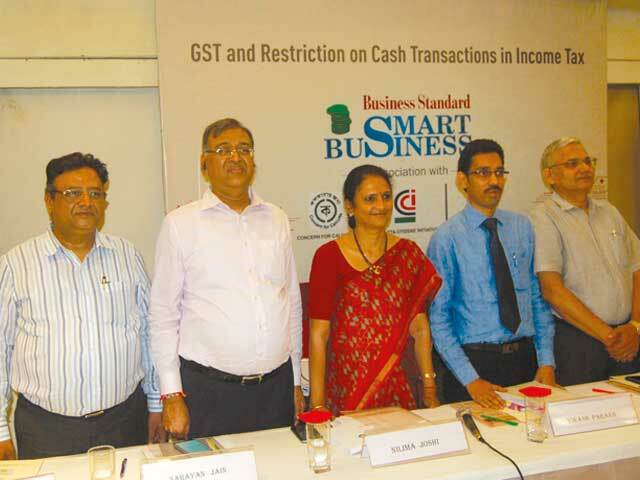 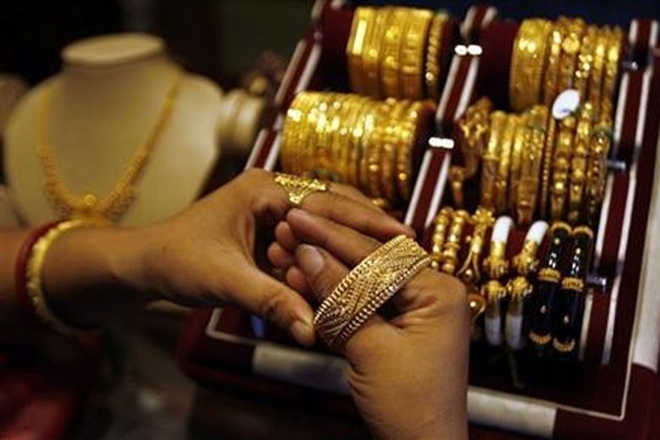 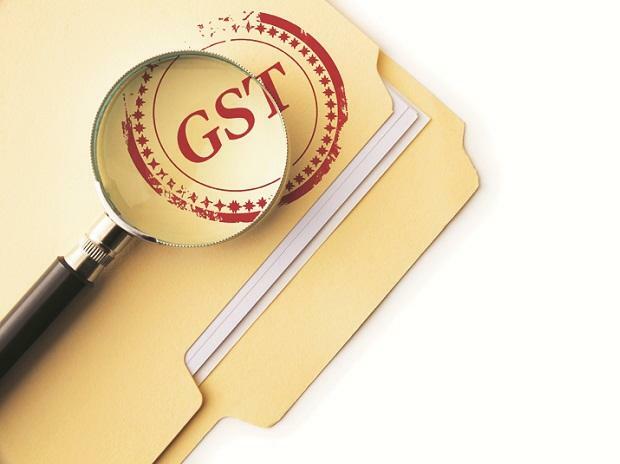 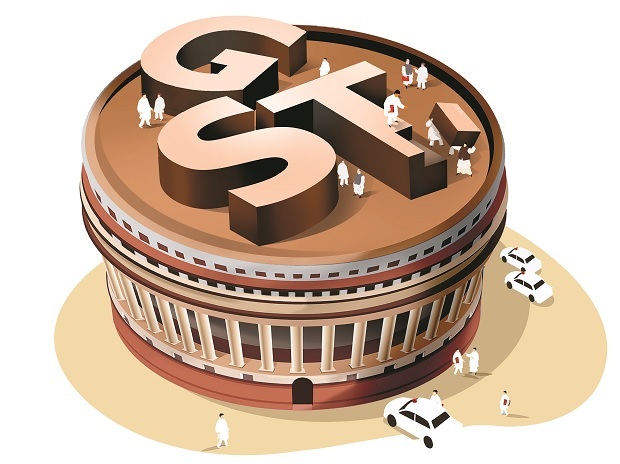 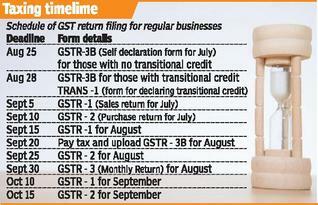 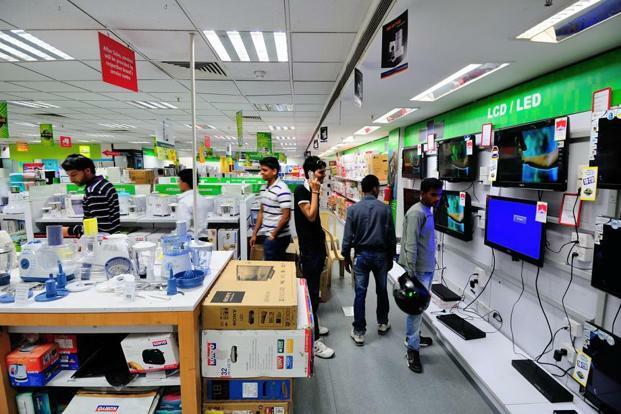 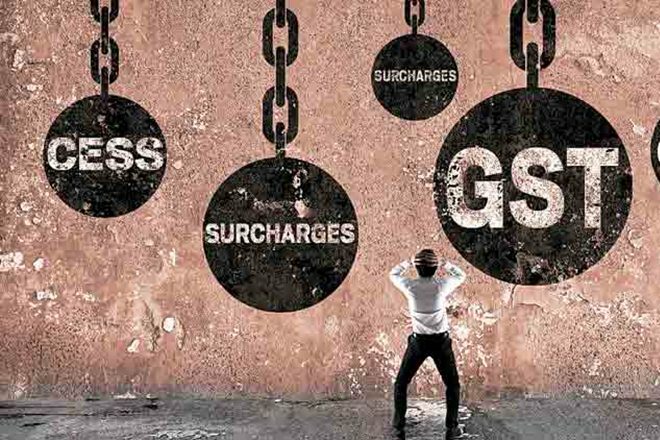 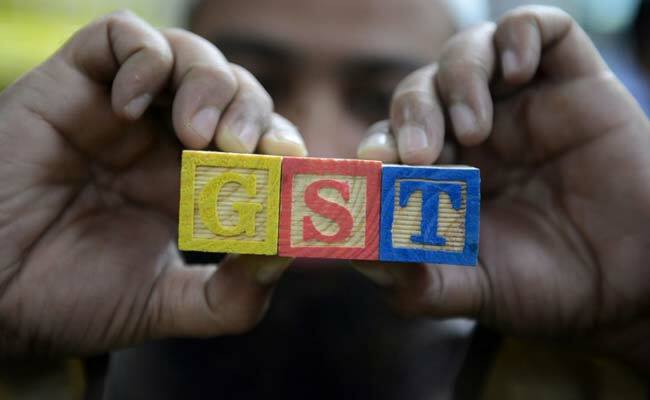 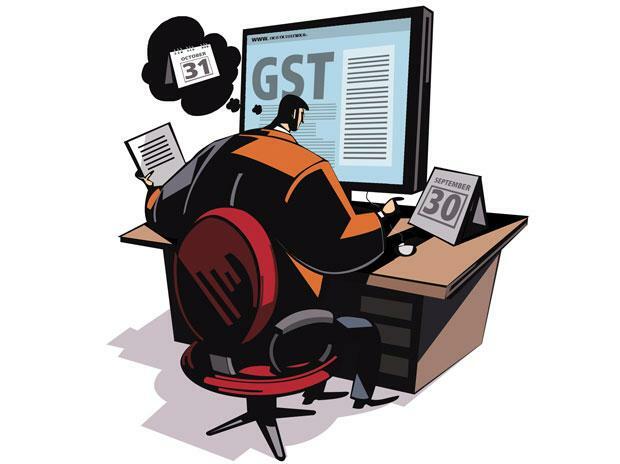 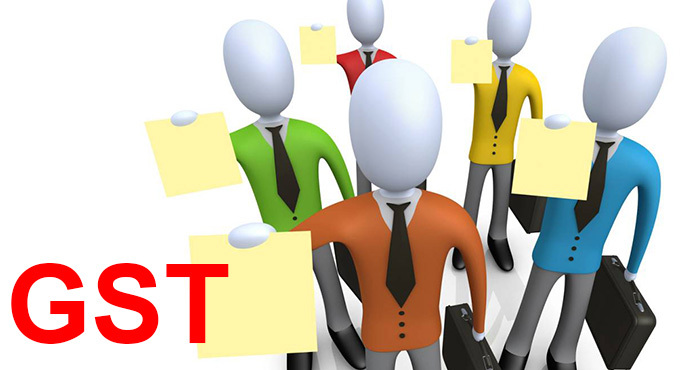 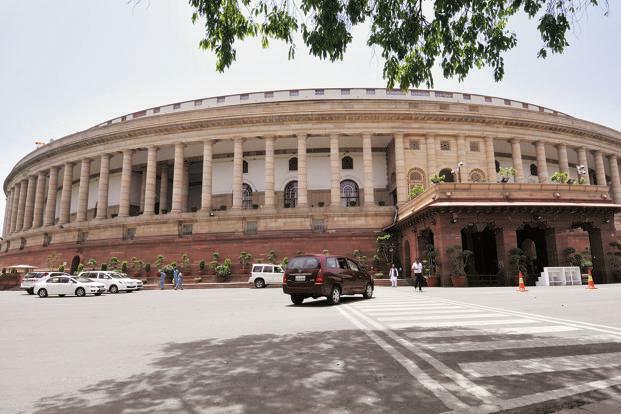 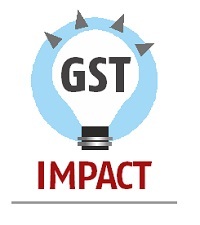 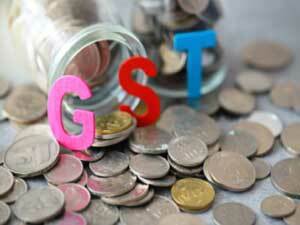 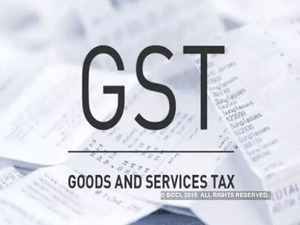 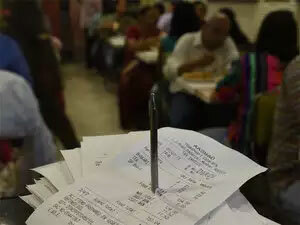 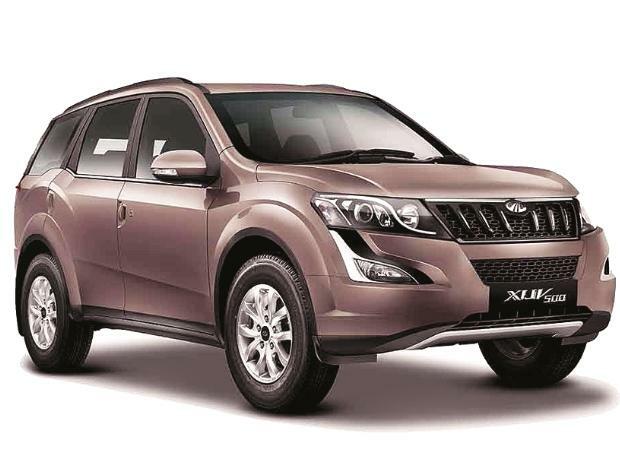 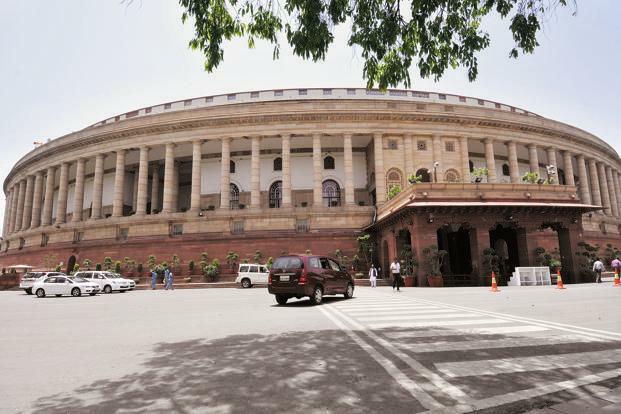 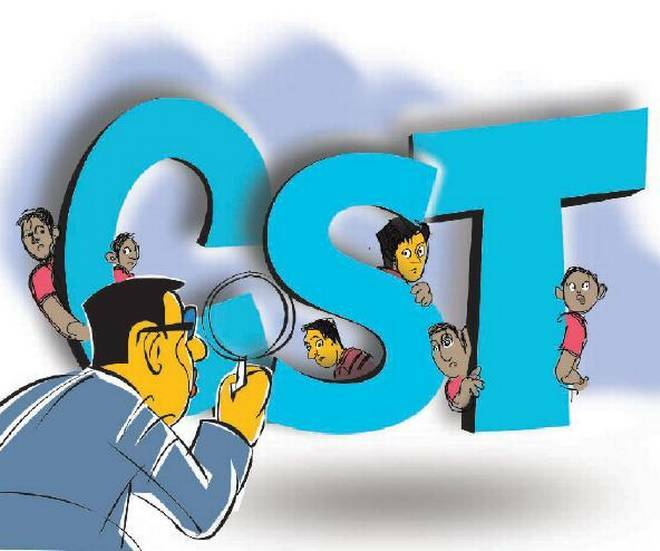 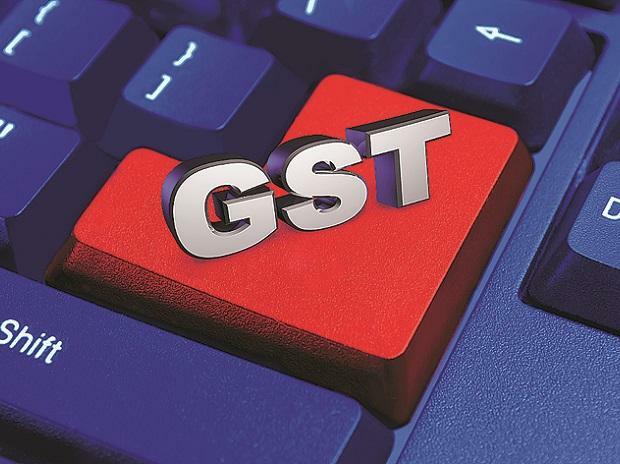 The Centre plans to introduce in Parliament the CGST Bill in the forthcoming session beginning 9 March. 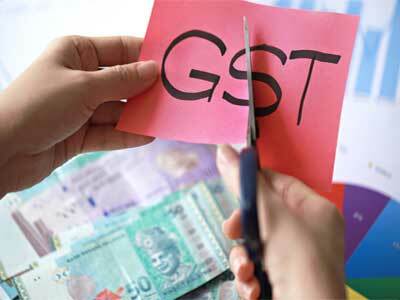 After it is ratified, the states will introduce the SGST Bill in their respective legislative Assemblies. 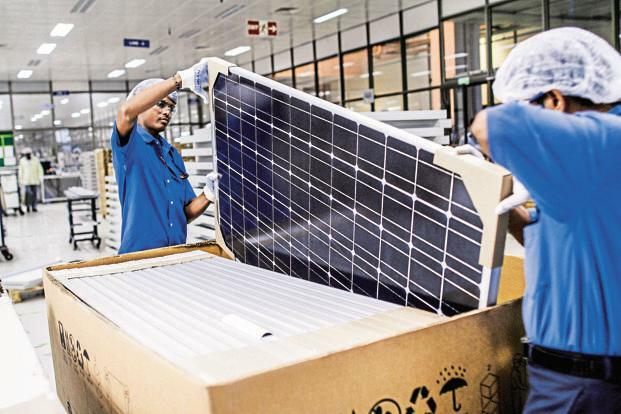 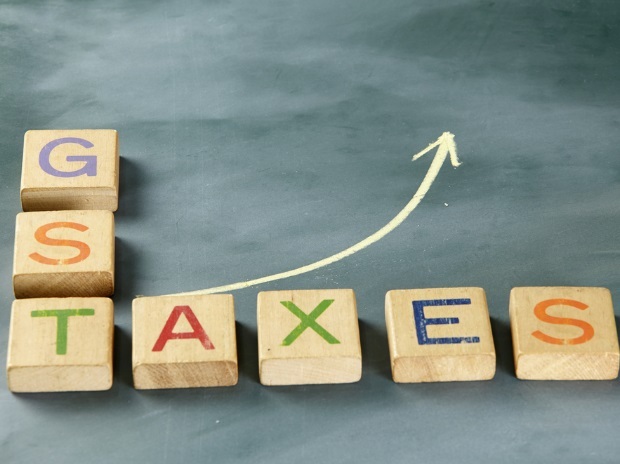 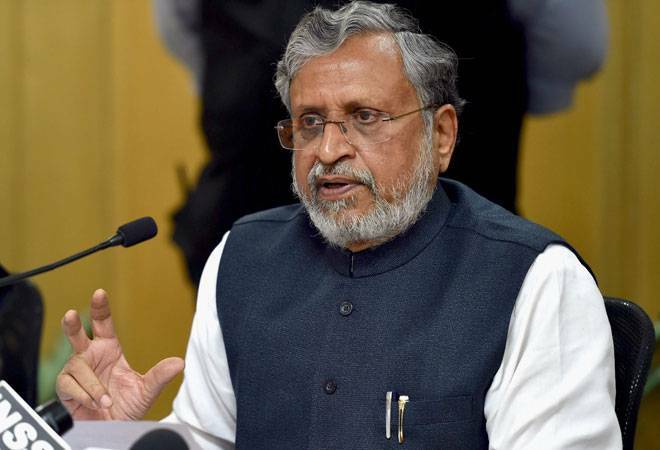 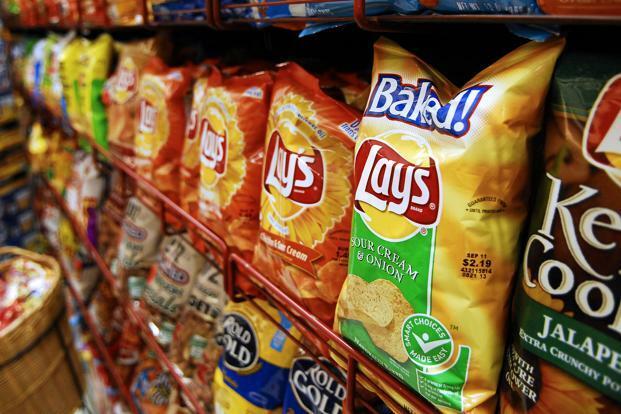 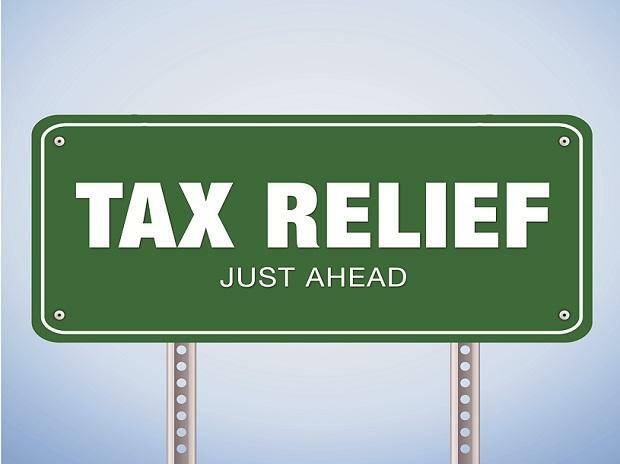 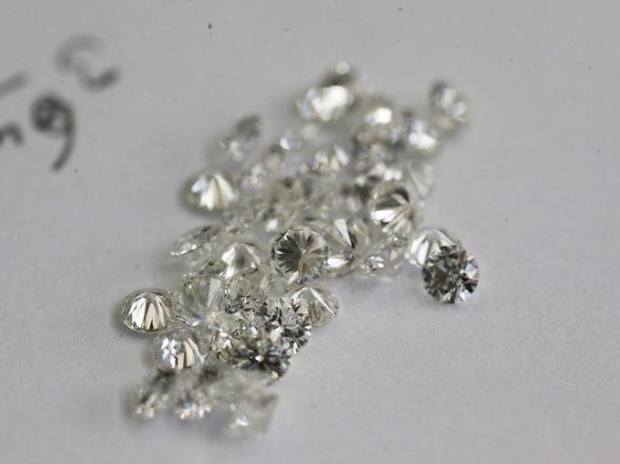 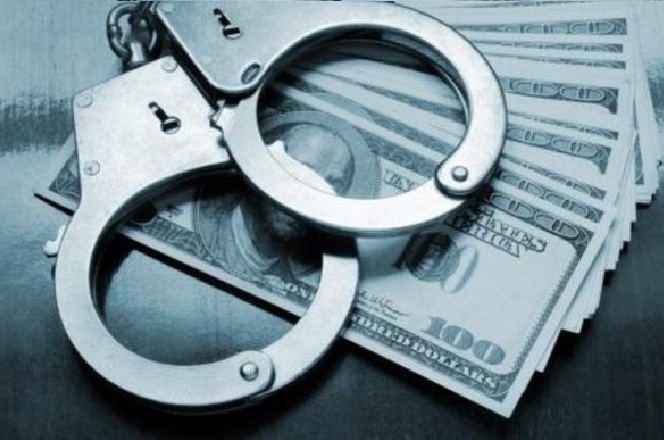 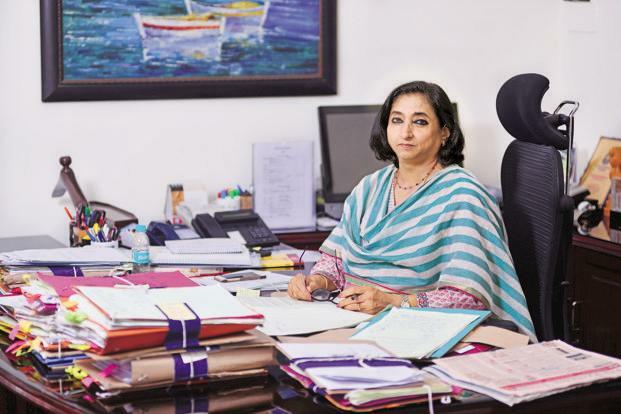 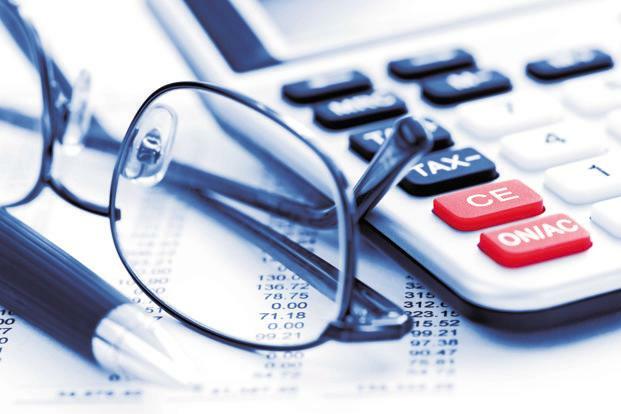 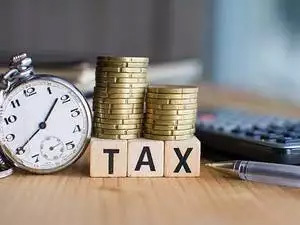 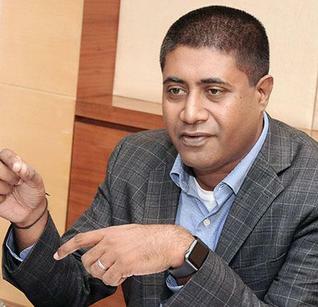 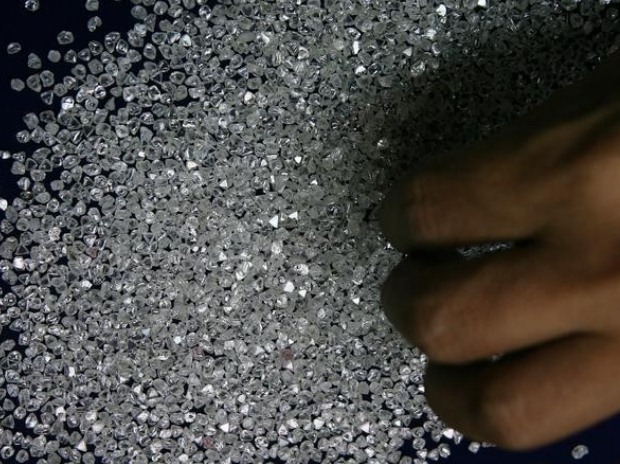 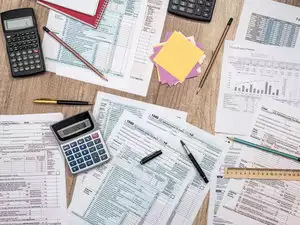 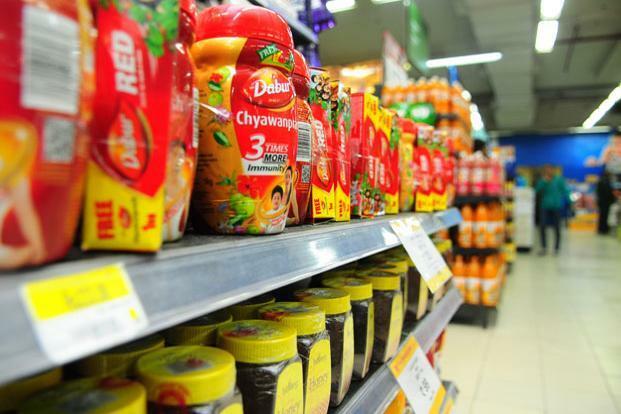 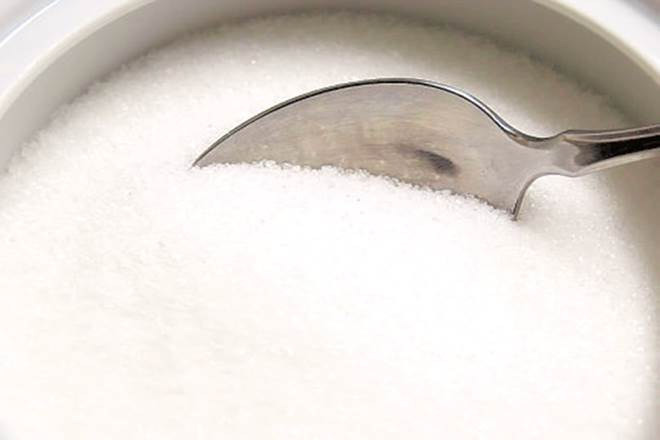 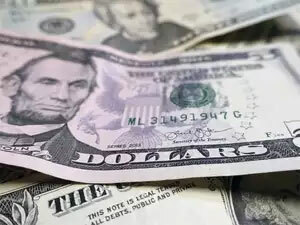 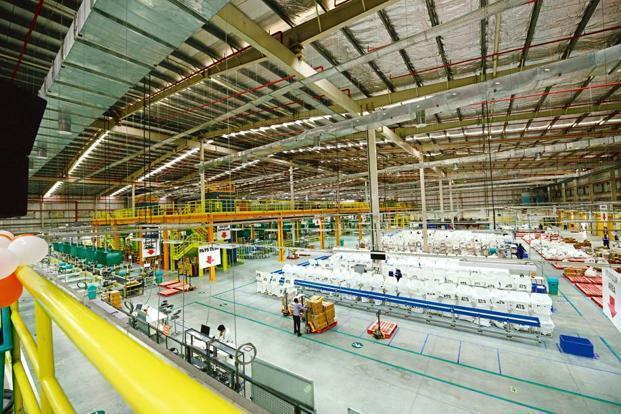 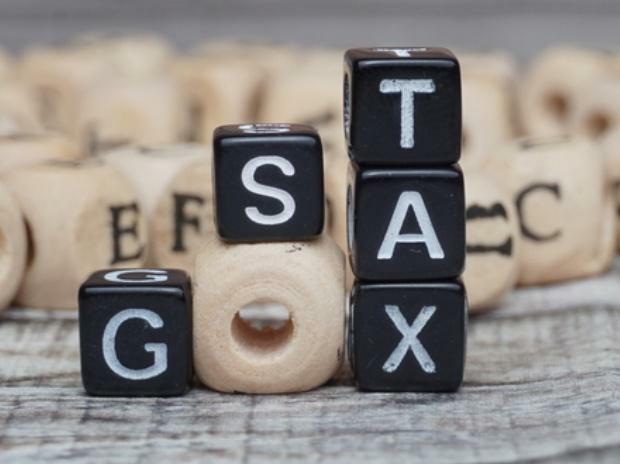 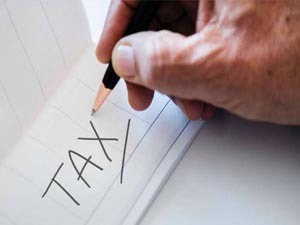 The central and state officials will soon start the exercise to determine which goods and services should fall in which tax bracket and the same will be taken to the Council for approval soon. 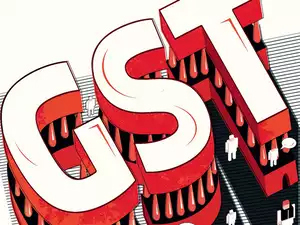 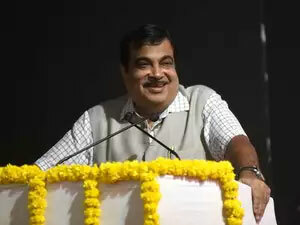 Together with this, they will also decide the goods and services that would attract a cess on top of the peak rate to create a corpus that can be used to compensate states for any loss of revenue from implementation of GST in the first five years. 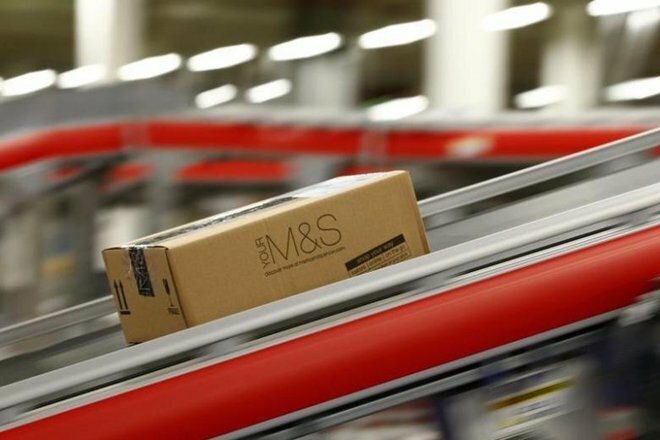 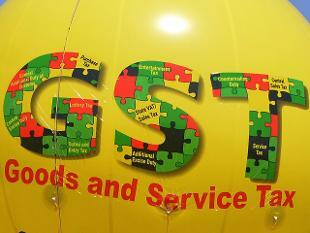 The government is looking at GST rollout from 1 July.